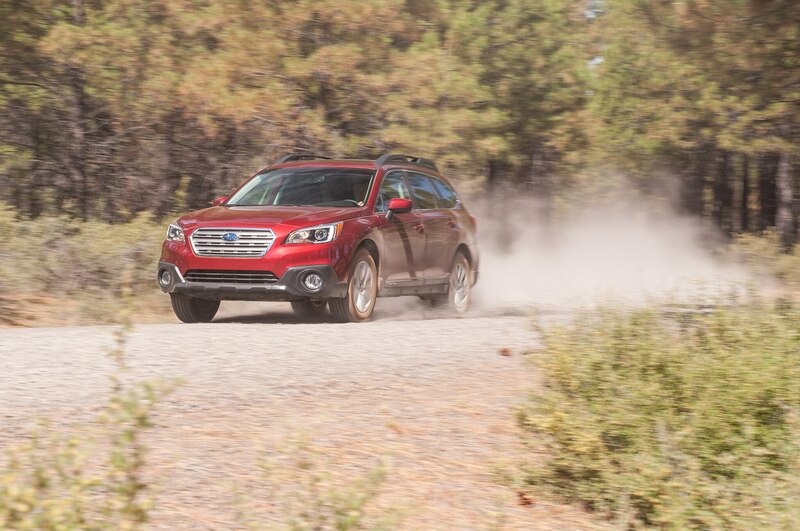 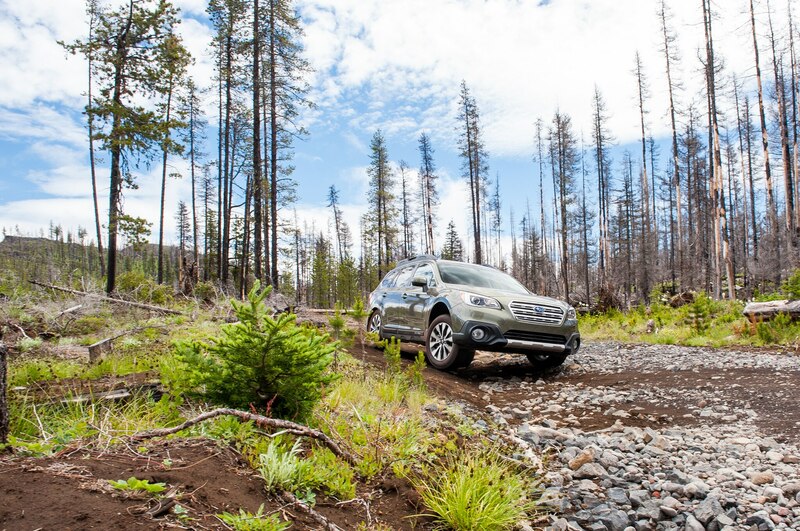 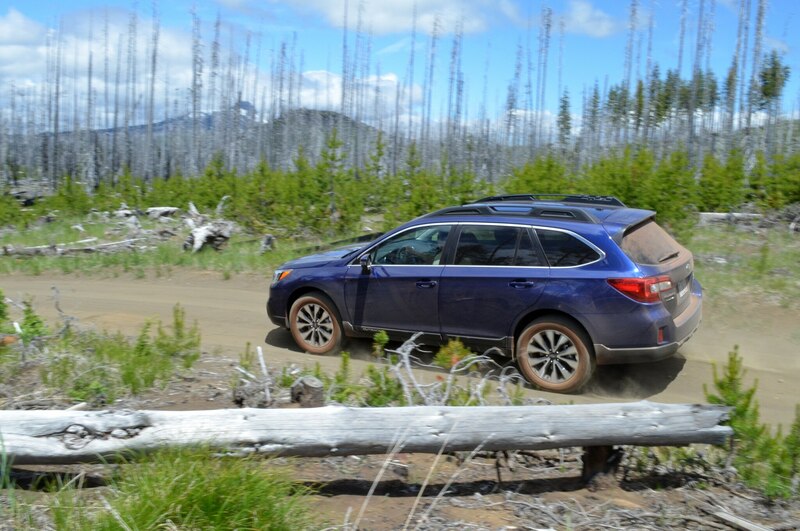 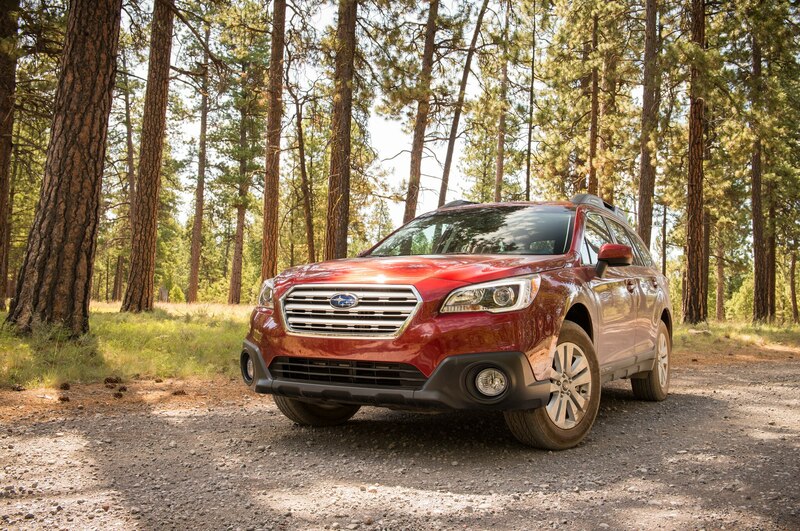 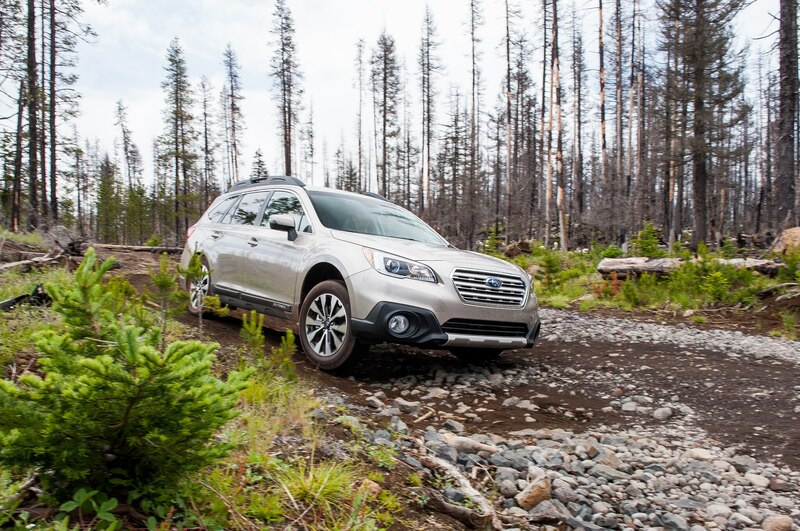 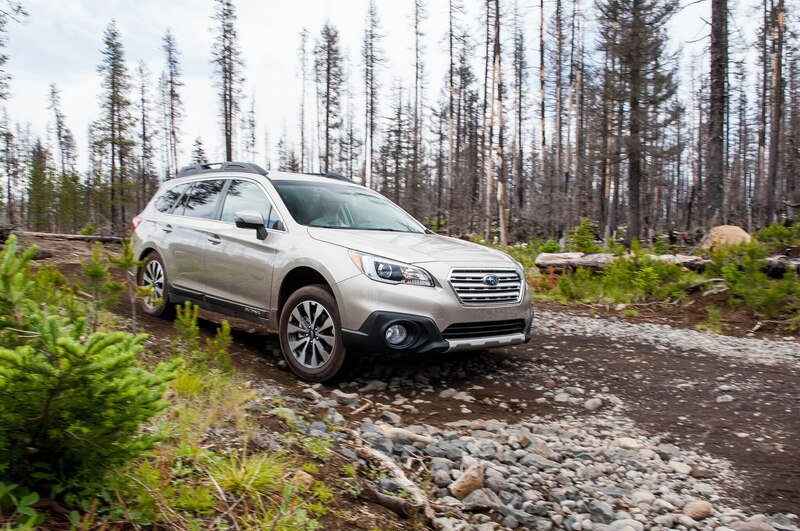 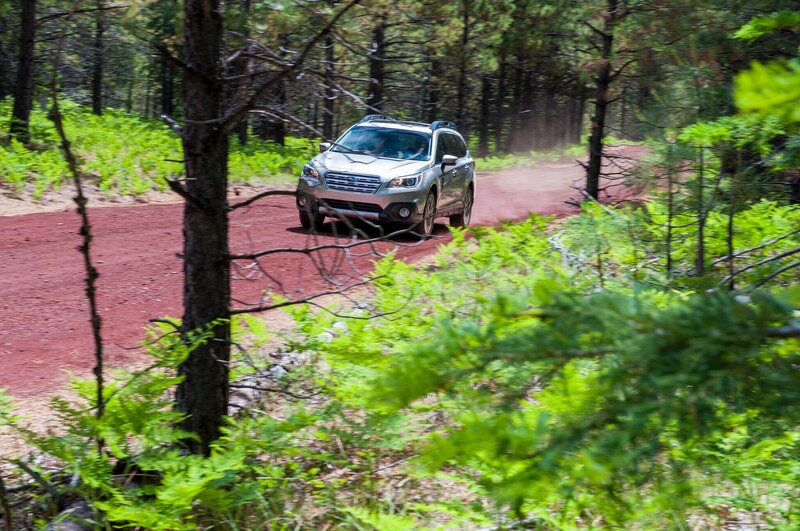 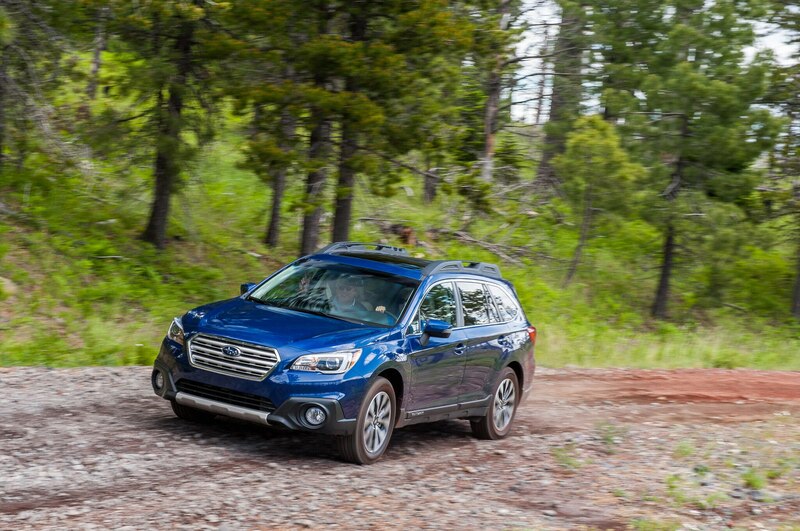 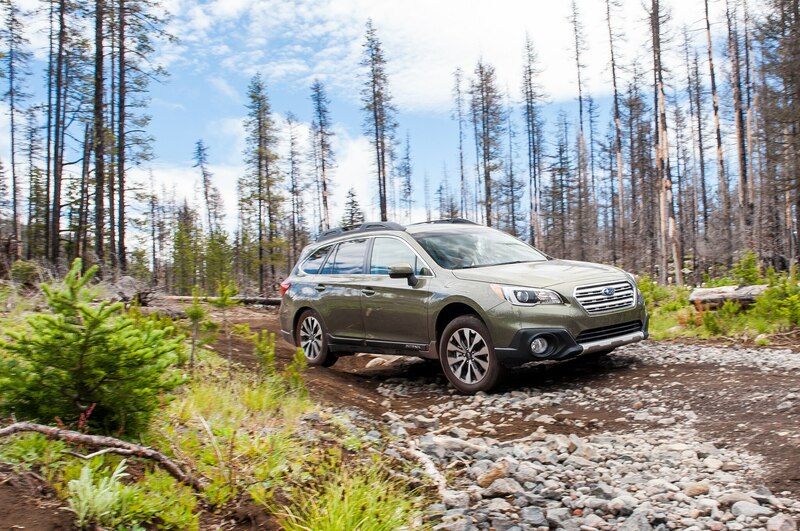 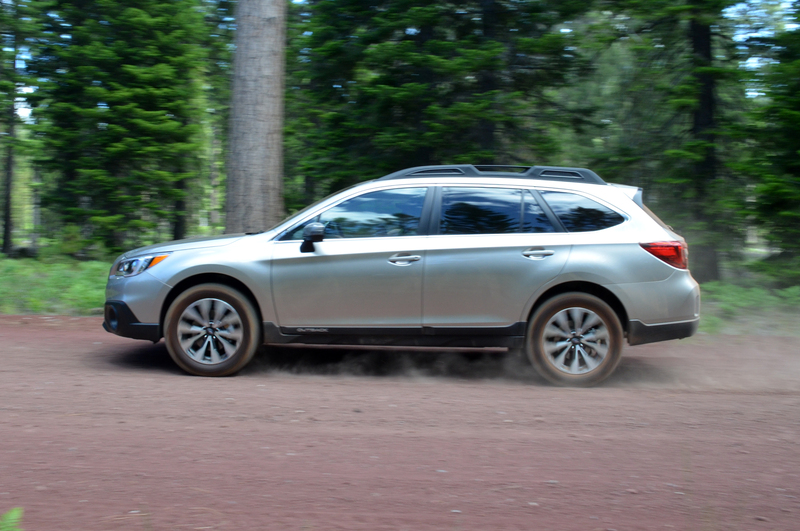 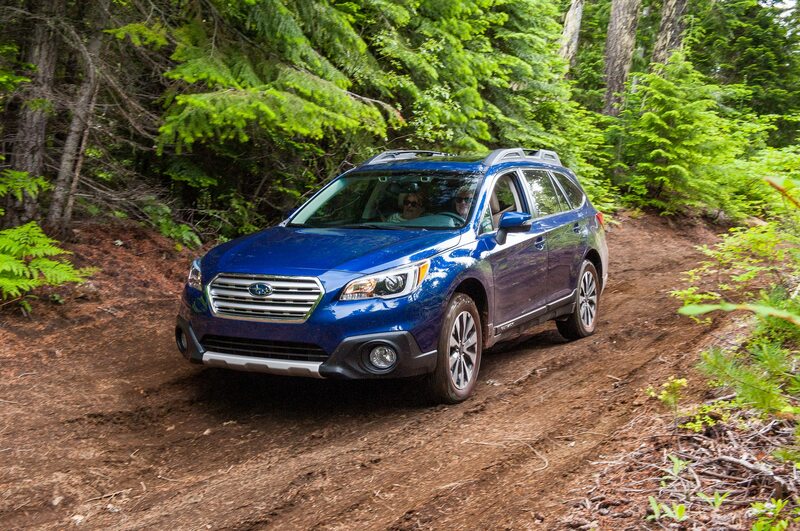 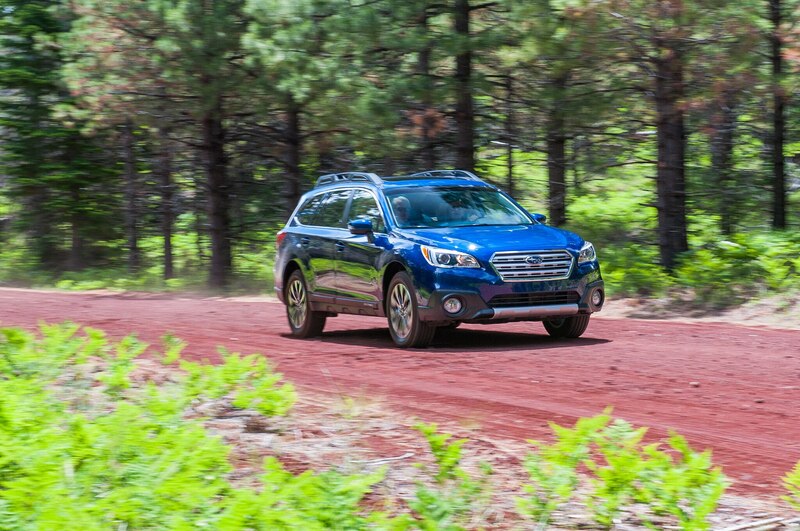 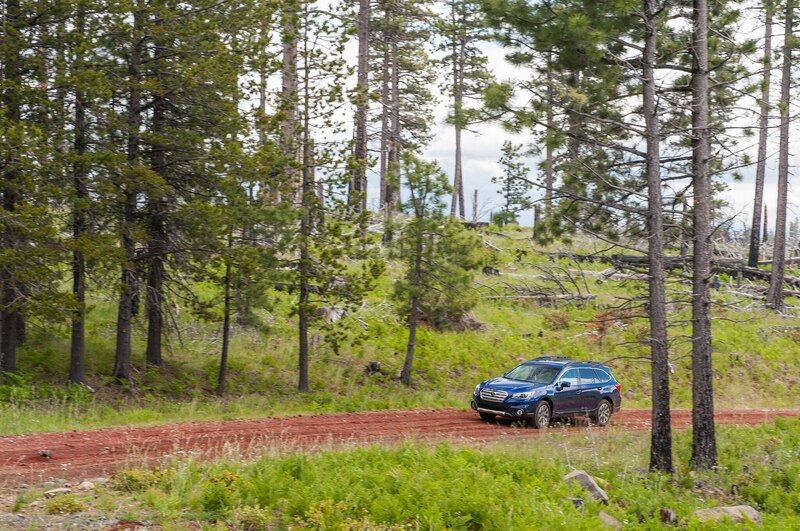 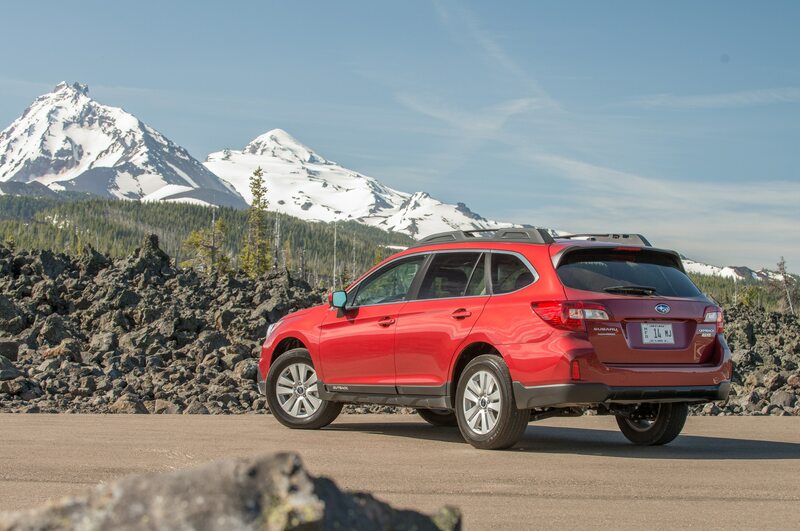 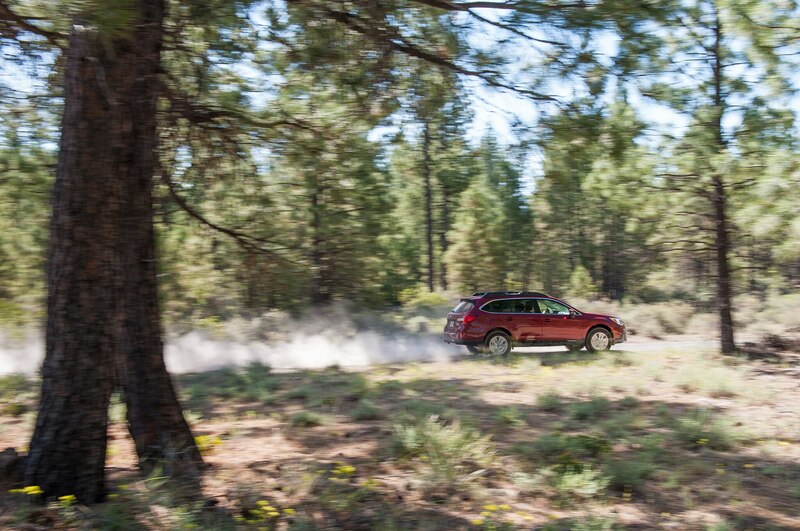 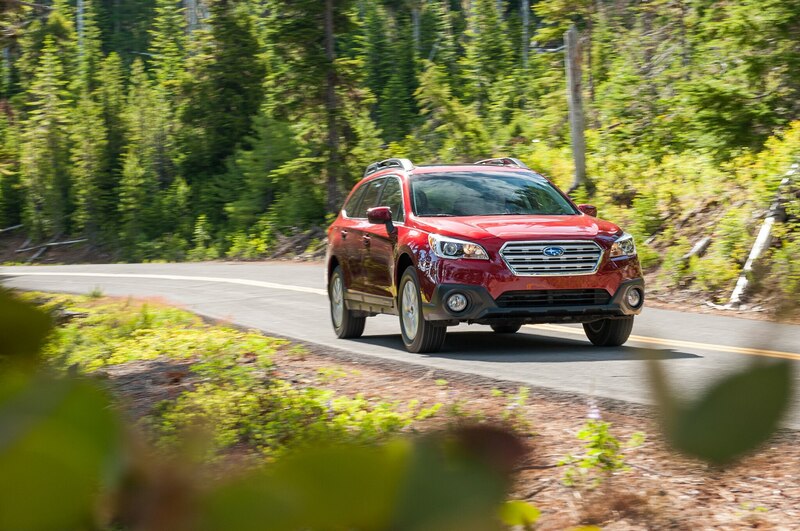 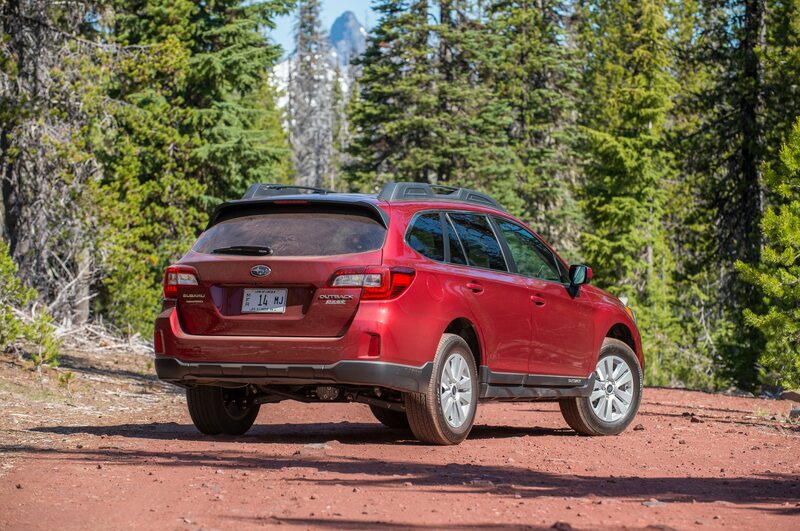 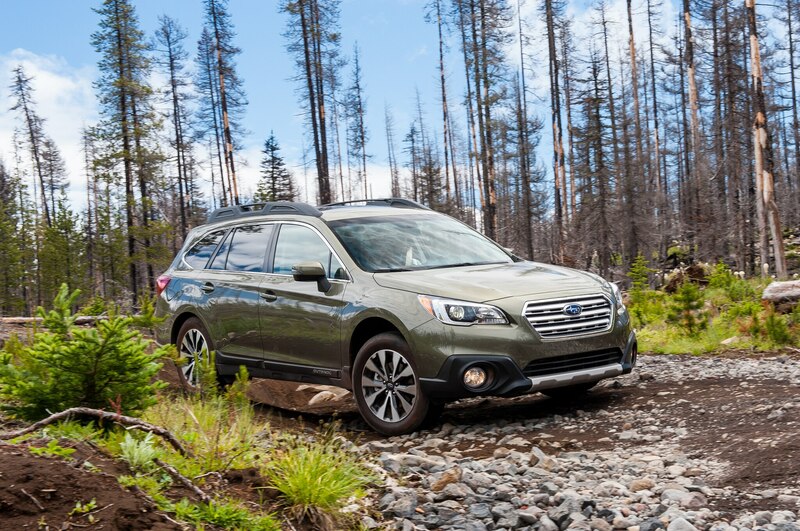 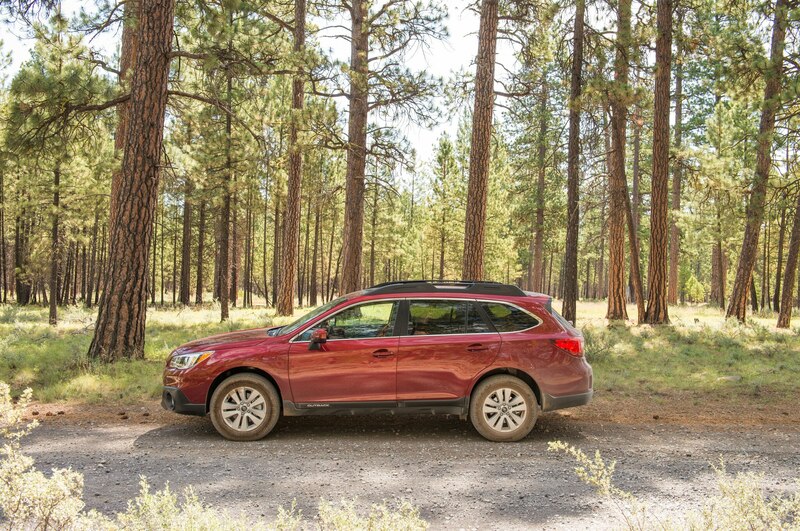 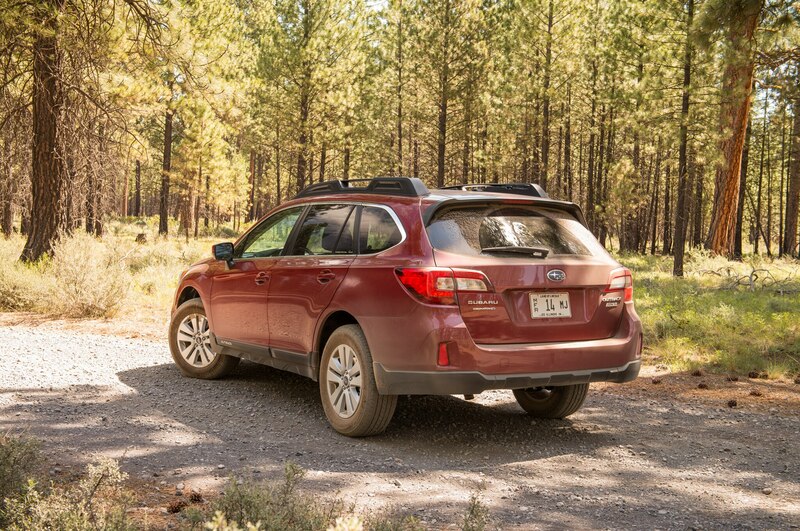 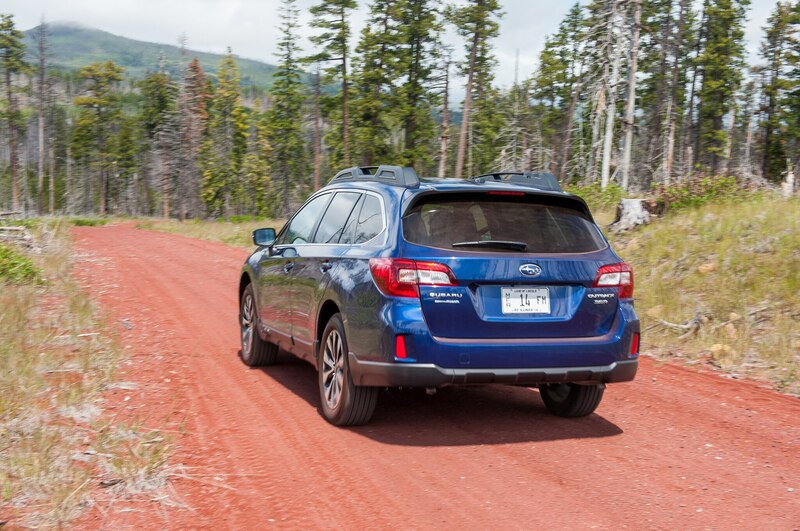 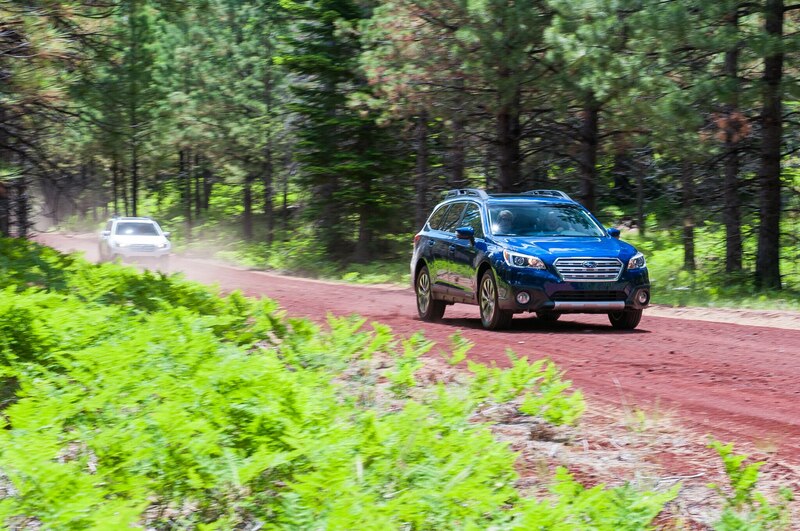 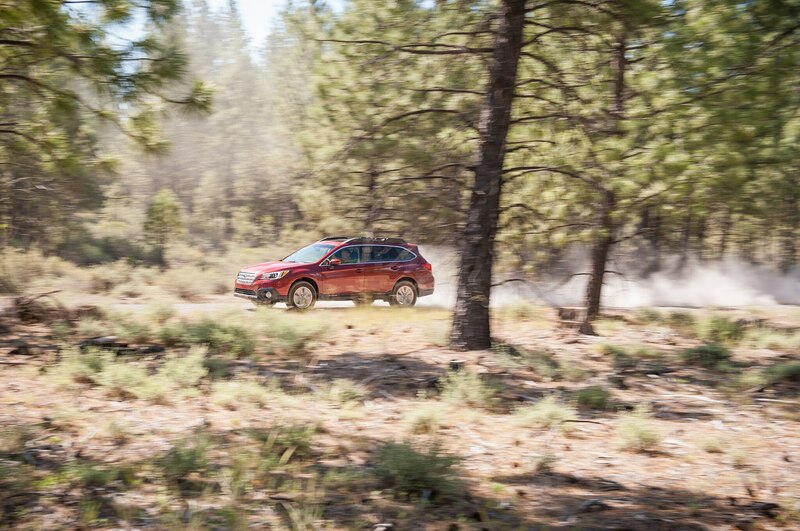 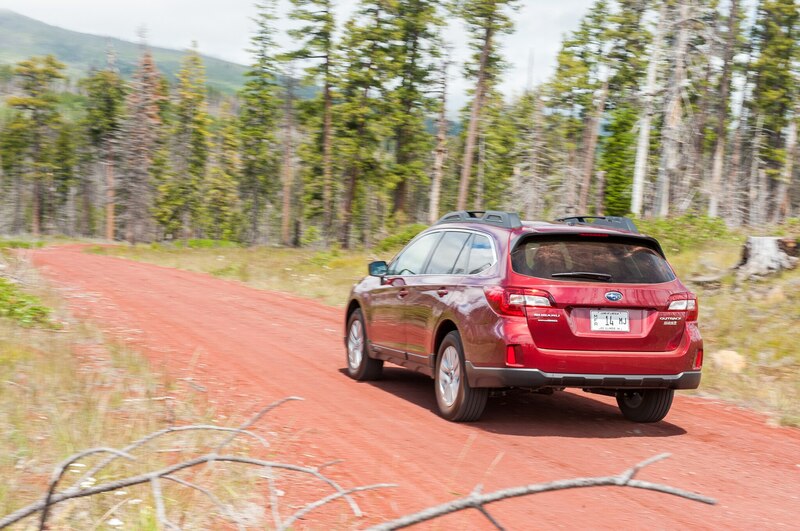 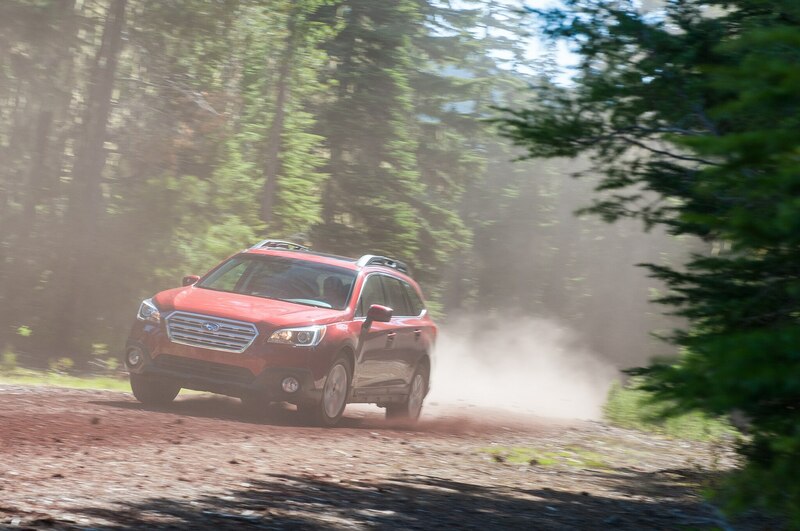 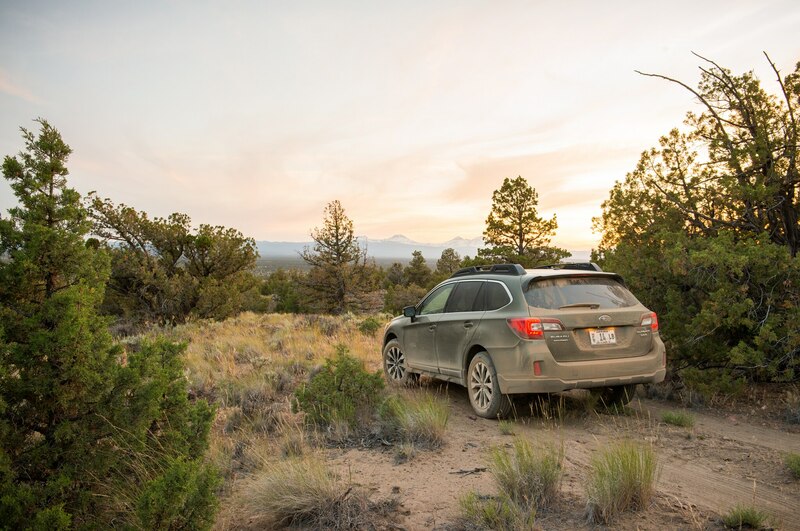 Along the soft, red-dirt trails in Oregon’s Deschutes National Forest, our thoughts couldn’t have been further from the 2015 Subaru Outback we were driving. 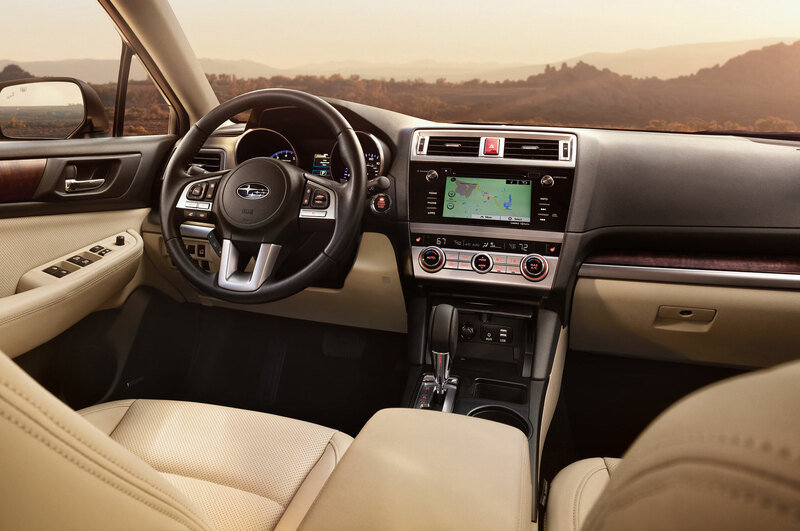 That’s partially a credit to the view through the windshield: snow-capped mountains of the Cascade Range, fields of trees burned silver-metallic in a recent forest fire, and little lakes of pristine blue water. 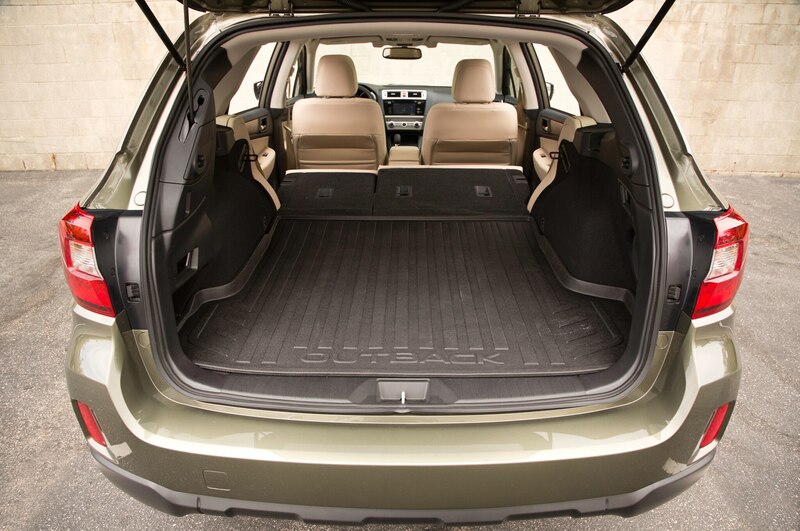 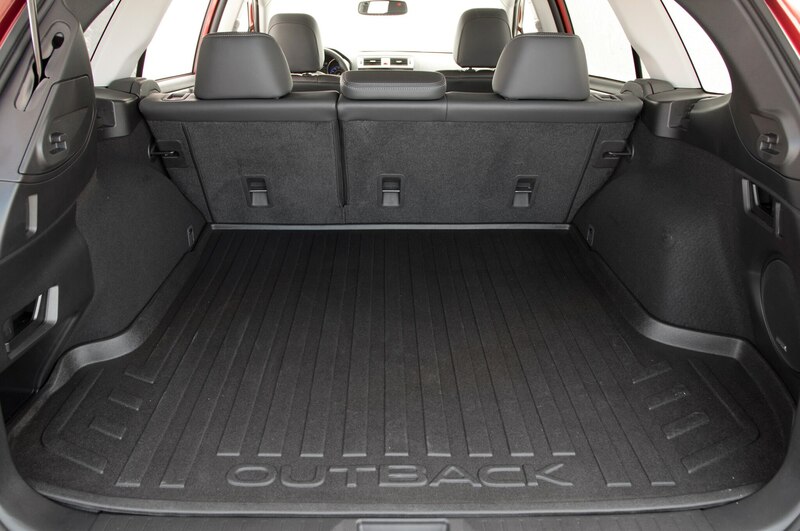 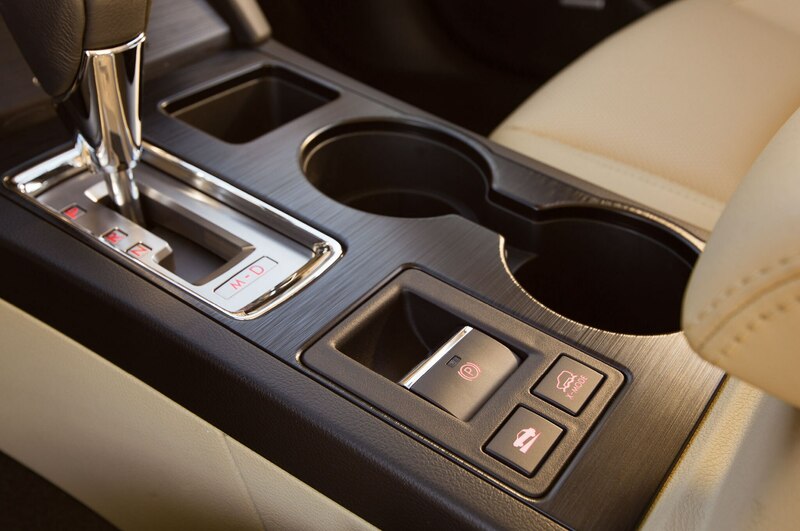 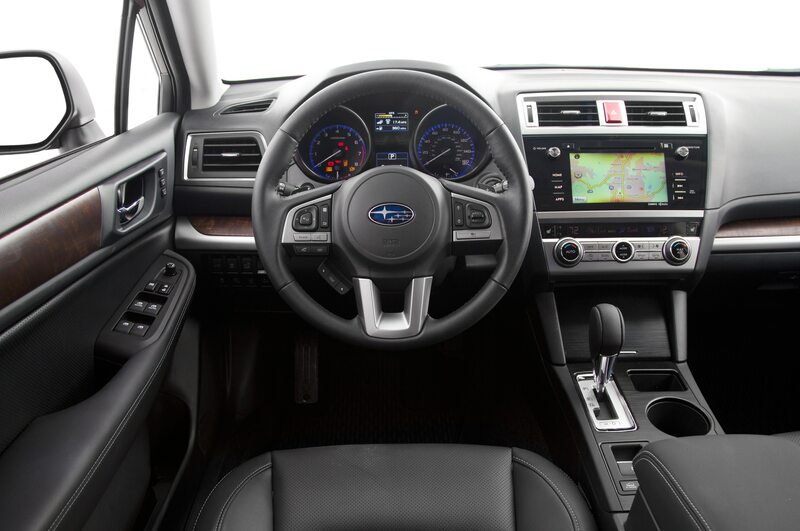 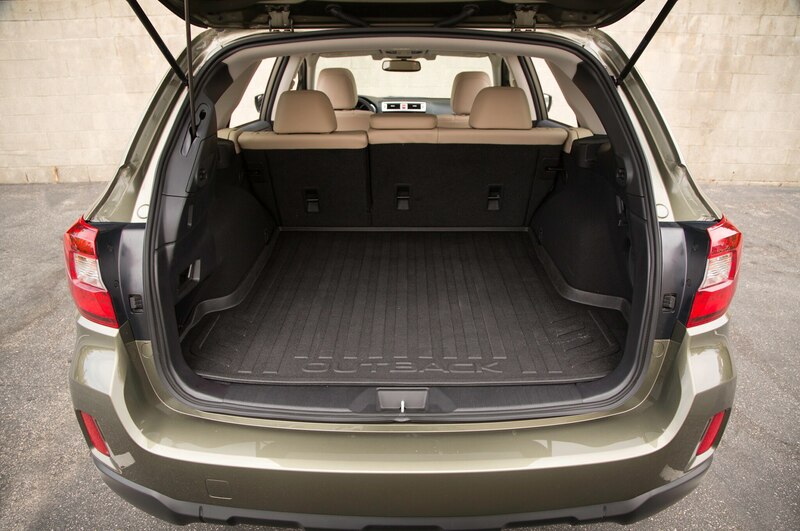 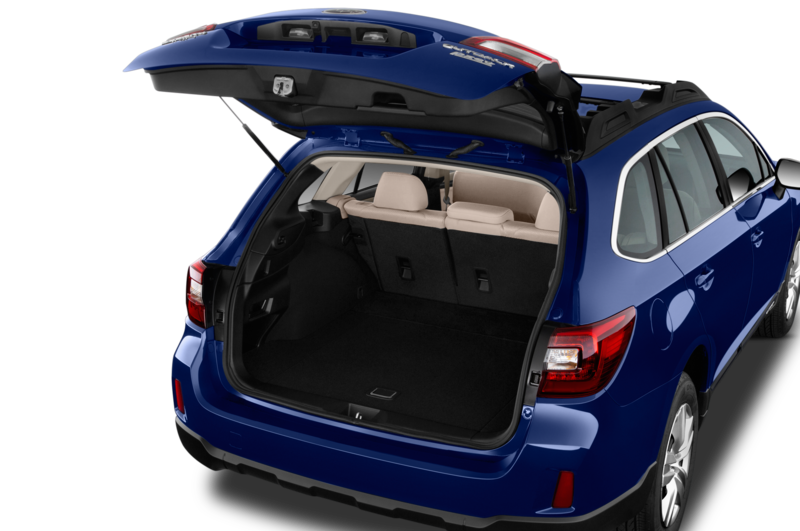 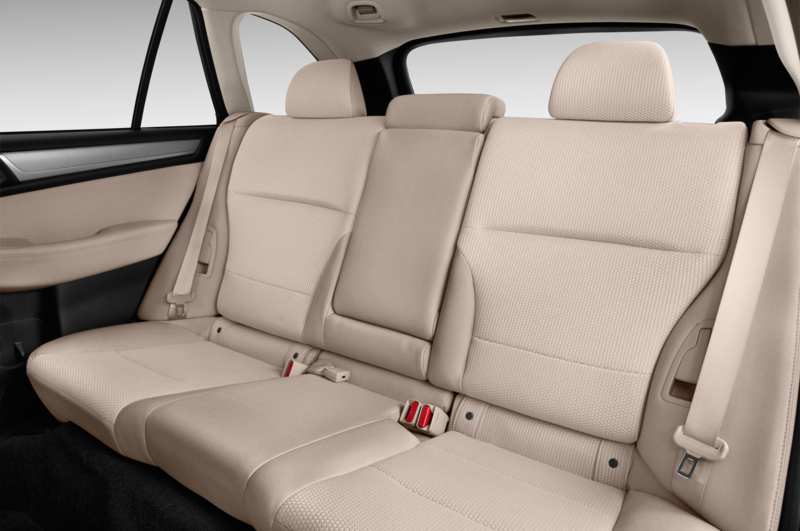 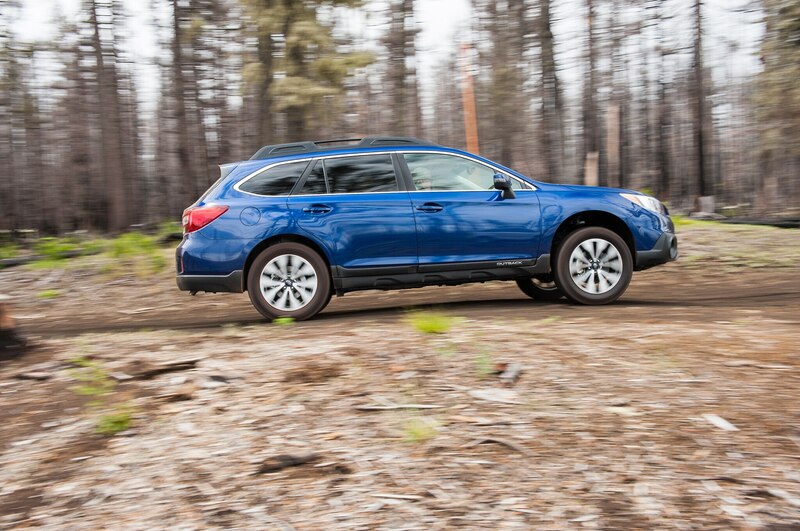 But it also speaks to both the remarkable capabilities and remarkable un-remarkableness of the 2015 Subaru Outback. 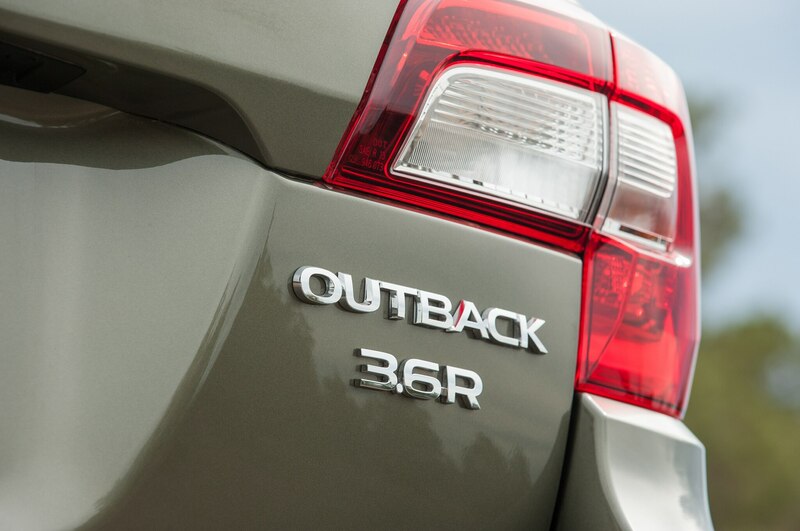 The Outback has come a long way from the quirky, cladded wagon and Paul Hogan TV commercials of the 1990s. 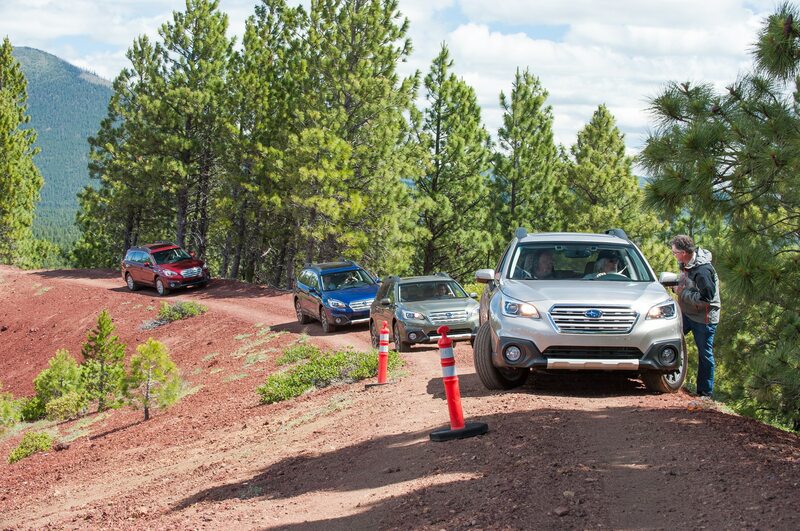 We liked those cars, and so did lots of active individuals. 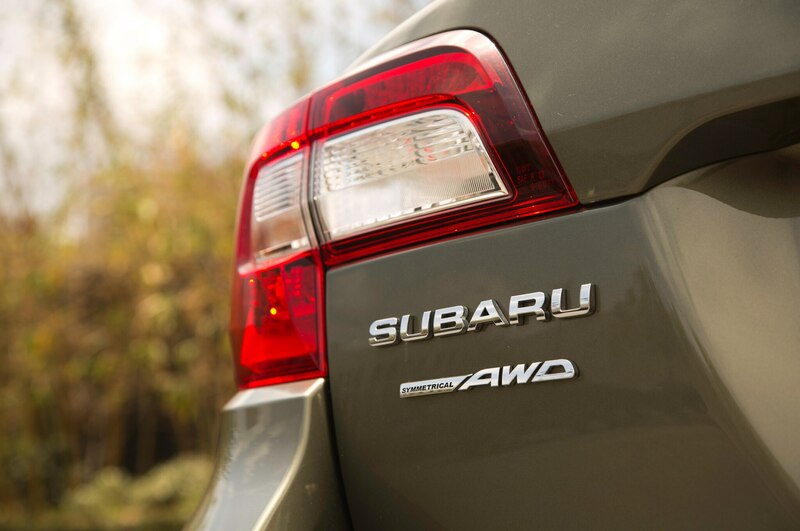 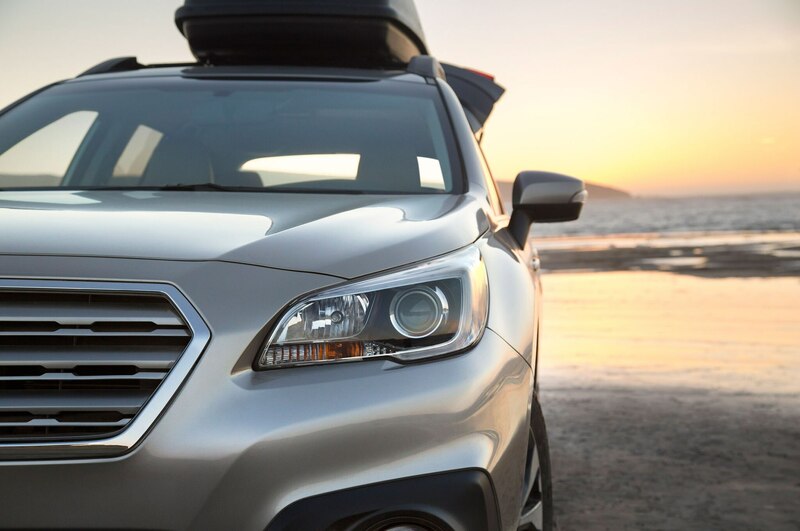 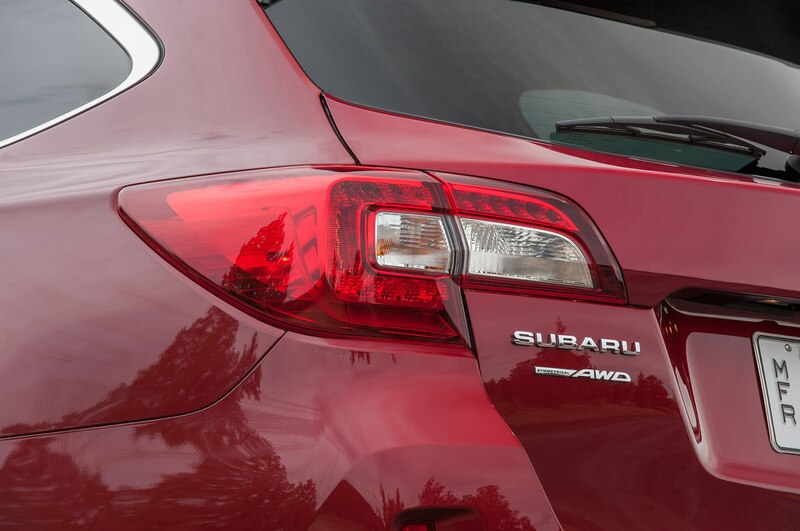 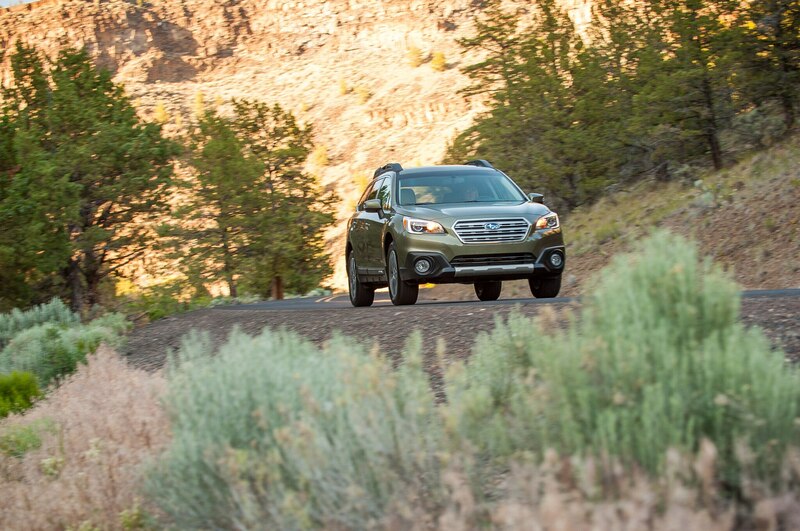 Through each of the first three generations, Subaru sold about 200,000 to 240,000 Outbacks. 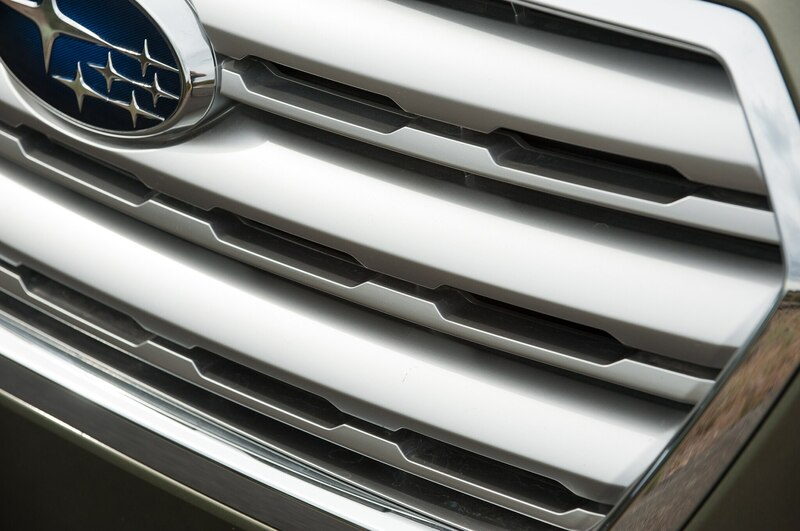 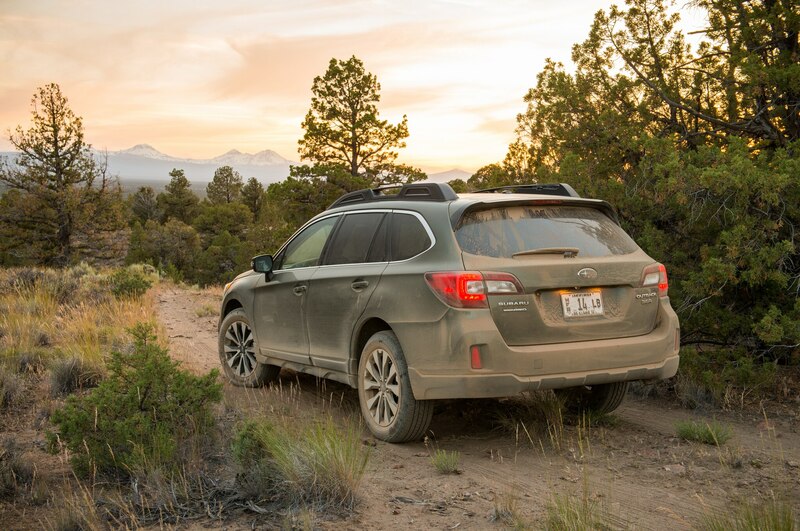 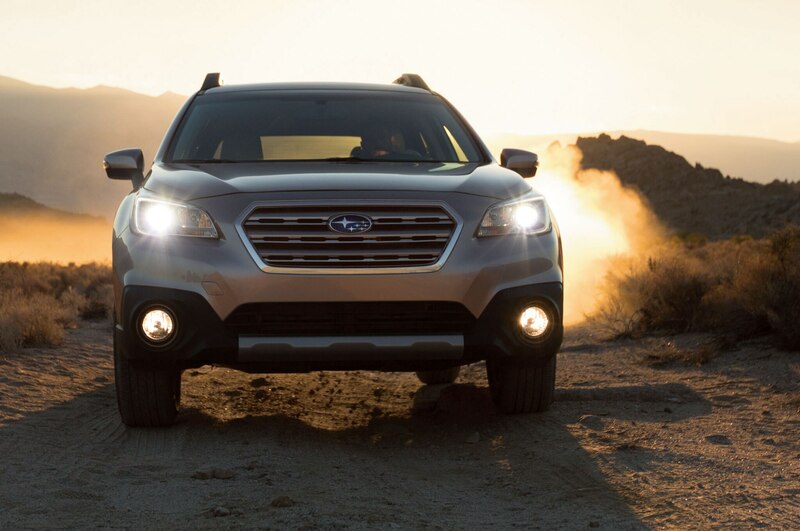 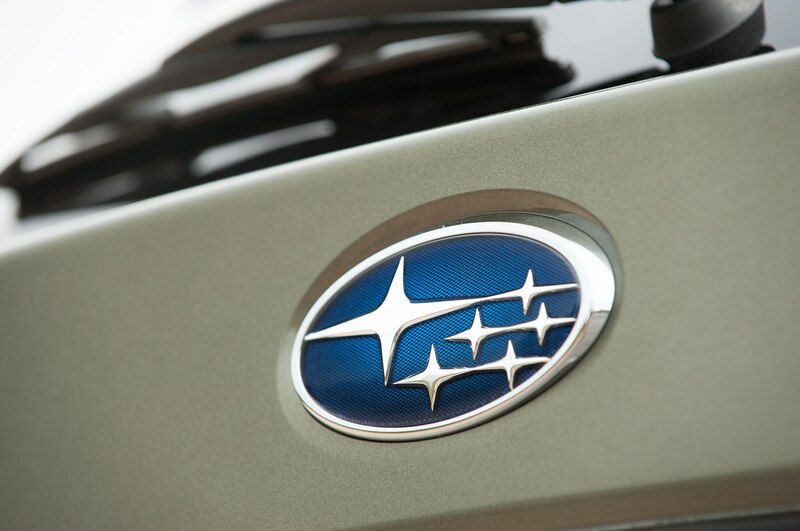 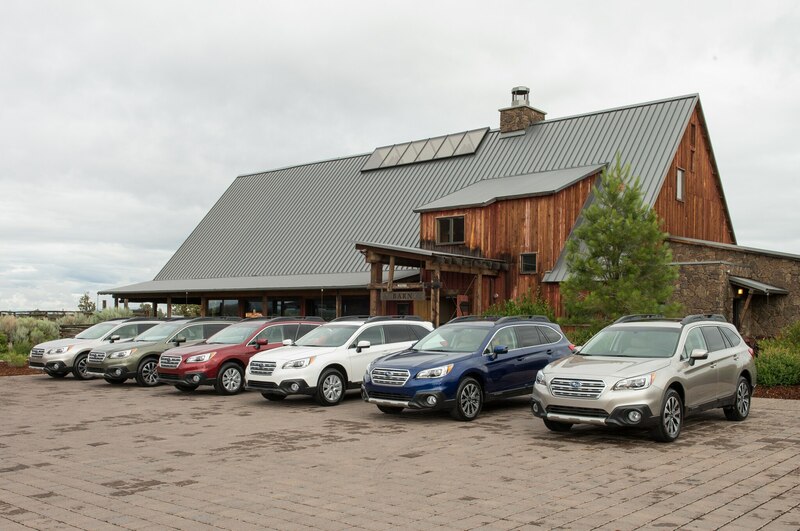 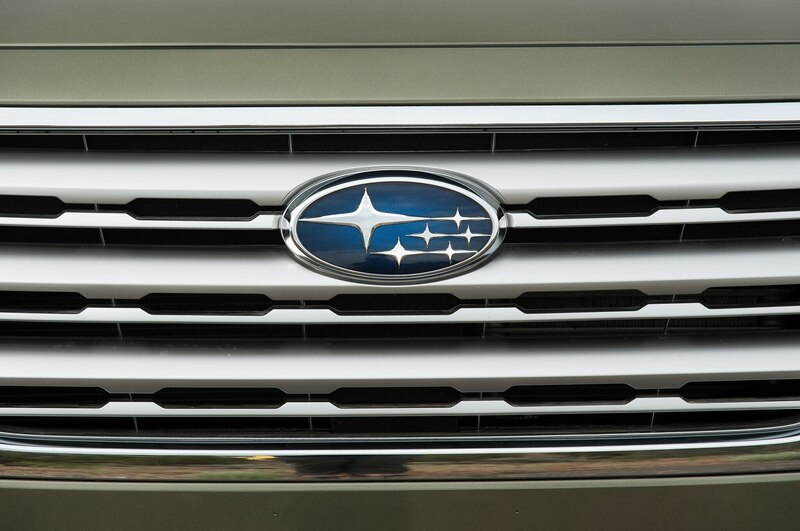 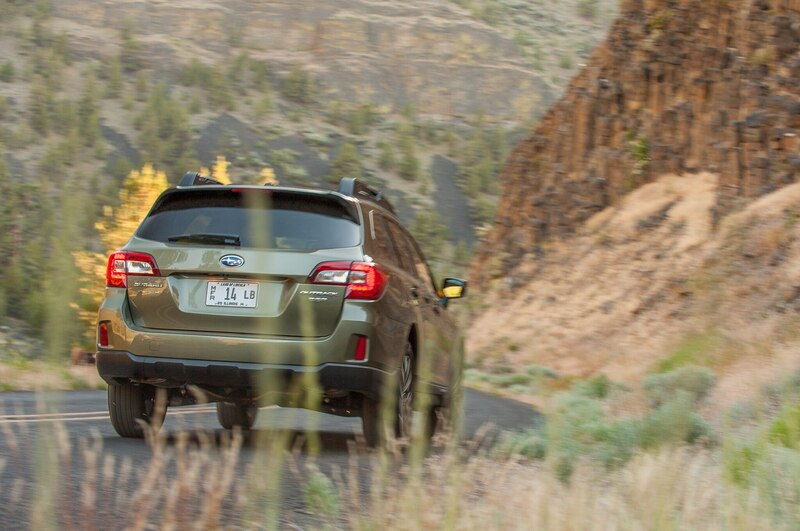 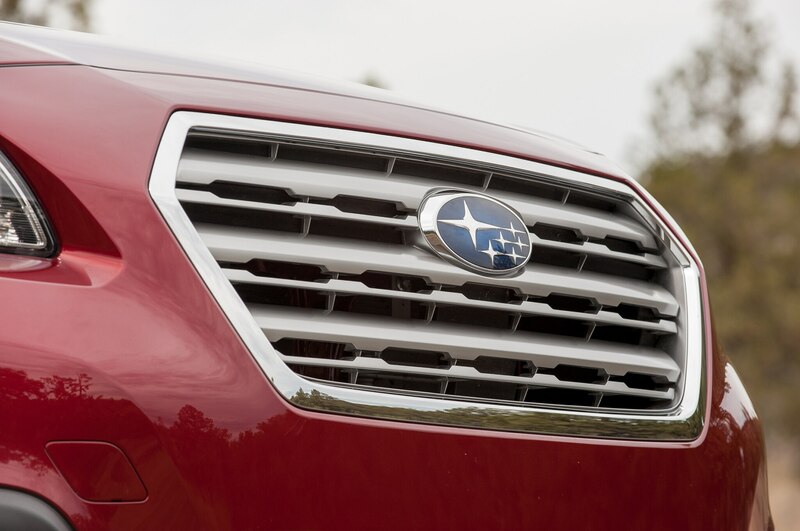 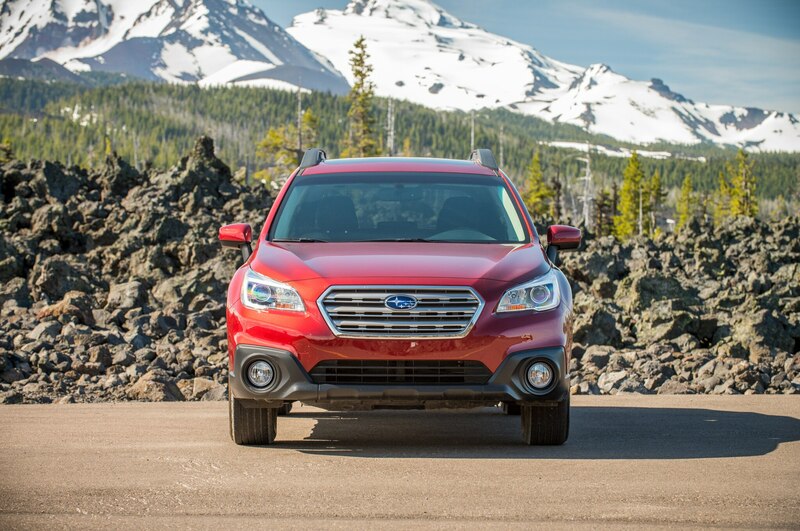 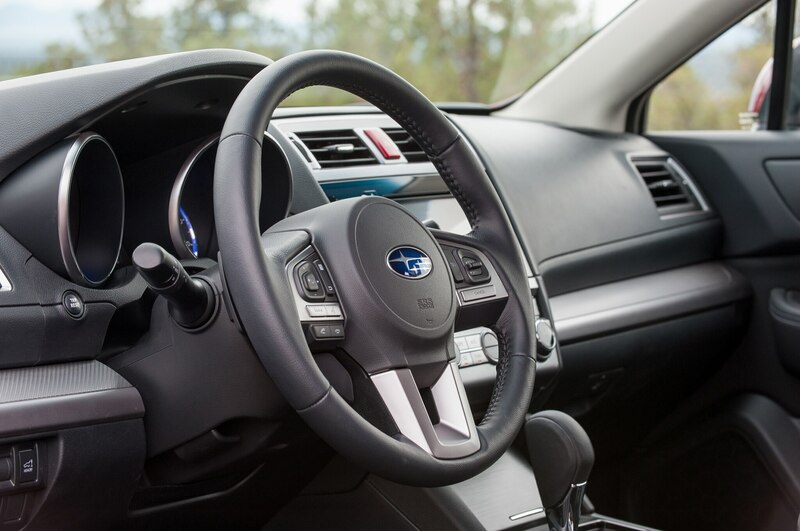 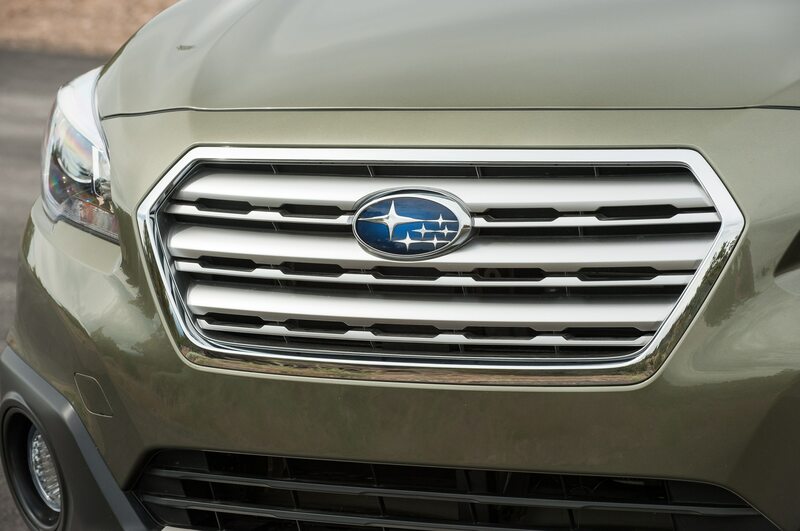 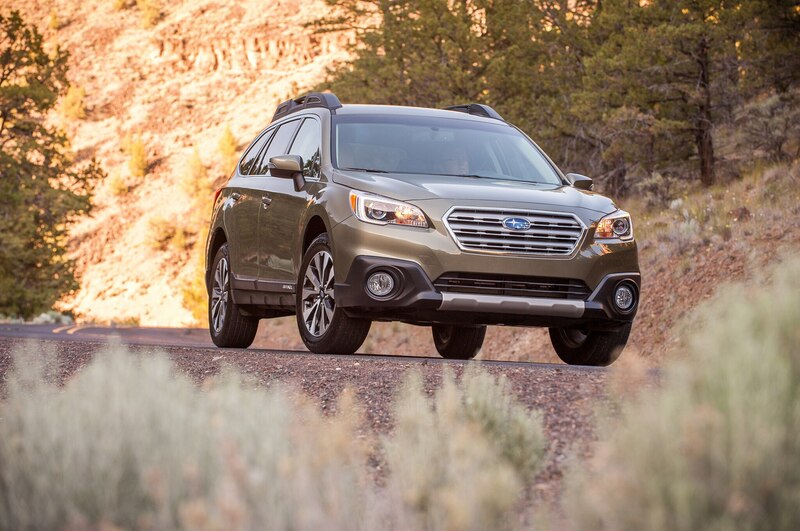 “The Outback really put Subaru on the map,” said Peter Tenn, car line manager for the Outback. 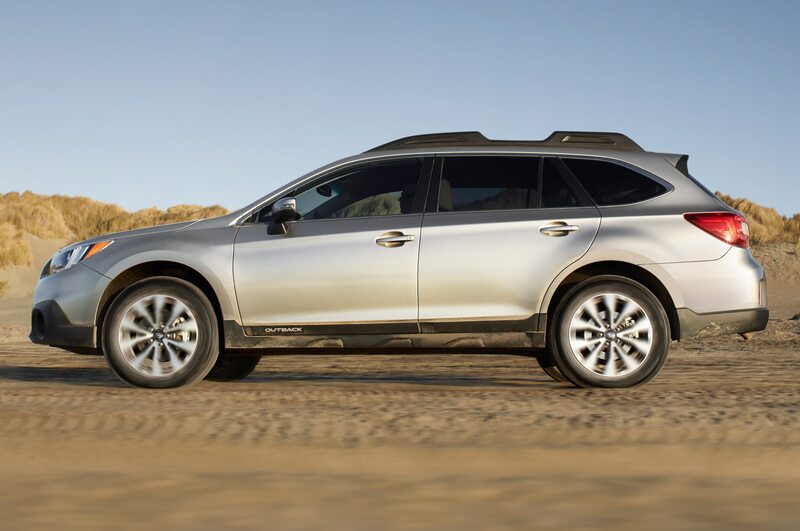 But the Outback really hit the big time following its redesign in 2010, when it grew into a larger, more conventional-looking crossover. 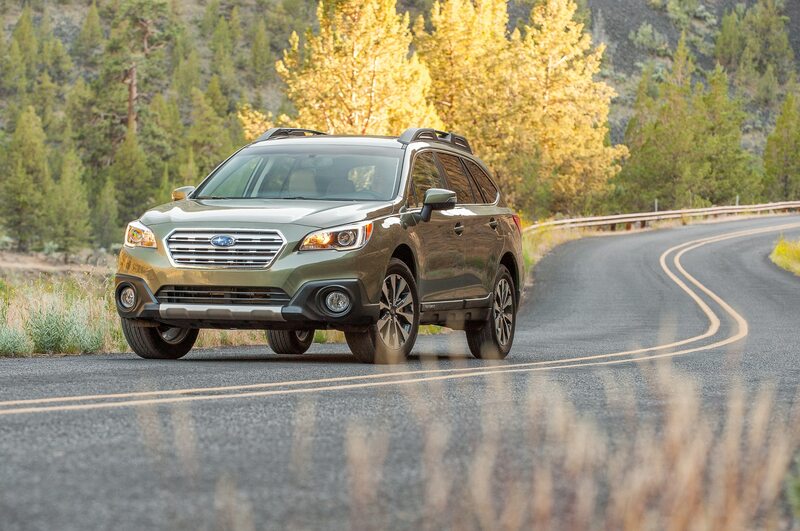 Sales increased to about 450,000 over the life of the vehicle. 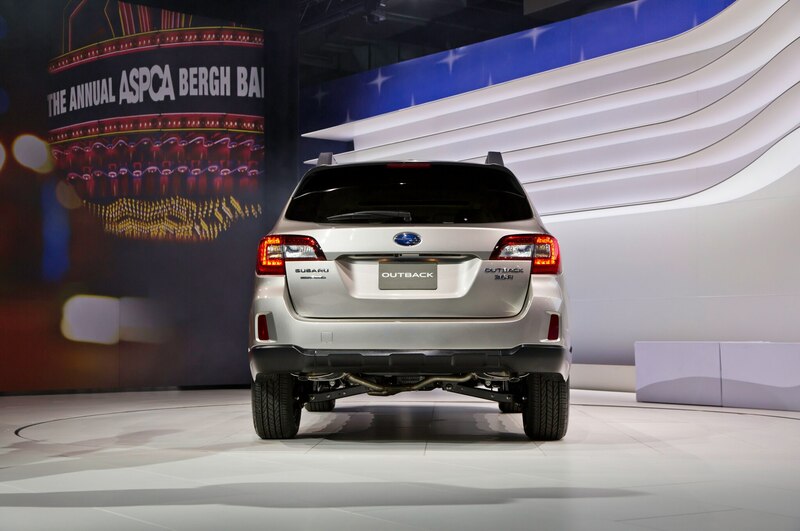 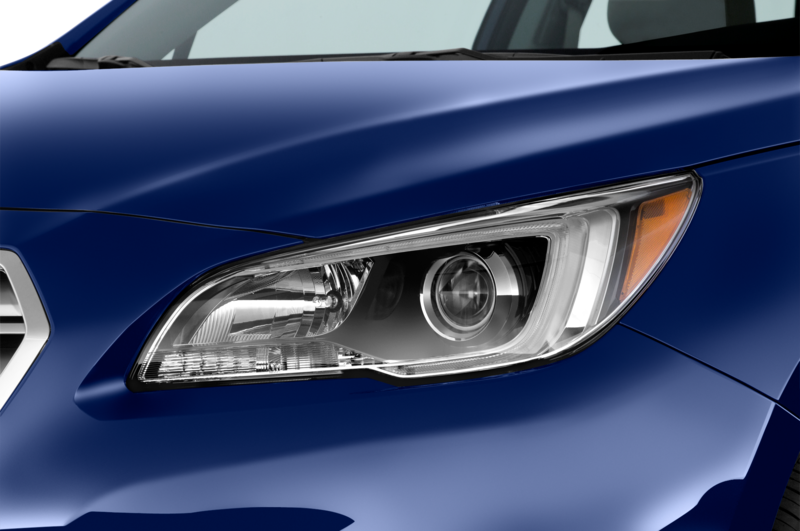 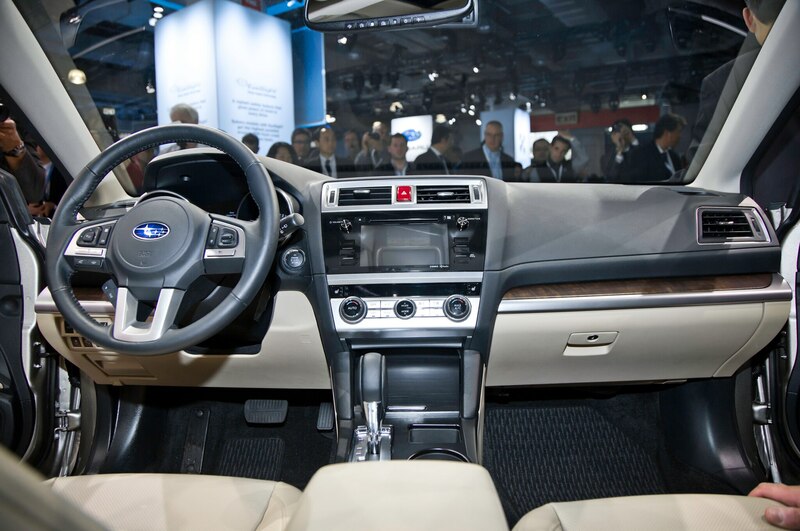 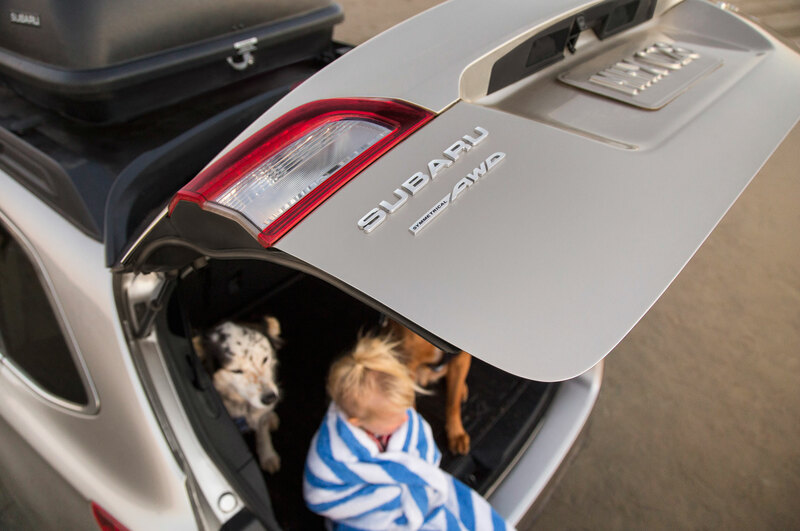 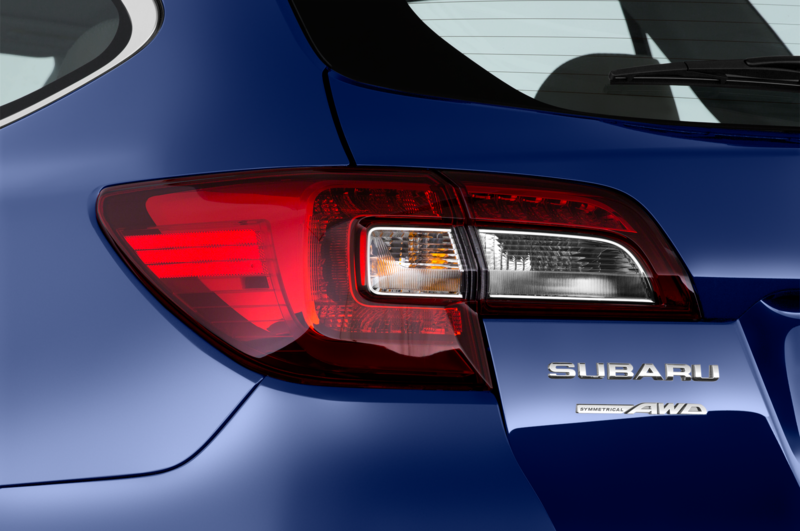 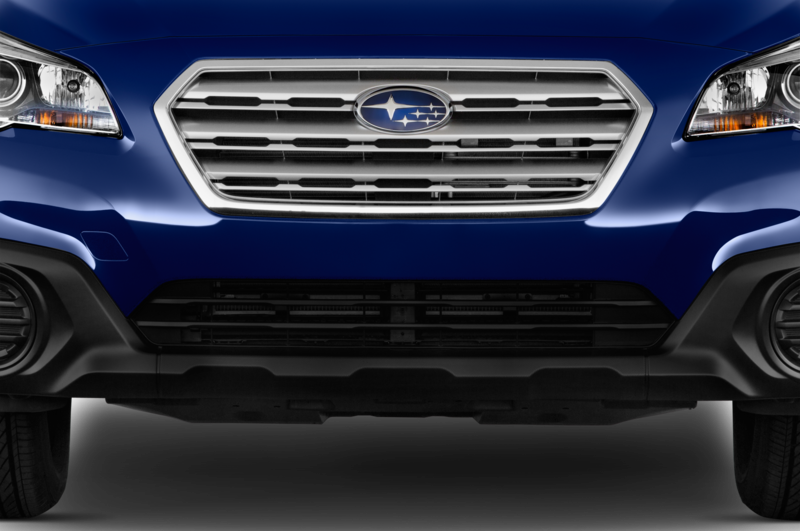 Not surprisingly, Subaru is sticking with this larger format for the redesigned 2015 model. 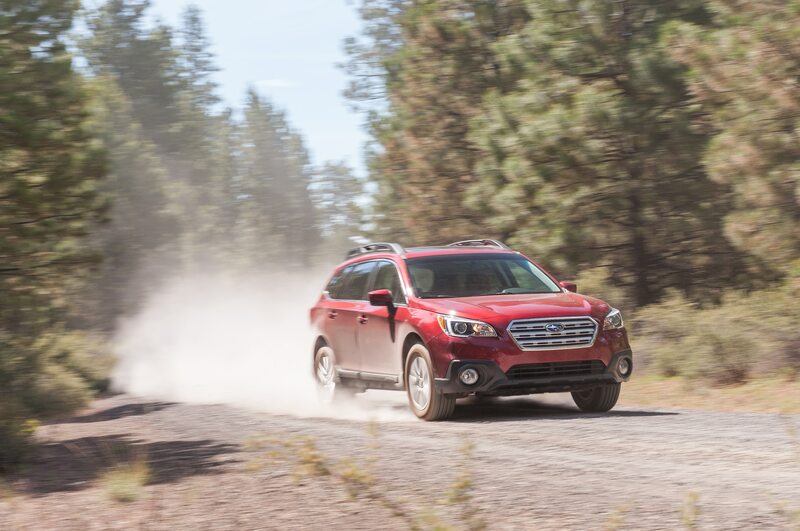 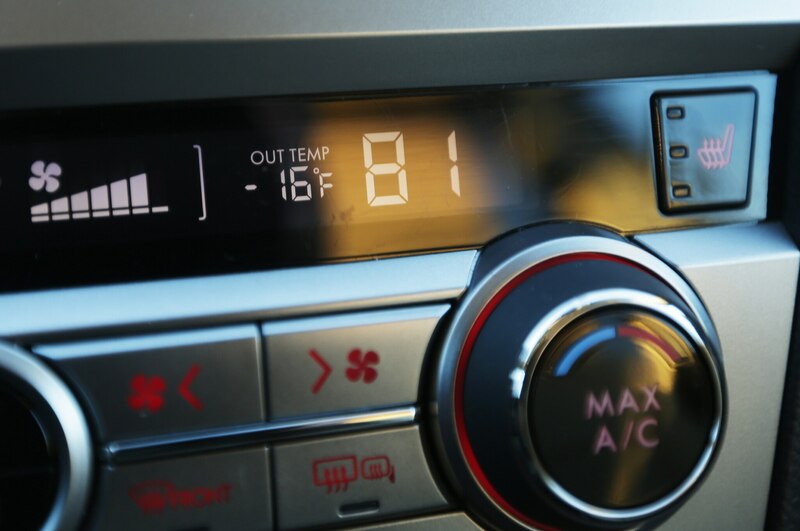 “If you hit a nail on the head, you strike in the same place,” said Michael McHale, director of corporate communications for Subaru of America. 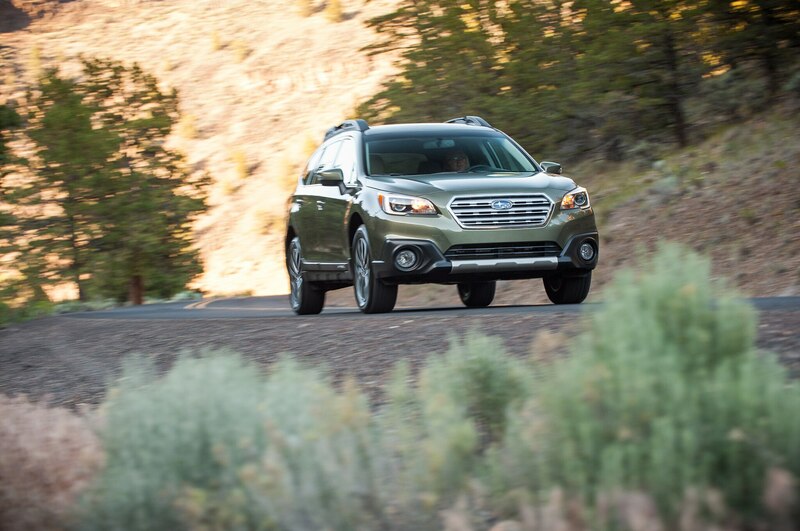 The new Outback sure looks similar to its predecessor, albeit slightly more handsome. 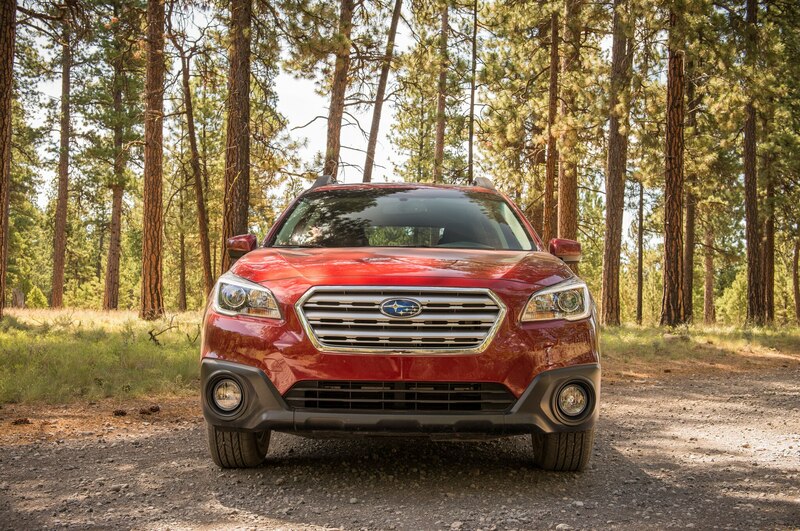 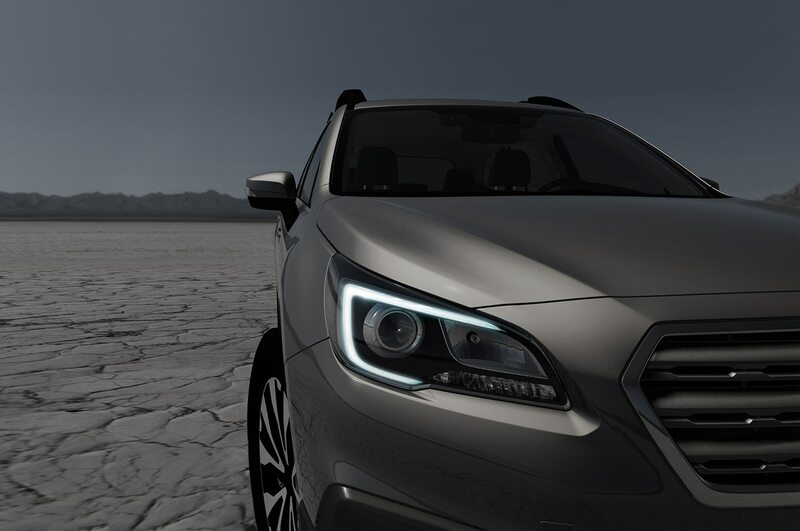 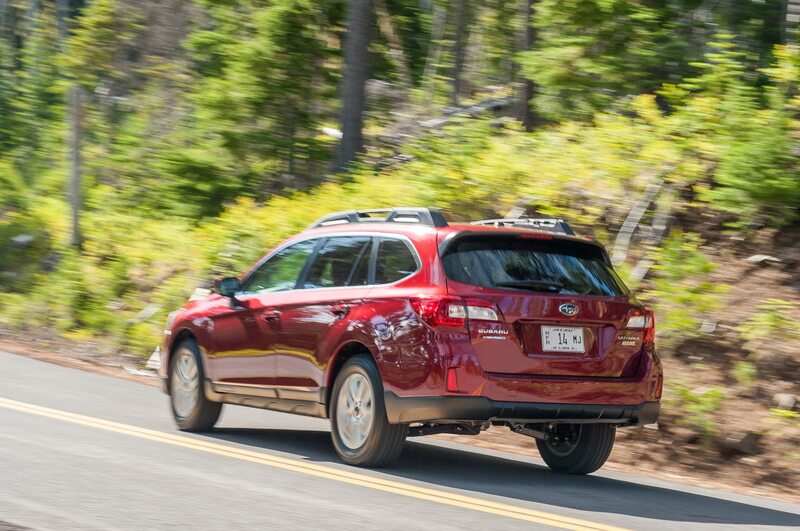 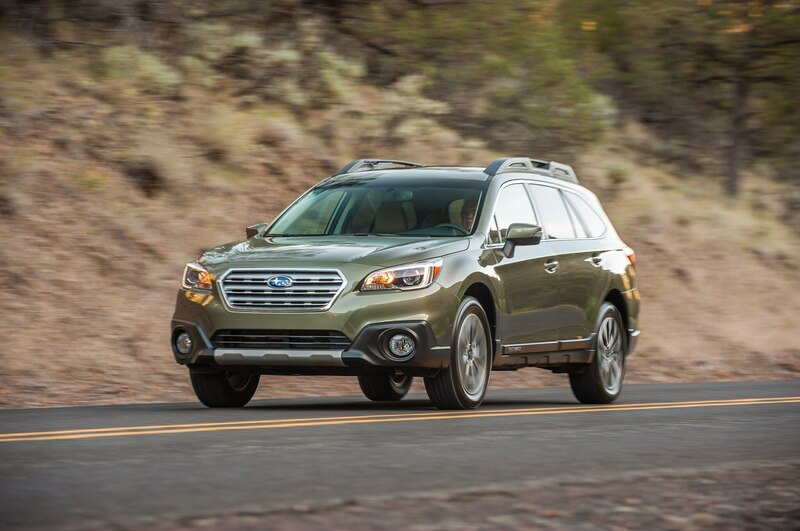 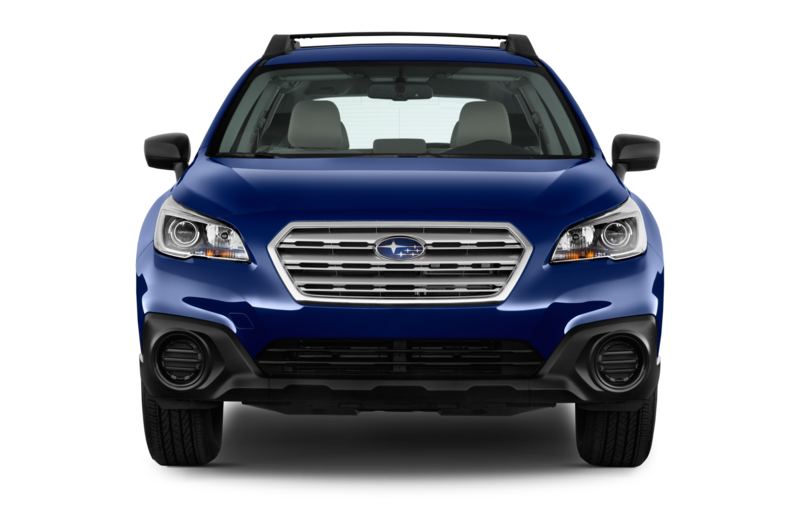 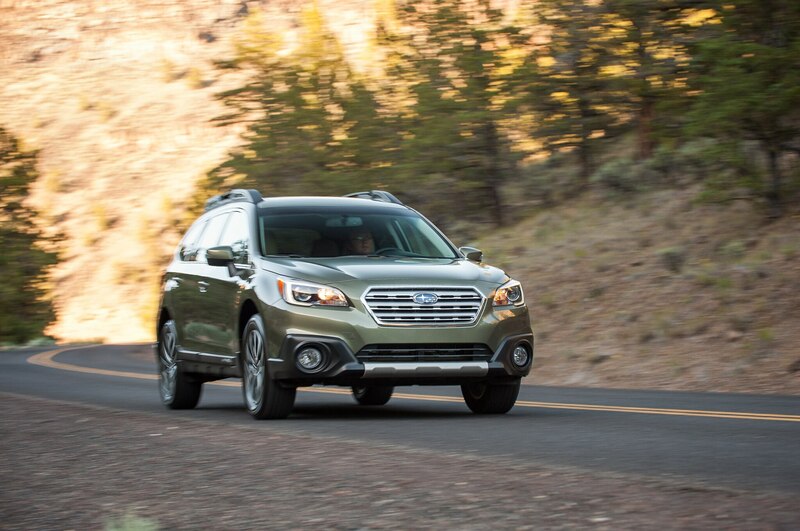 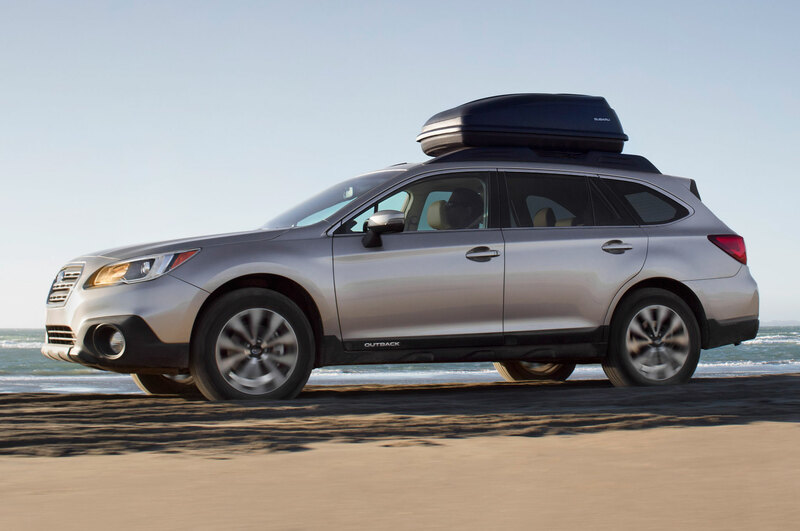 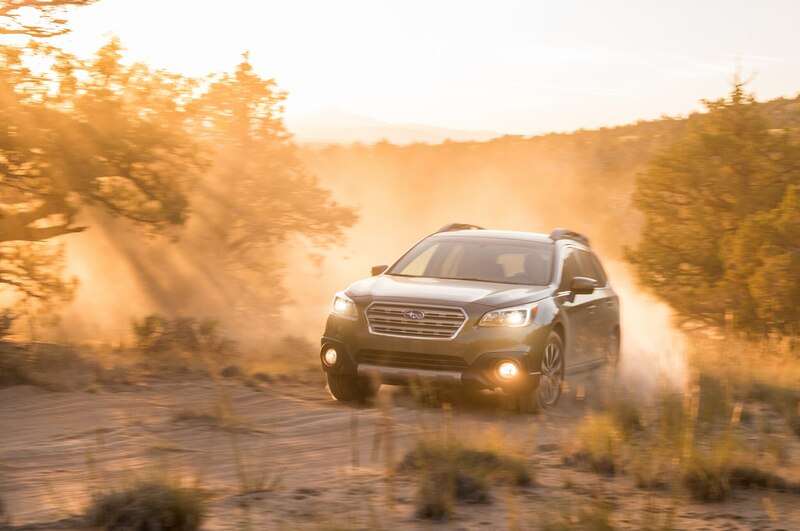 The 2015 Subaru Outback still isn’t a looker, but it benefits from a redesigned front fascia with prettier headlights and Subaru’s new hexagonal grille. 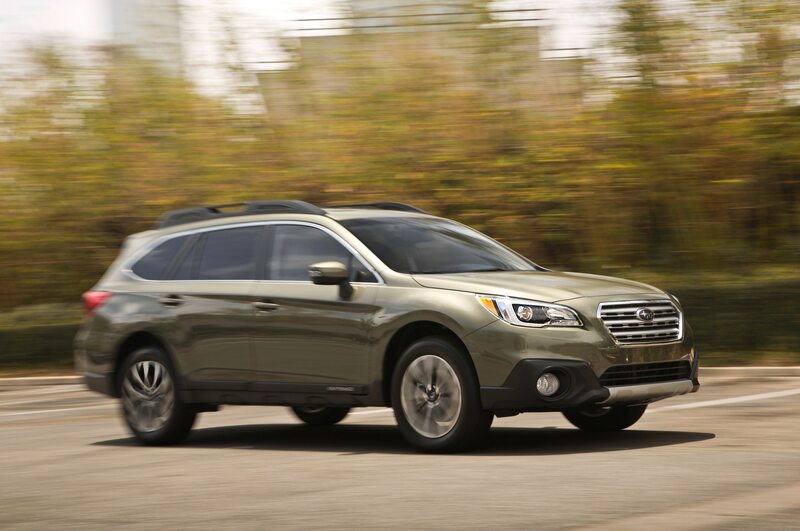 The windshield is more raked, which makes the Outback look a little sleeker. 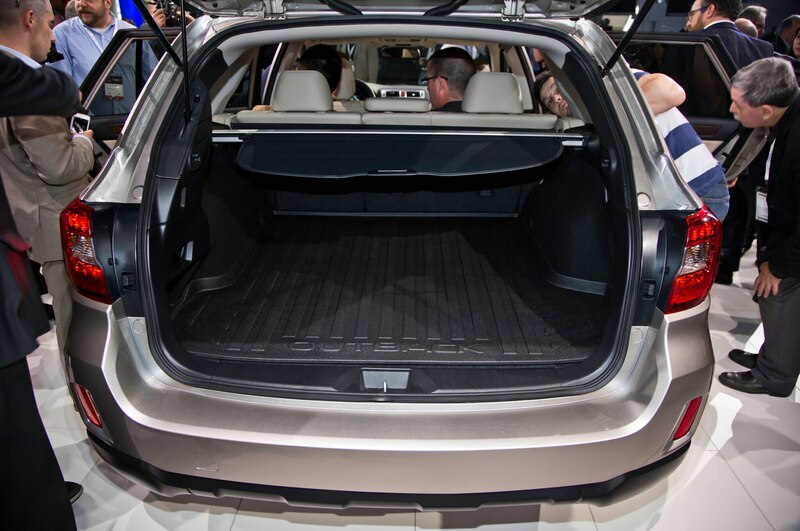 That’s not to say it looks sleek, seeing how it’s 8.7 inches off of the ground and has body cladding and roof rails. 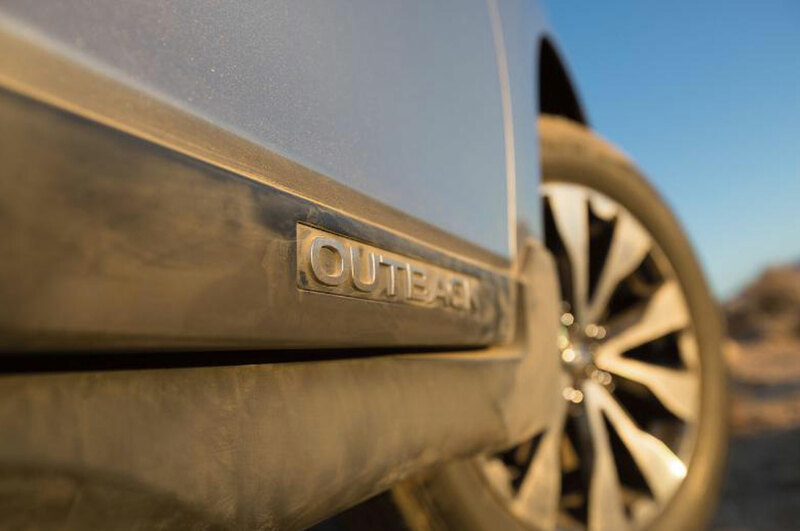 More changes are evident inside the new Outback. 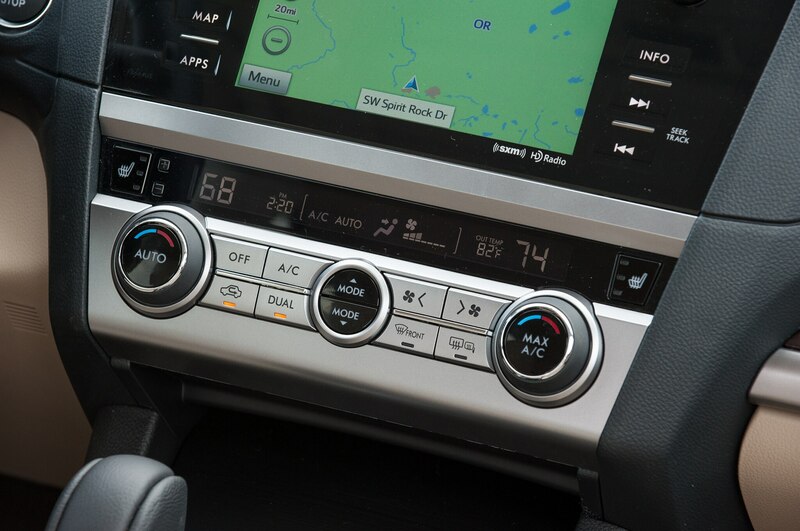 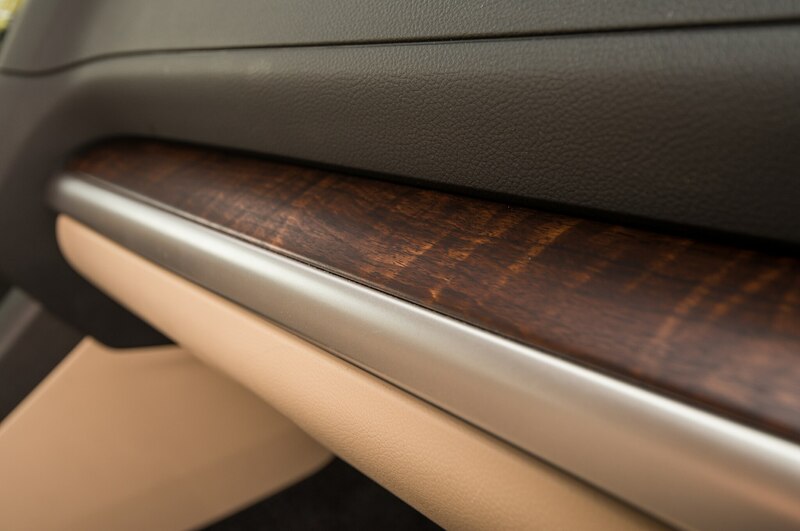 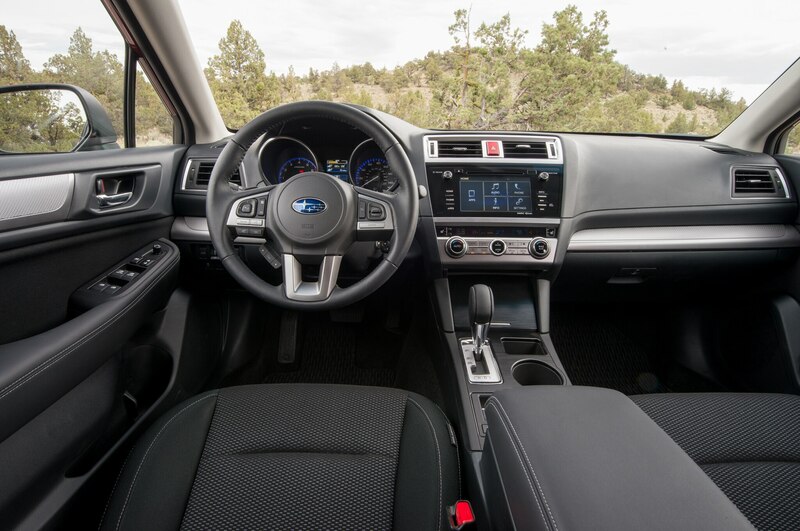 The cabin has a cleaner design, more soft-touch materials, and, most important, a new infotainment system to replace the dreary unit we’ve come to know. 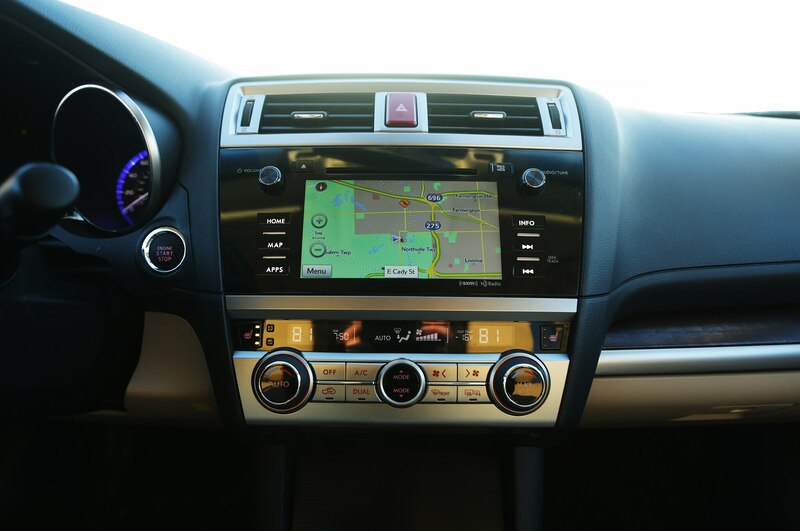 It features either a 6.2-inch or optional 7-inch touchscreen, attractive piano-black trim around its outside edge, and a more intuitive layout. 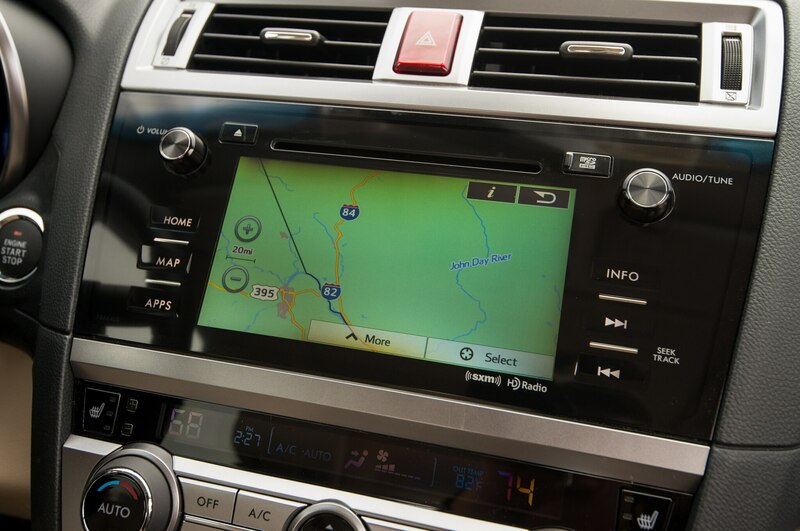 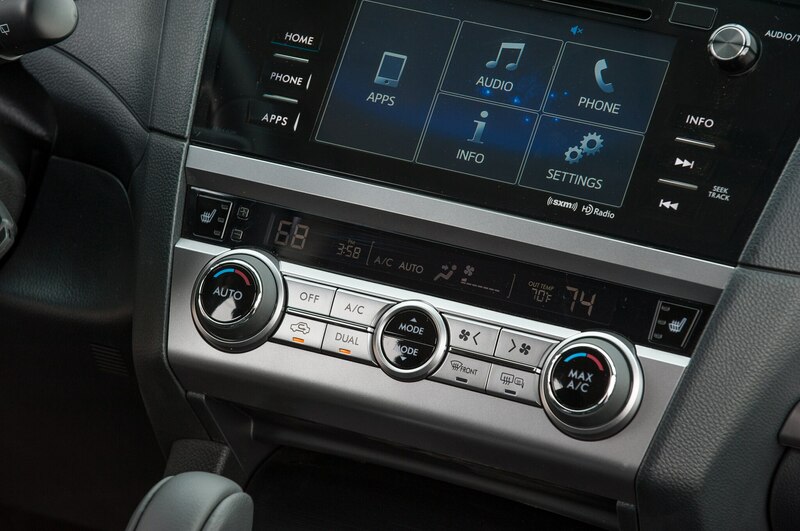 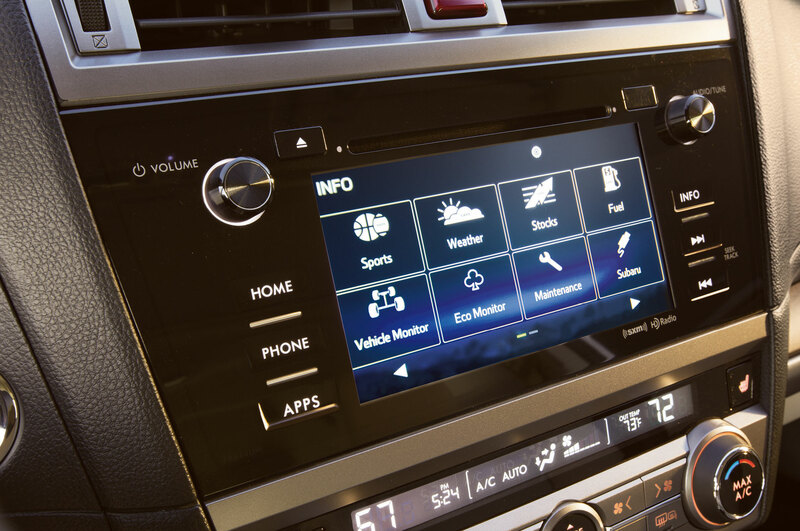 Each system gets Subaru’s Starlink smartphone integration and comes with a suite of apps that includes Aha, Pandora, and iHeart radio. 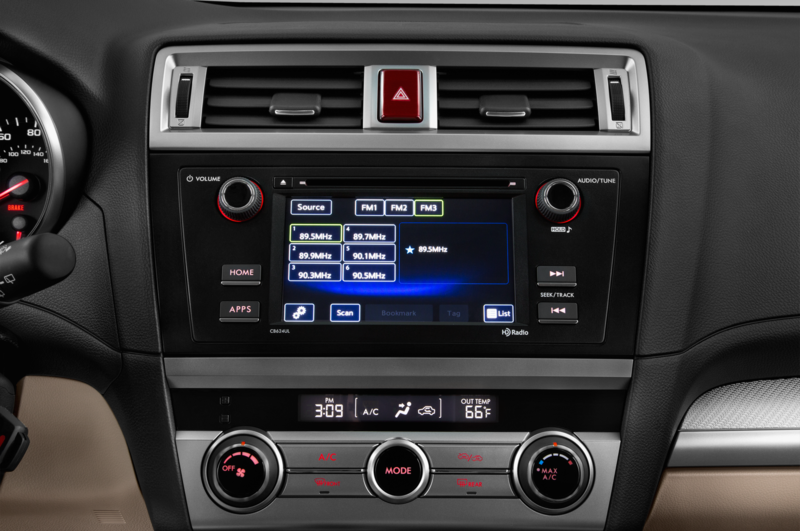 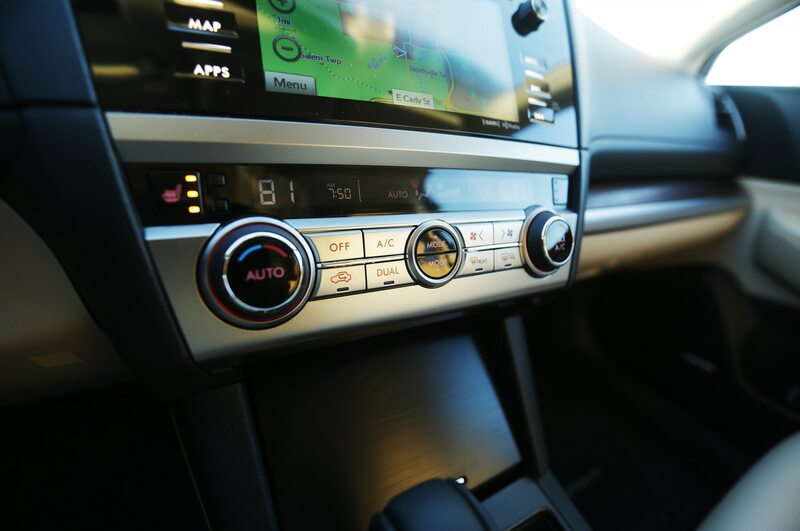 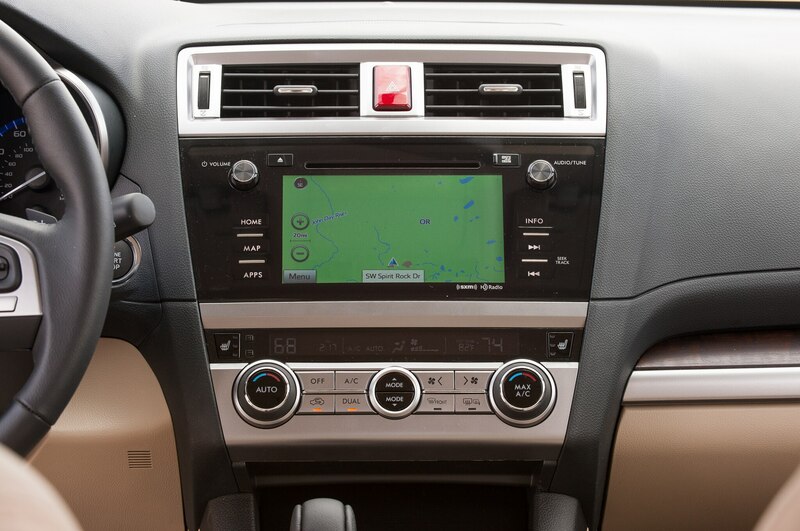 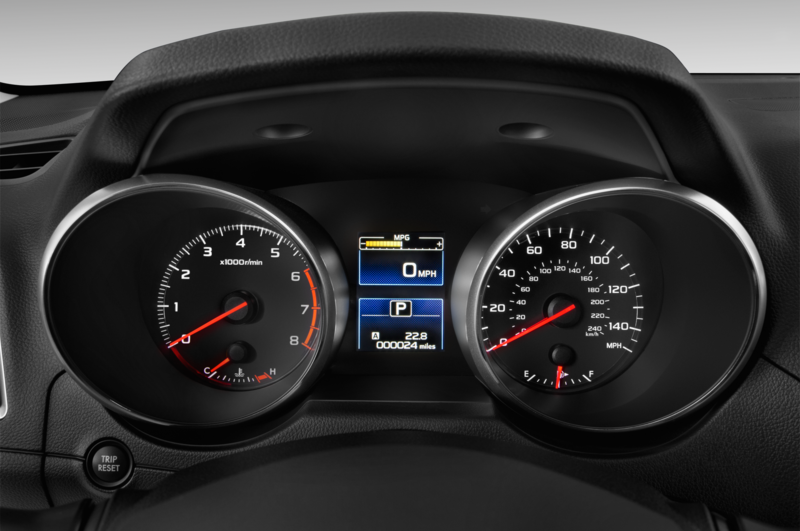 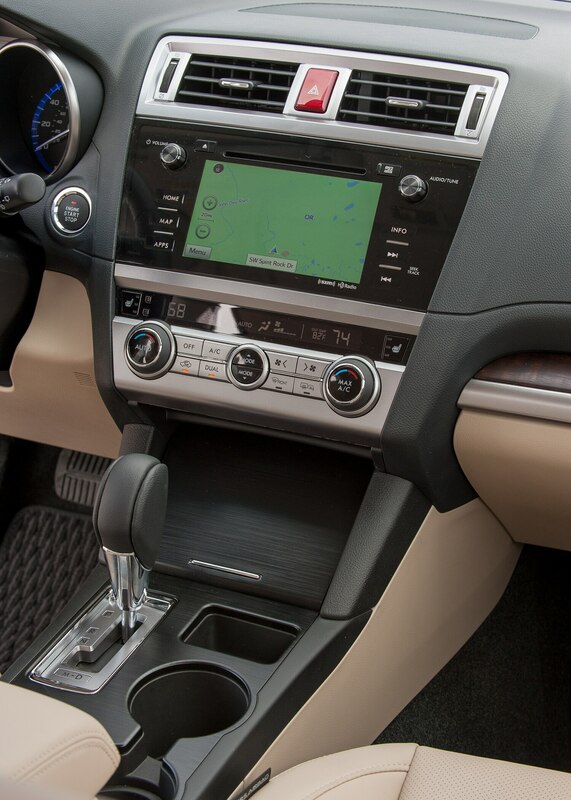 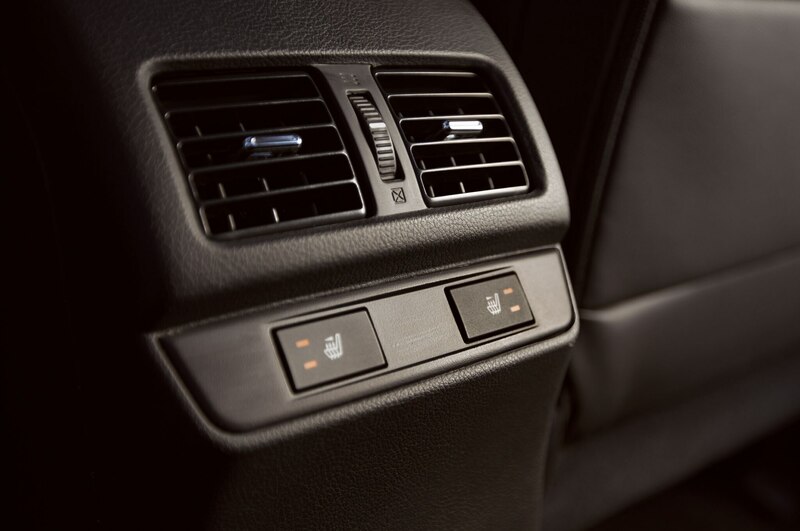 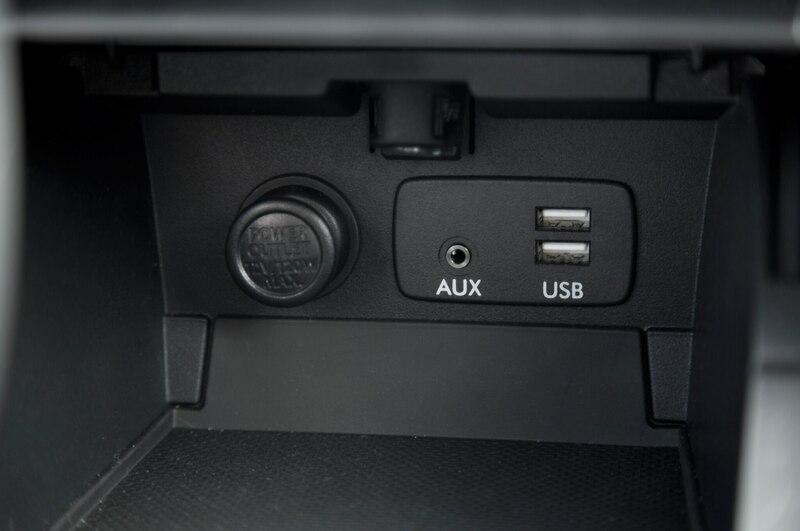 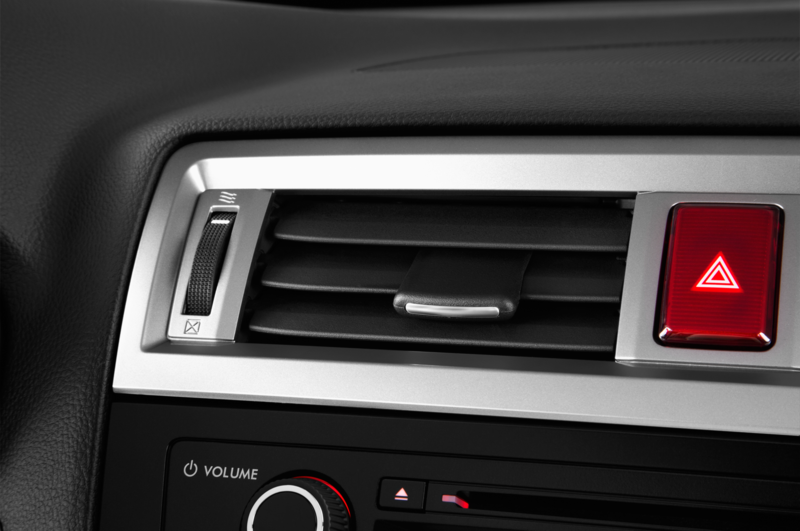 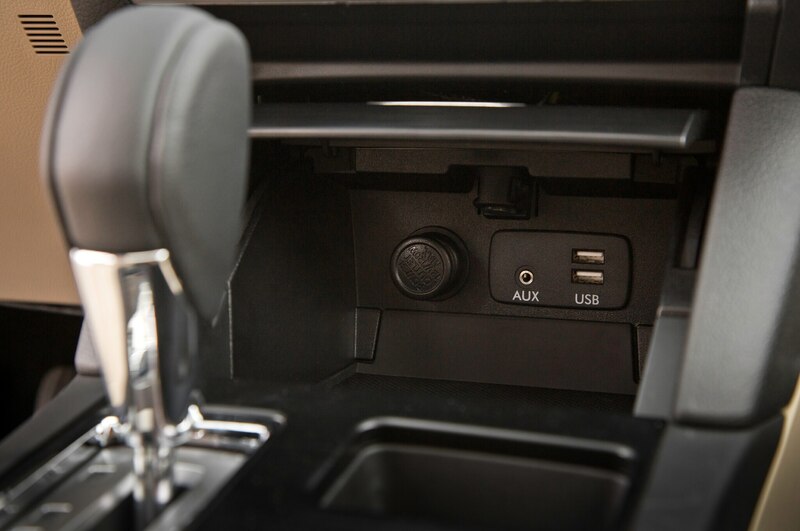 The 7-inch system gets voice-activation, SiriusXM satellite radio, two USB ports instead of one, and can be optioned with navigation. 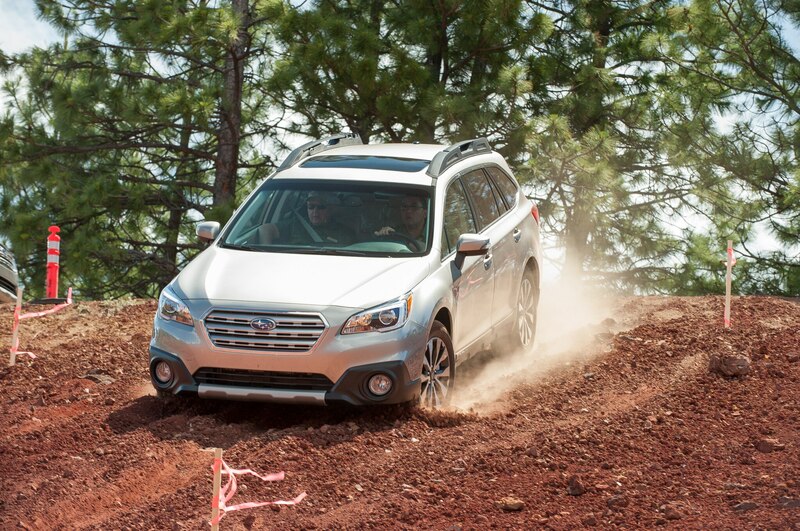 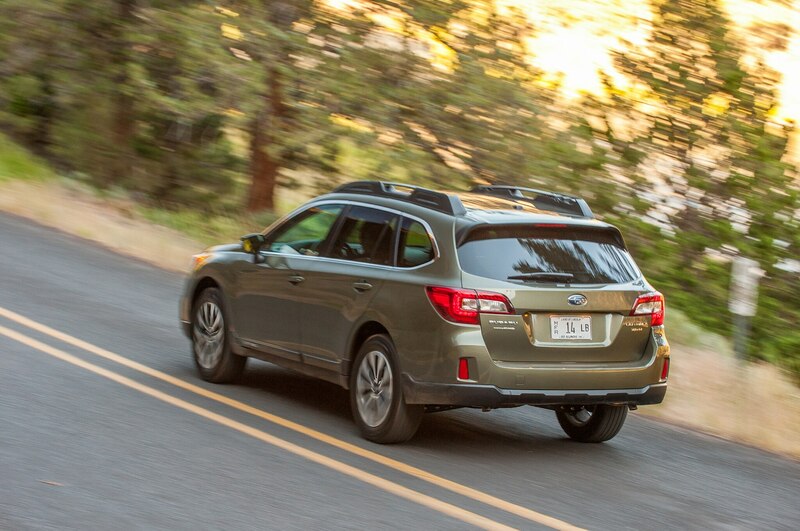 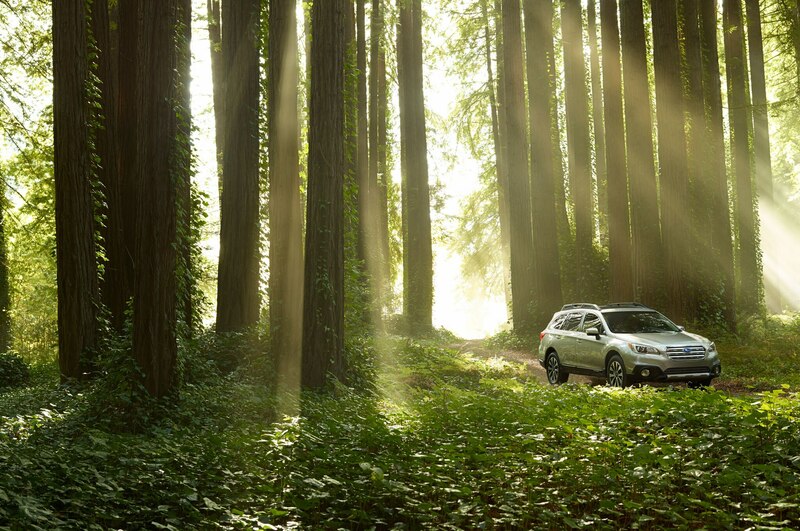 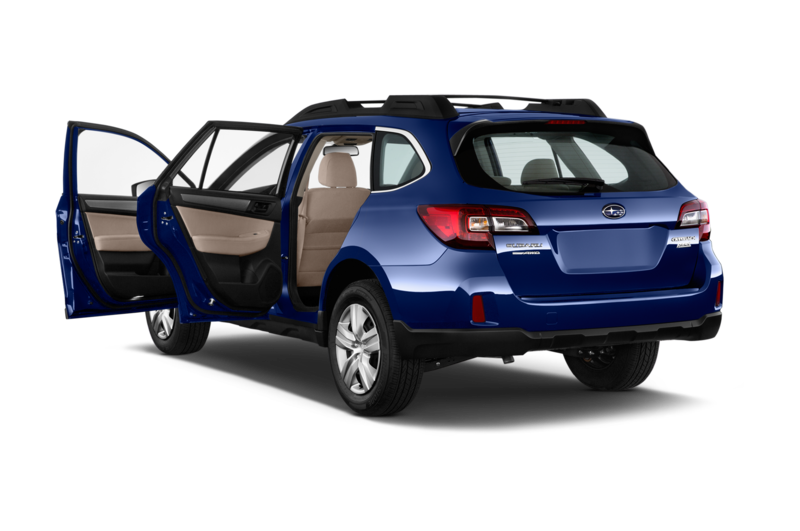 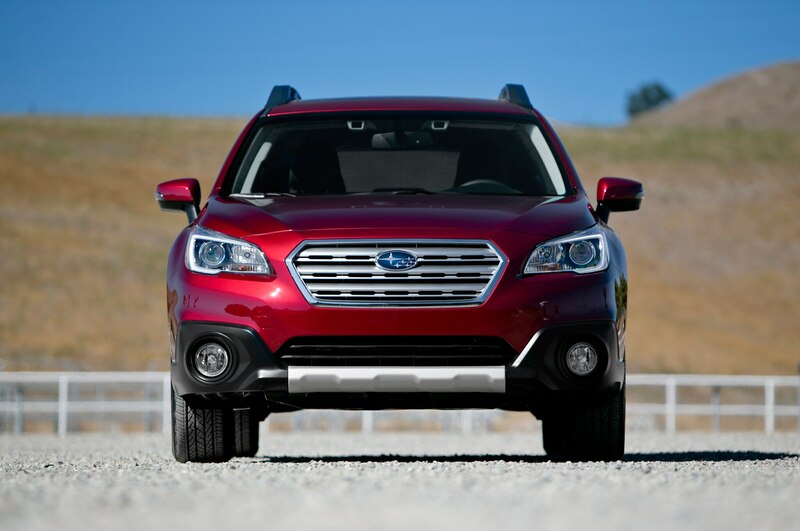 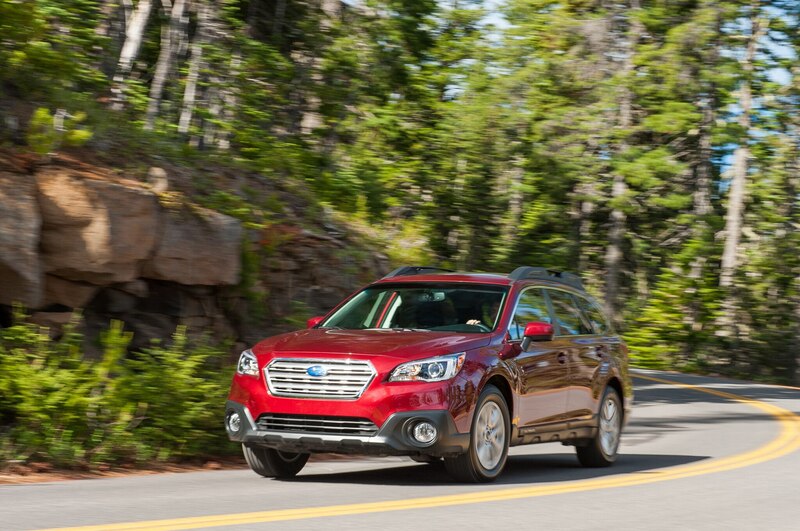 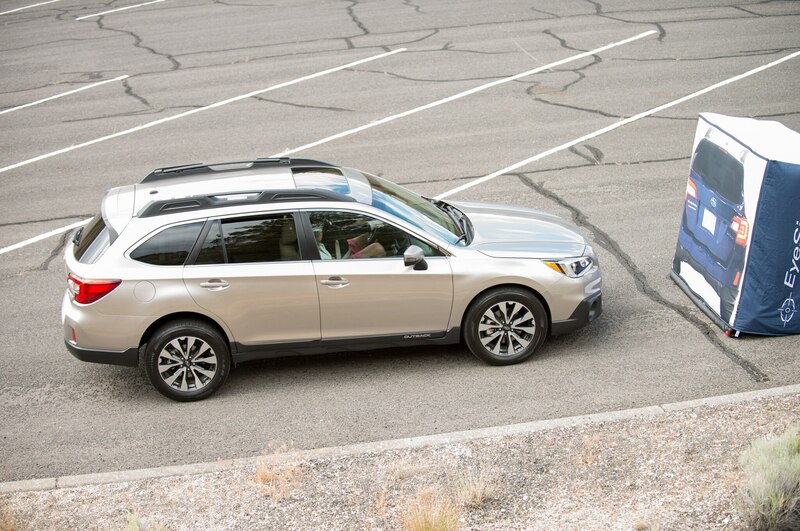 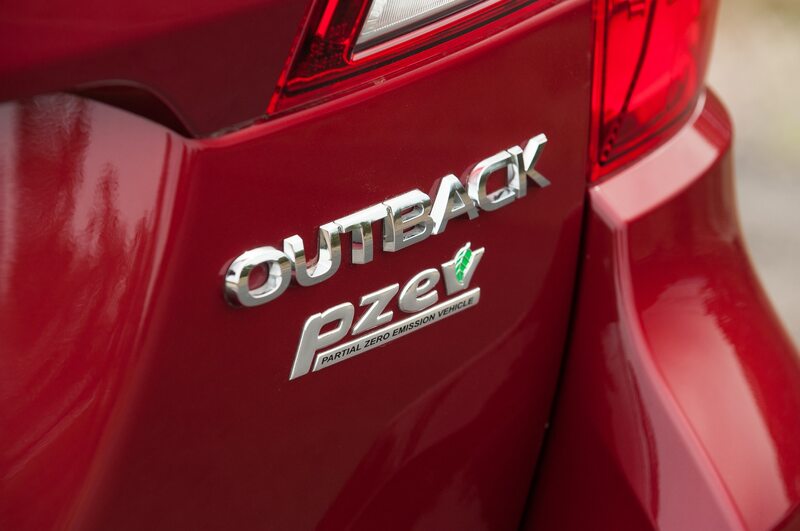 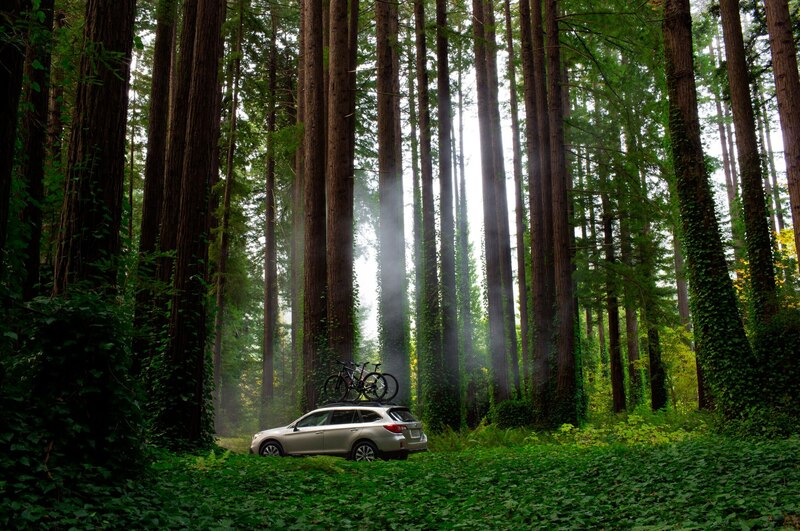 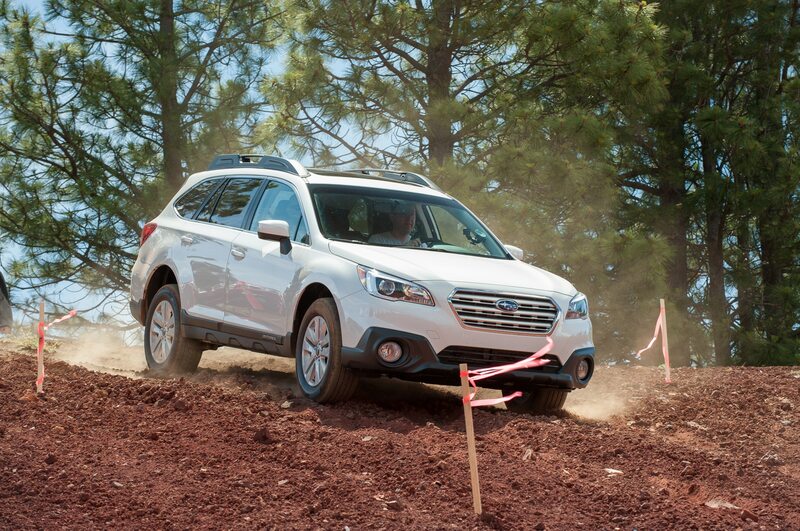 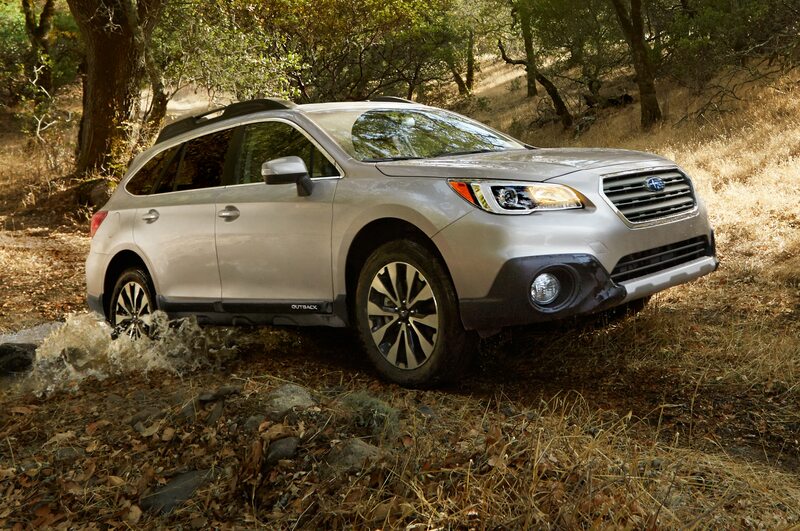 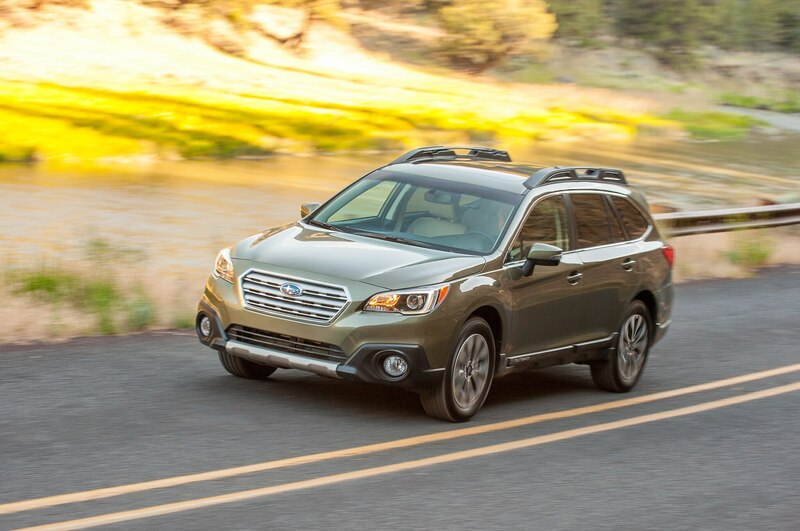 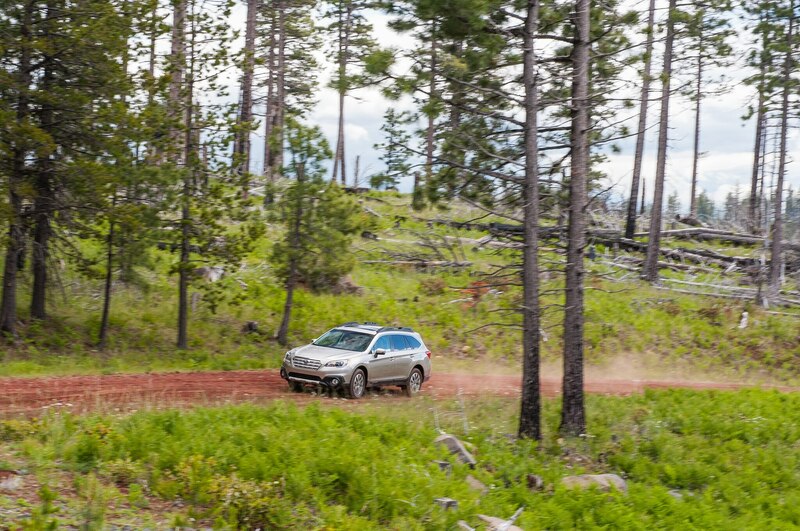 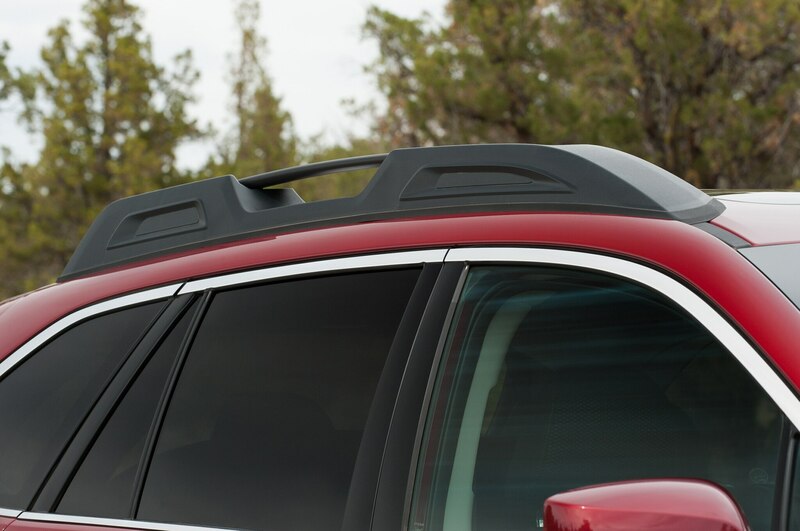 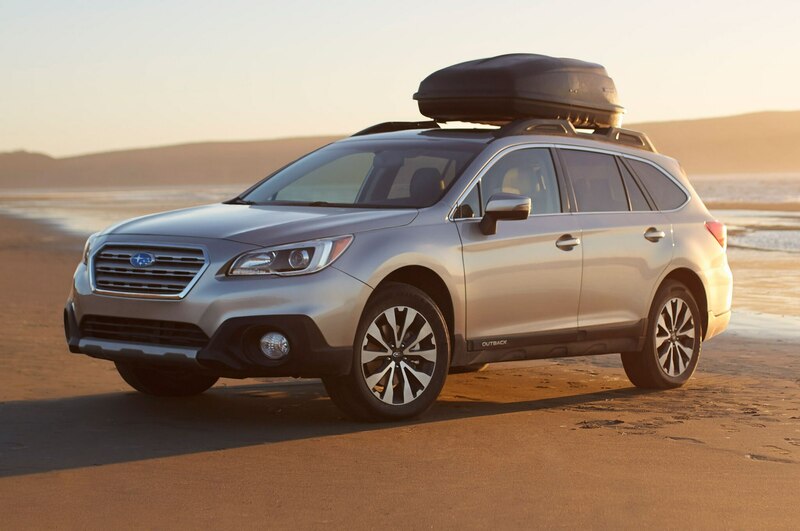 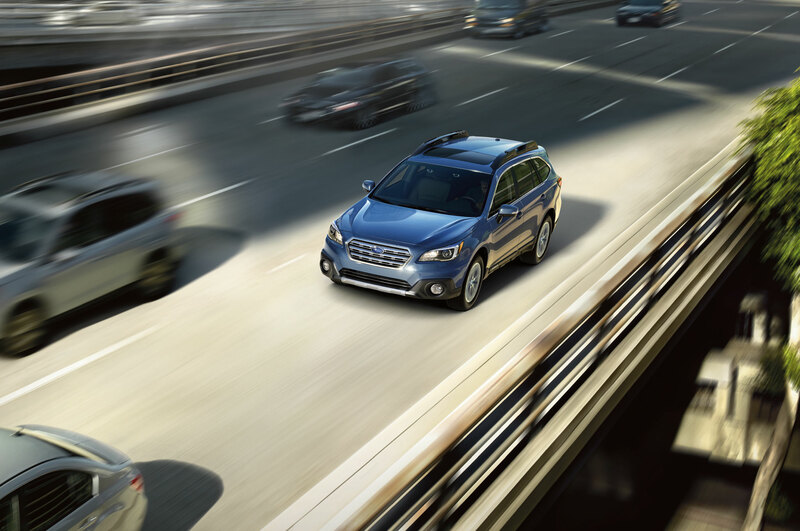 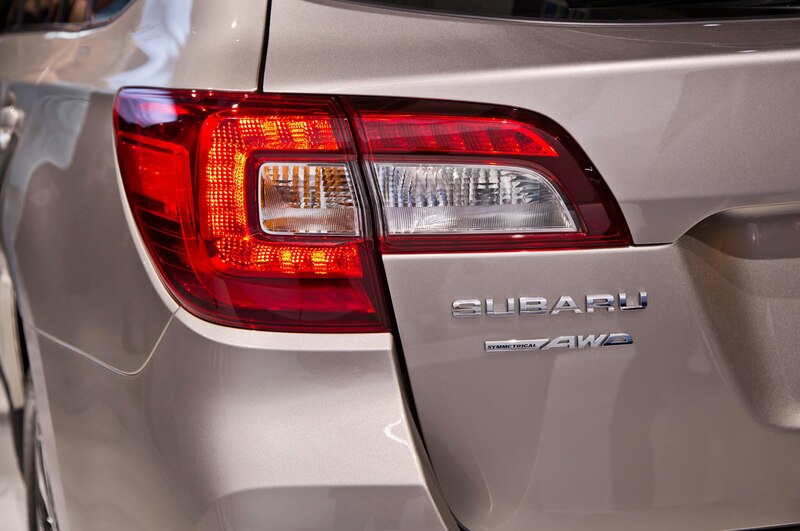 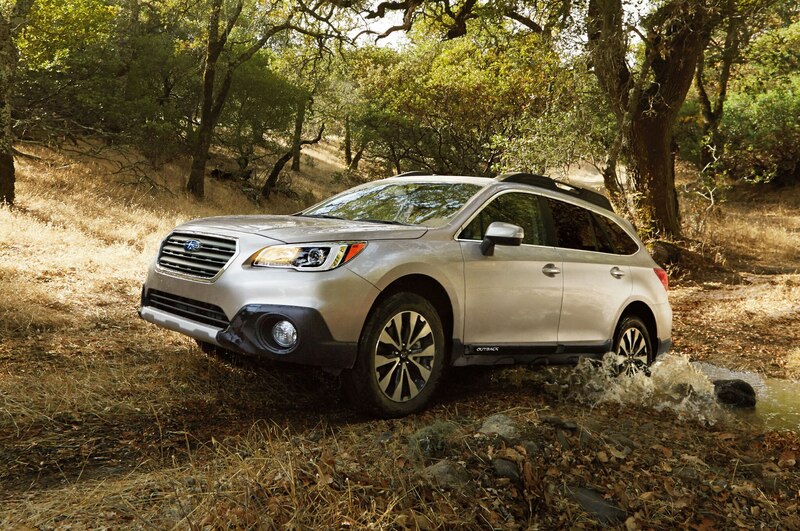 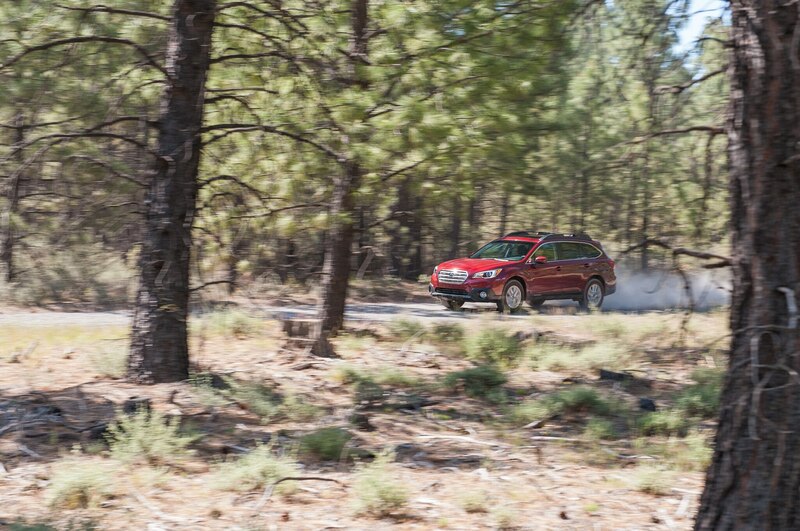 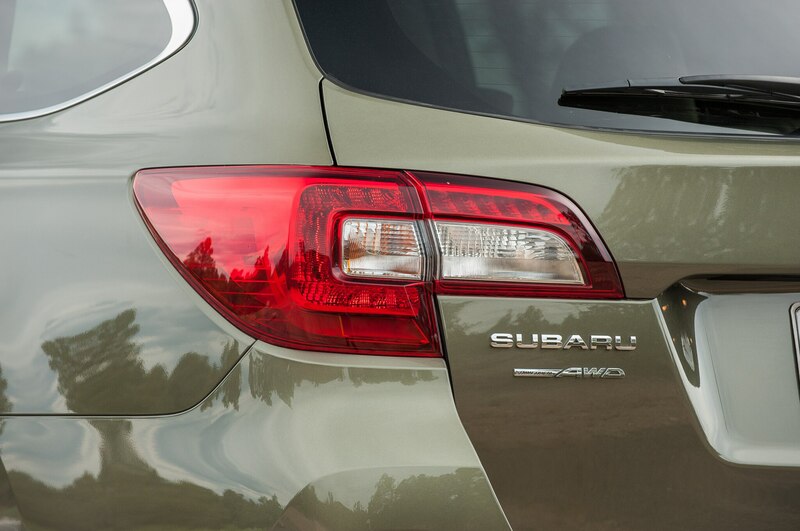 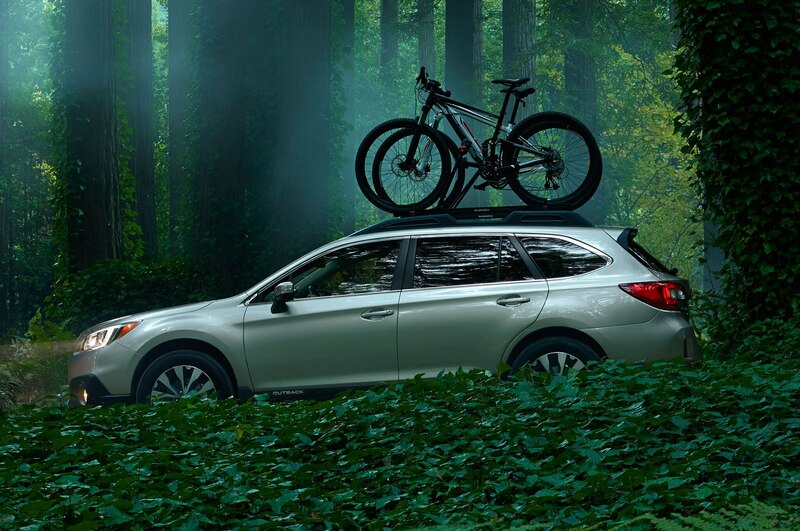 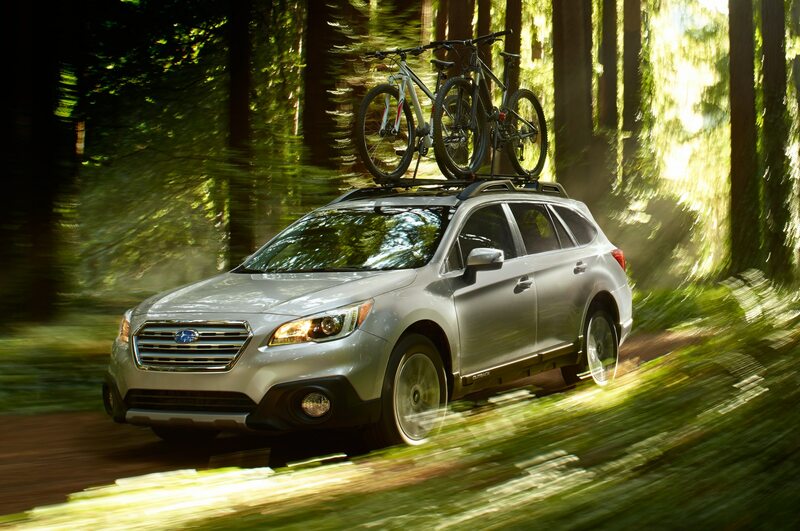 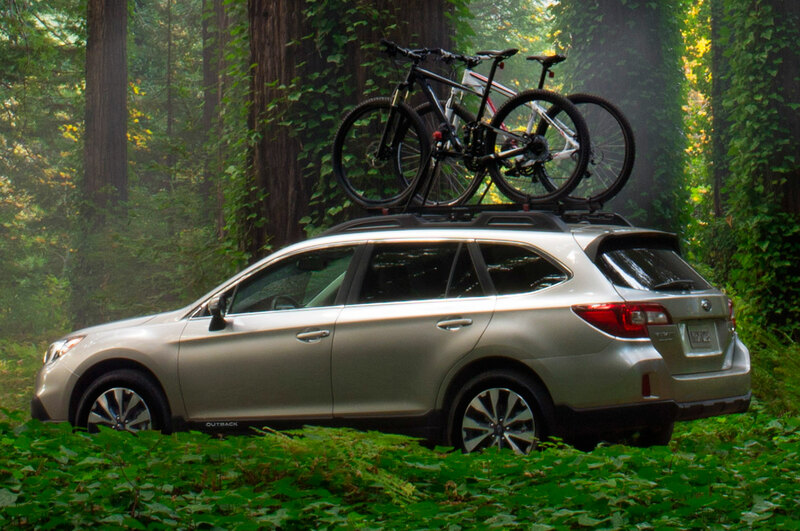 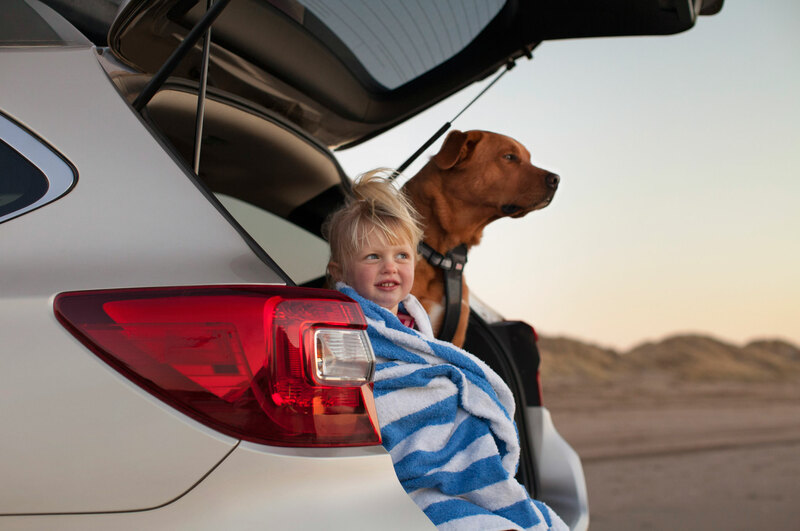 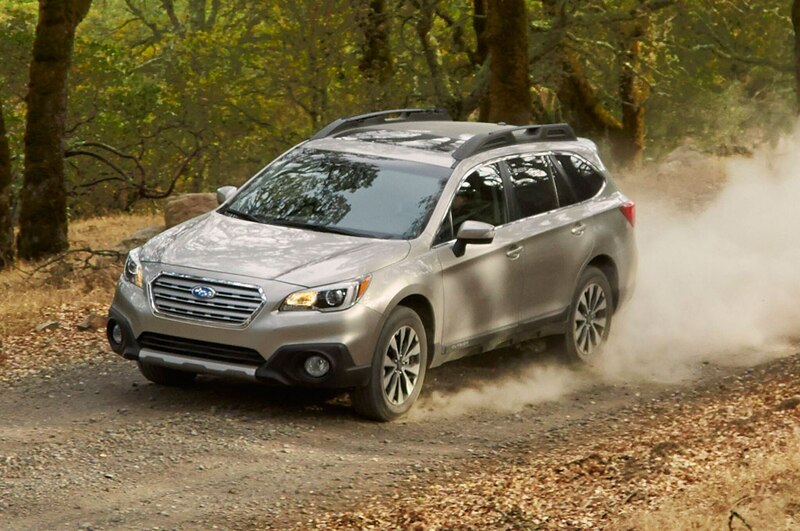 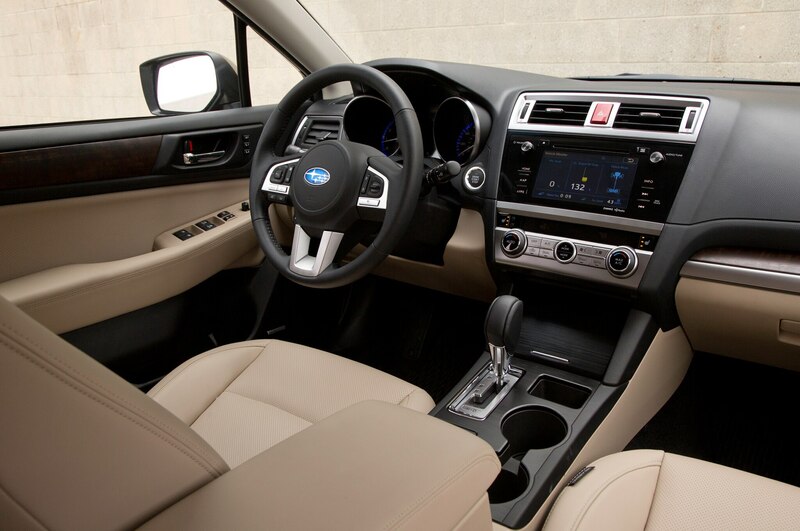 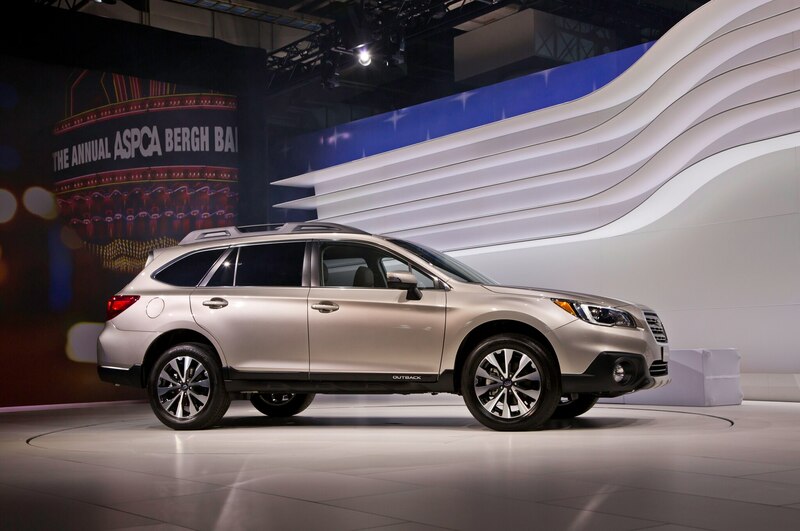 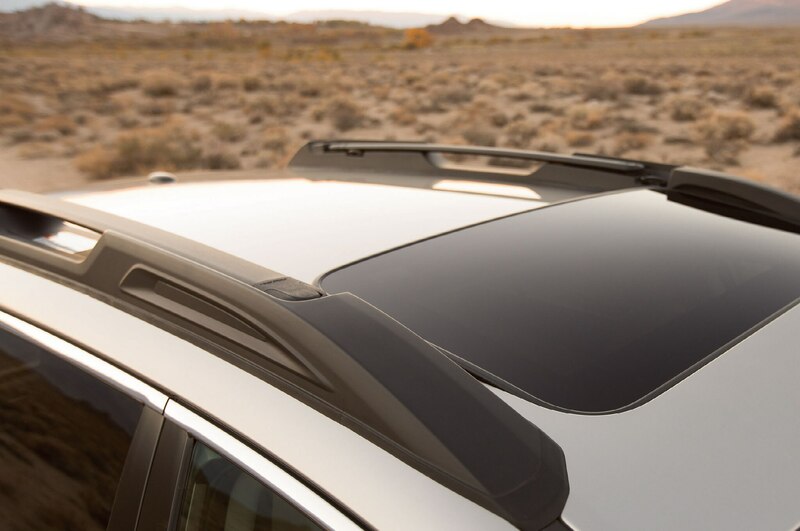 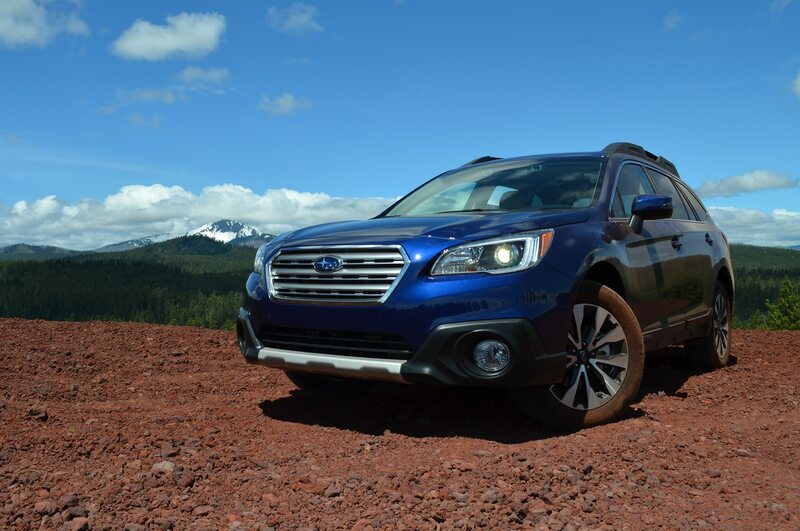 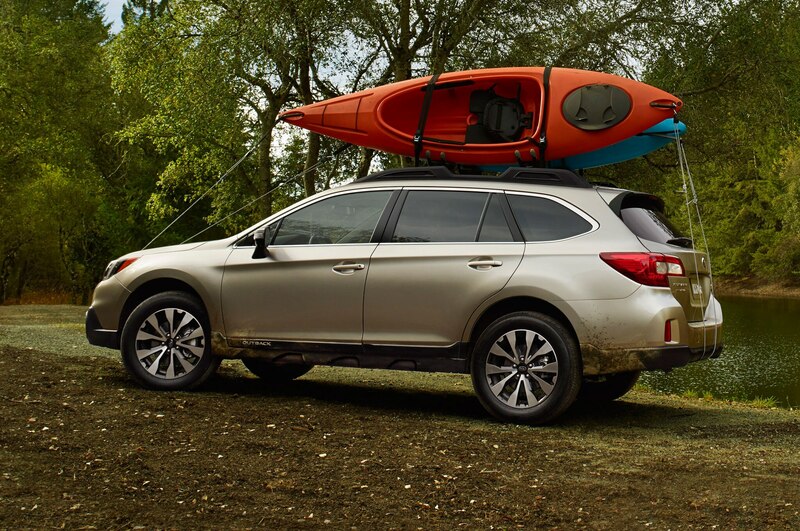 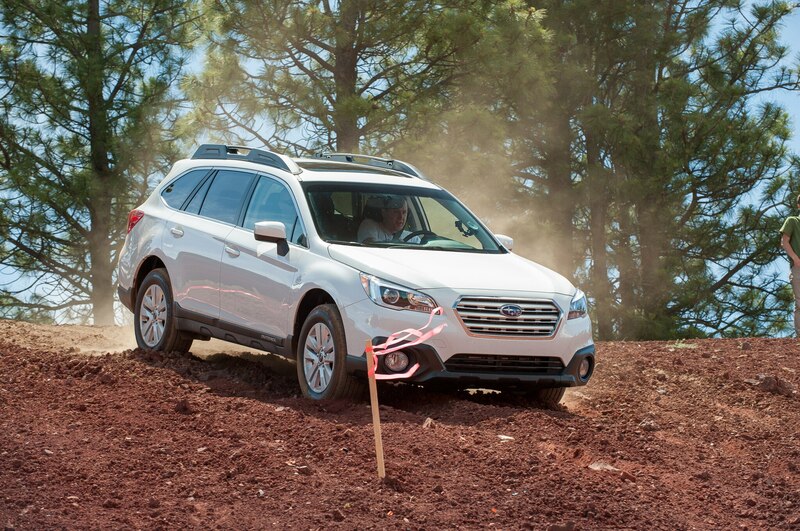 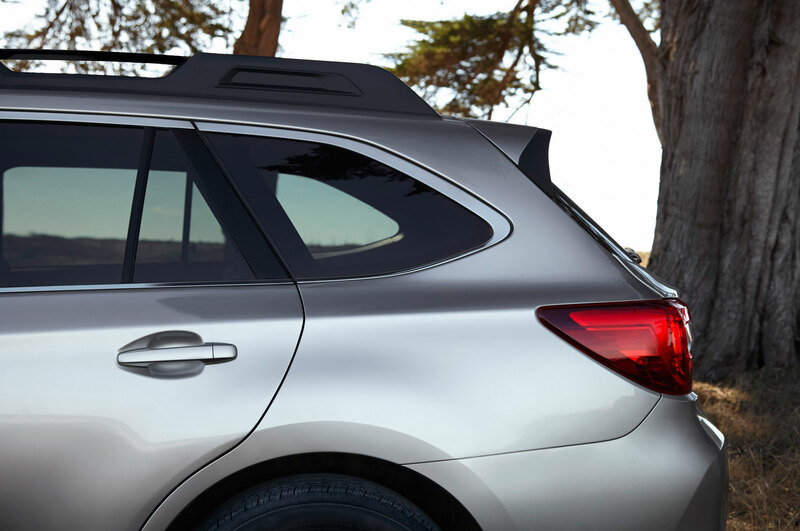 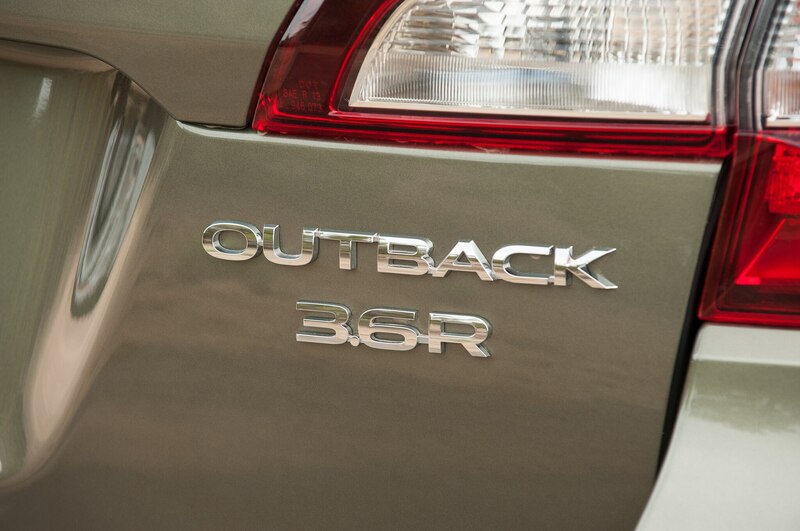 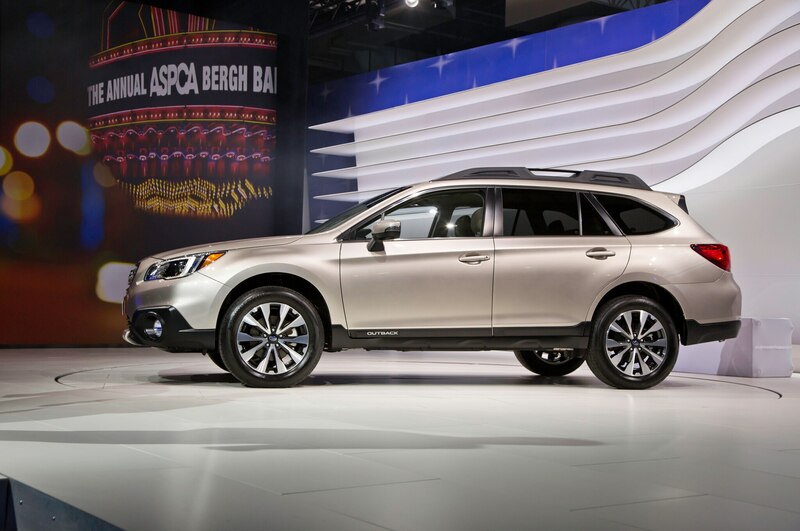 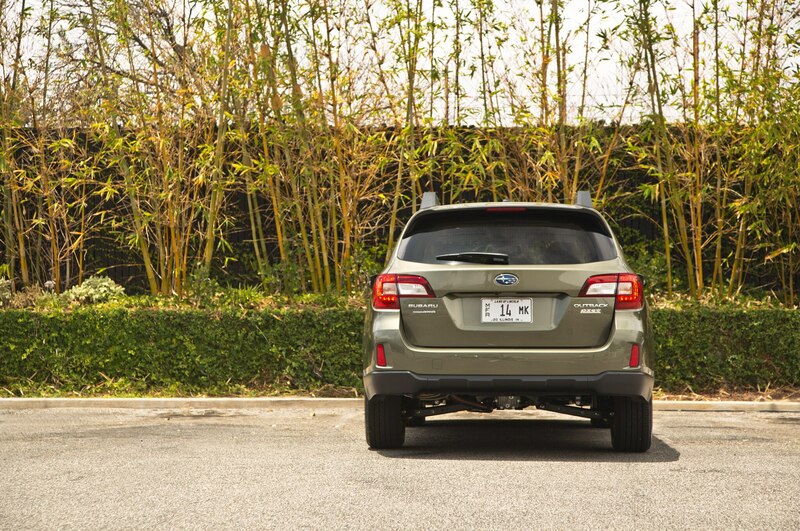 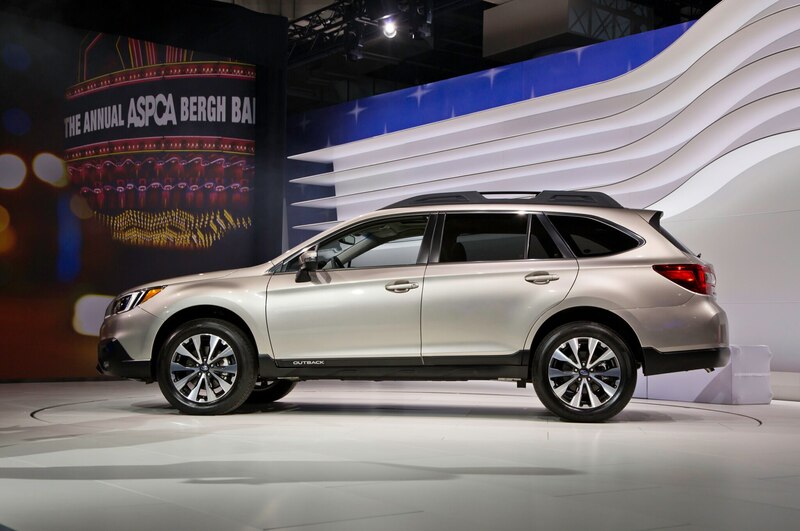 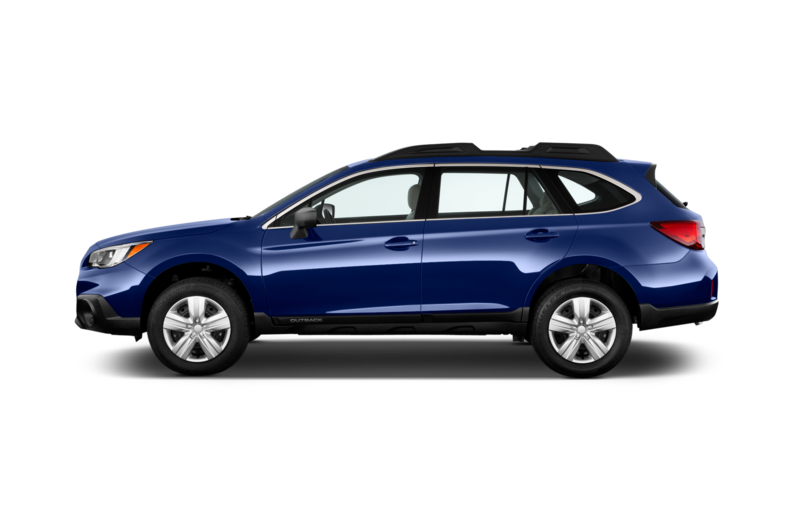 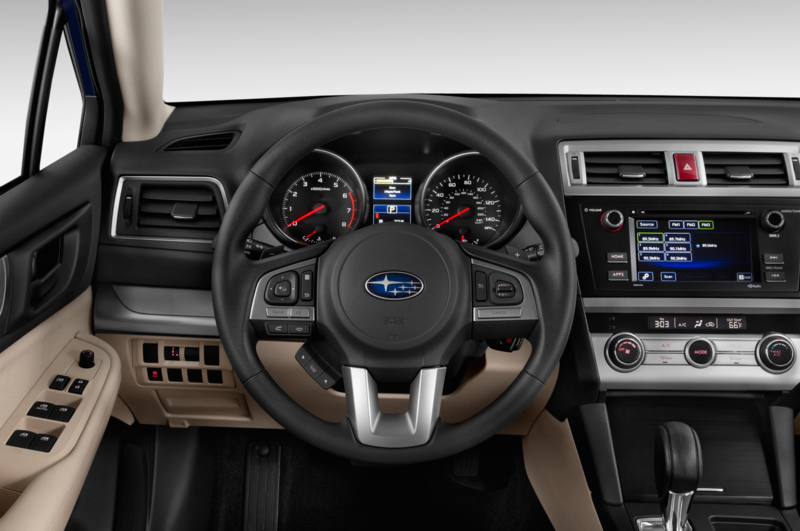 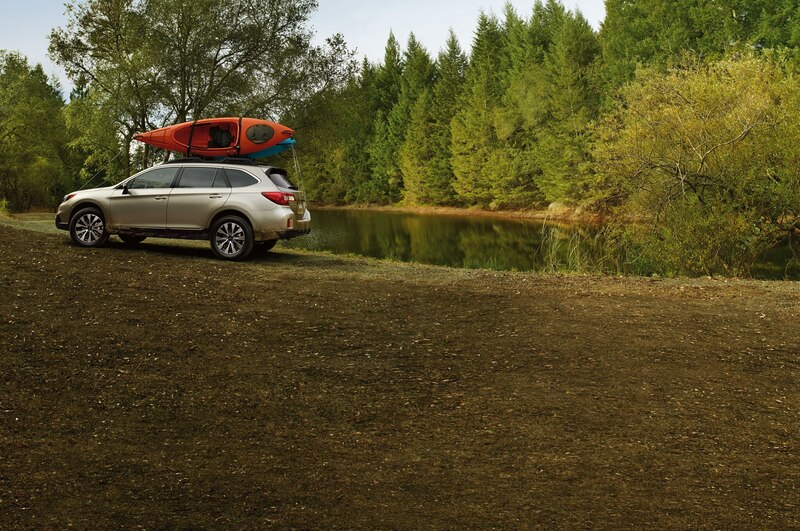 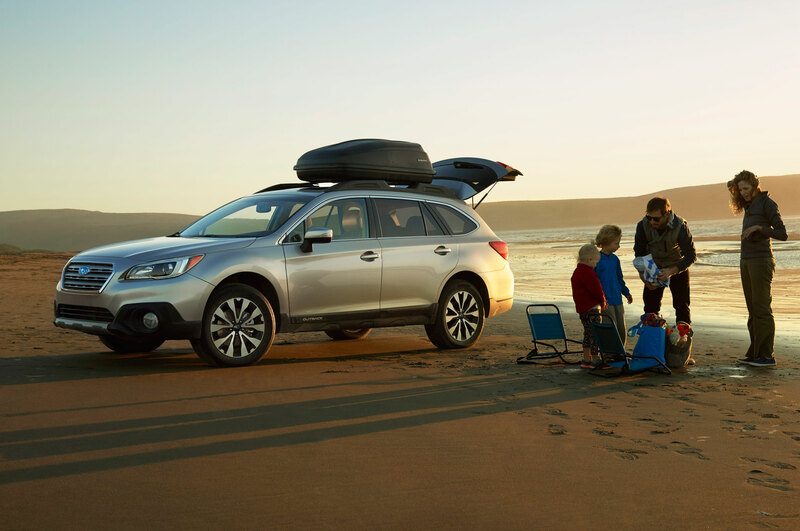 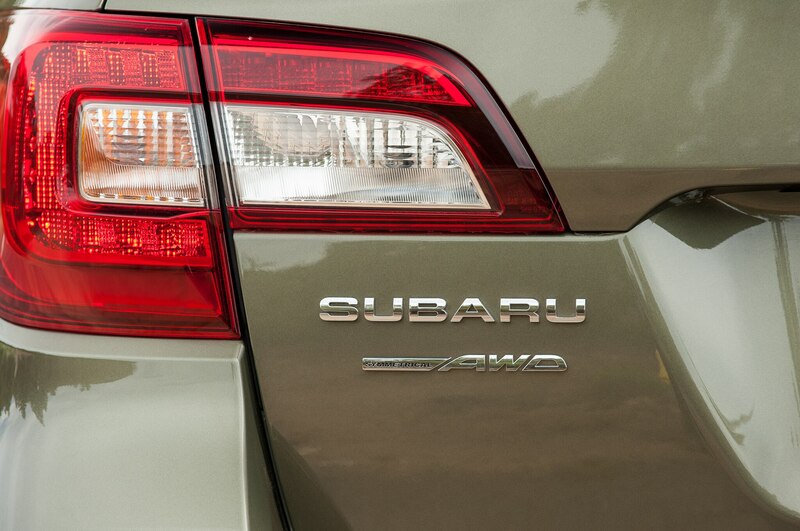 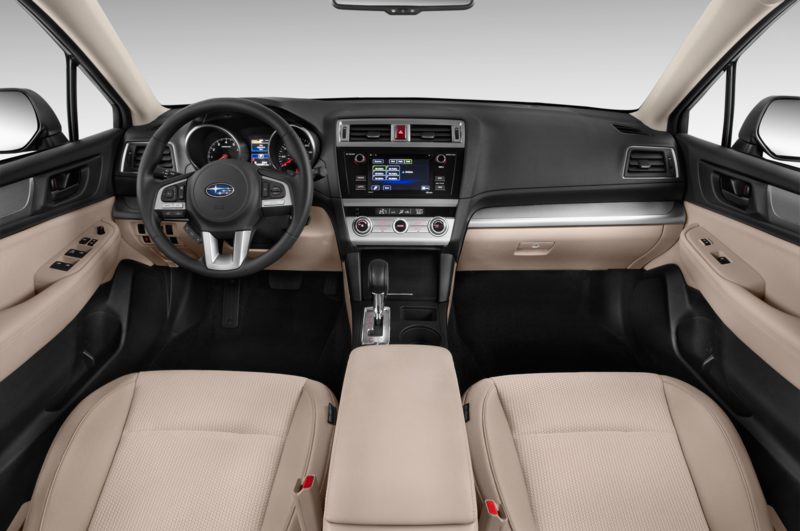 The 2015 Subaru Outback comes in four flavors: 2.5i, 2.5i Premium, 2.5i Limited, and 3.6R Limited. 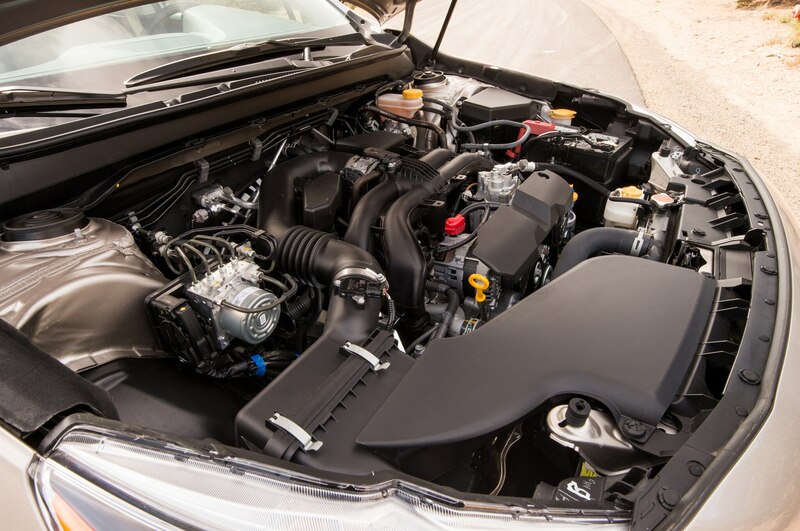 The first three variants get a 2.5-liter flat-four engine and the last one gets a 3.6-liter flat-six engine. 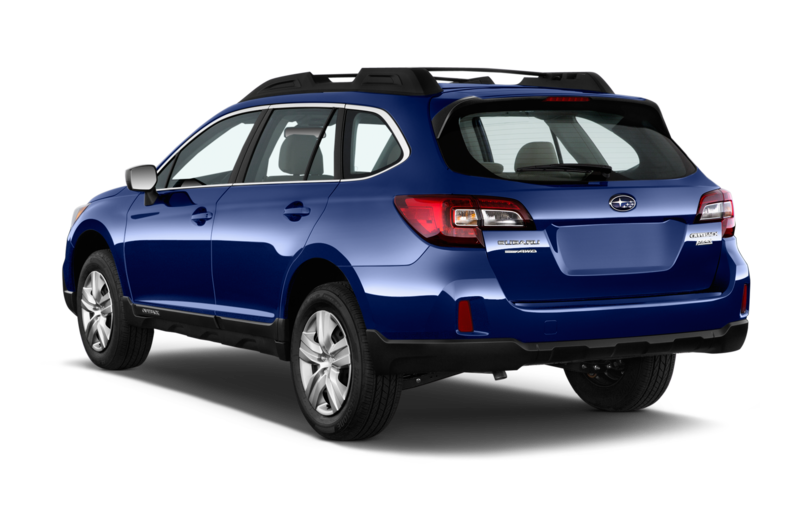 They’re basically carryovers from the last Outback, although the 2.5-liter has two more hp this year, for 175 hp, total. 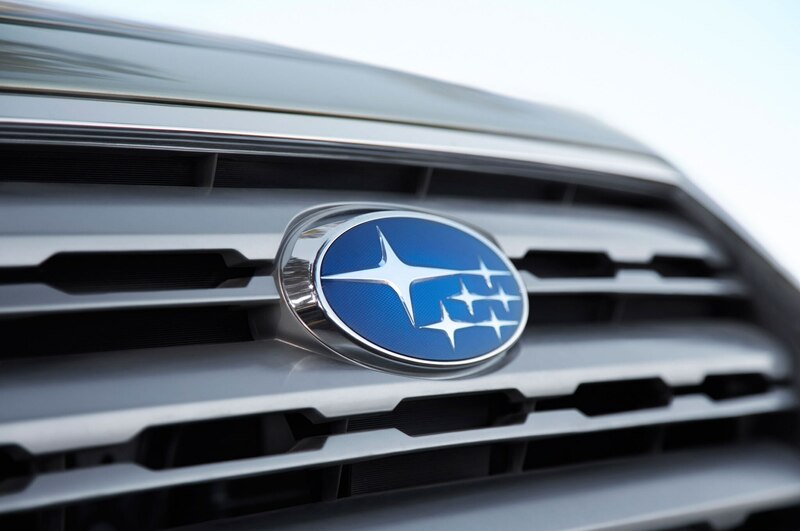 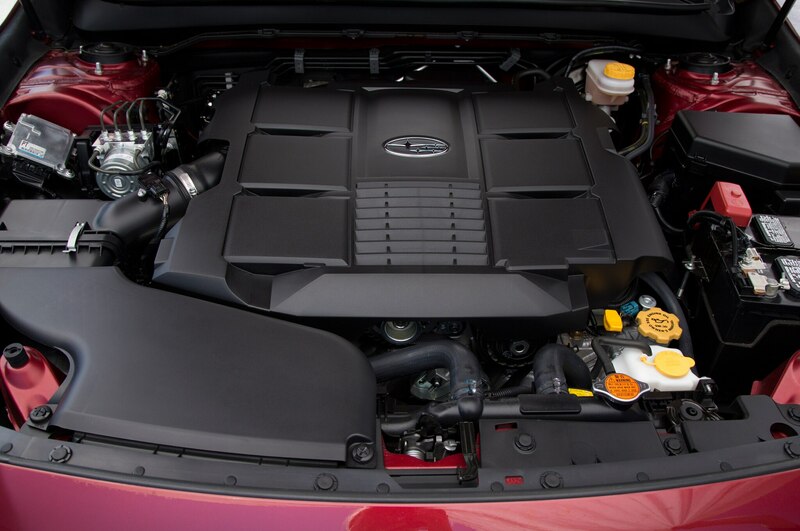 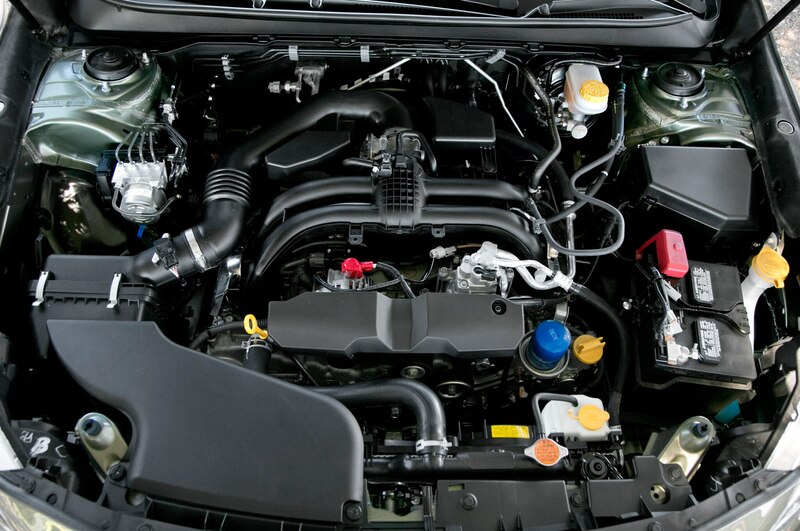 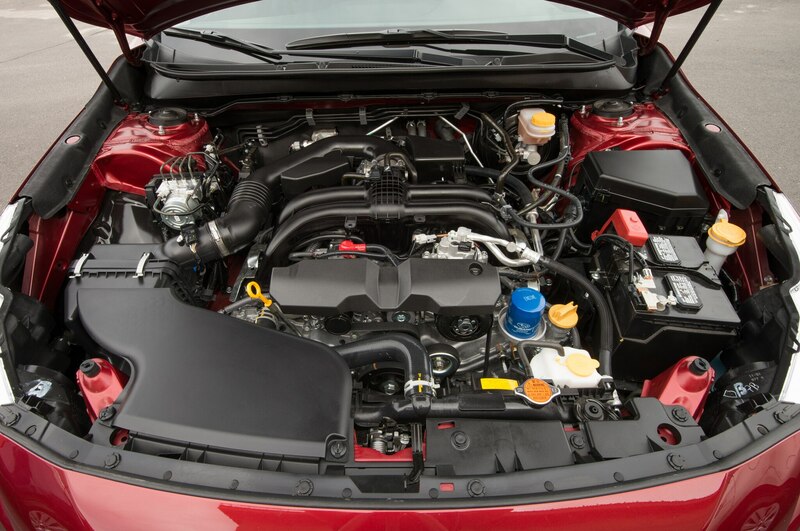 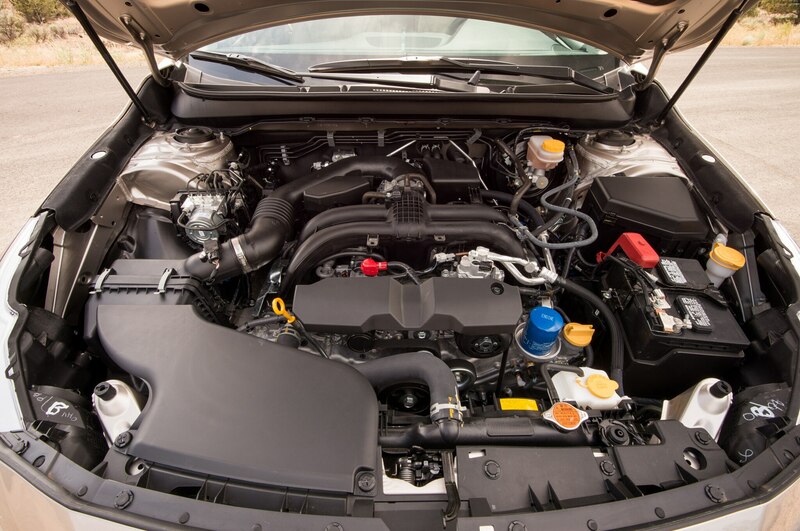 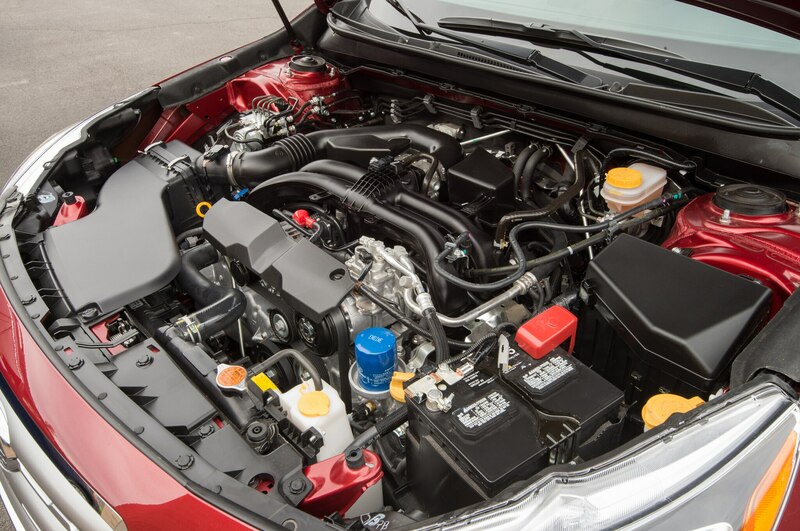 “Most customers prefer the 2.5-liter engine, but some customers choose the [256-hp] 3.6-liter if they live in hilly areas or higher altitudes,” said Yoichi Hori, manager of the total vehicle performance integration department for Subaru’s engineering division. 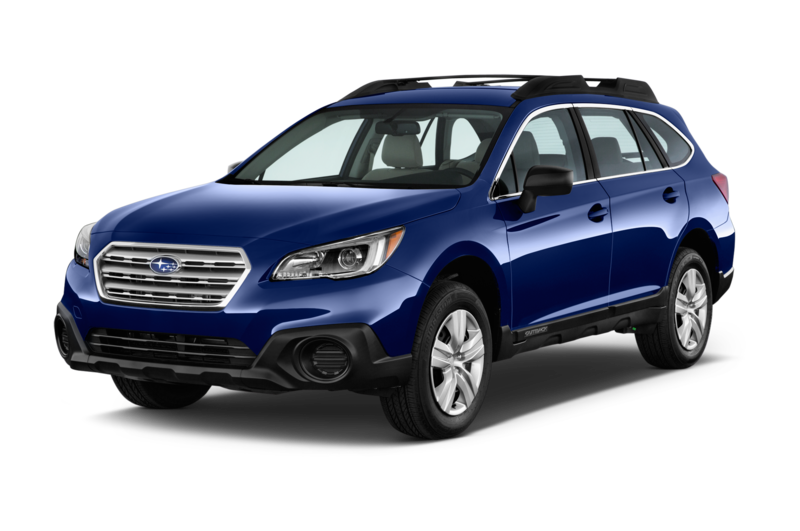 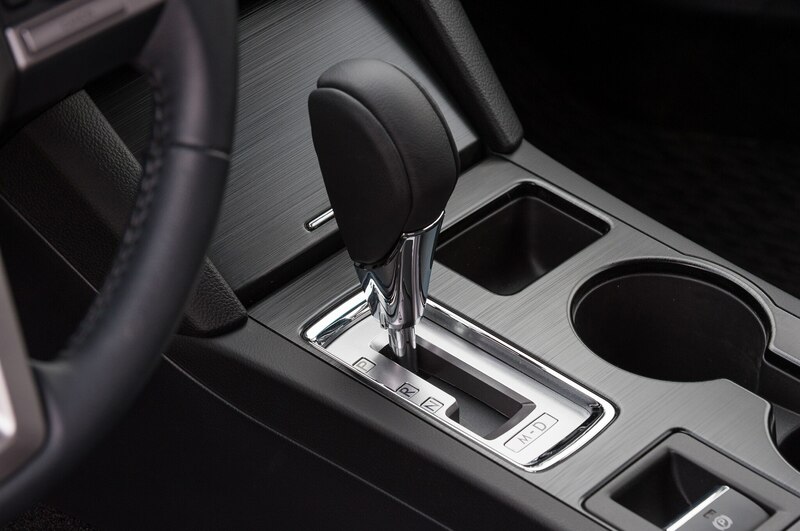 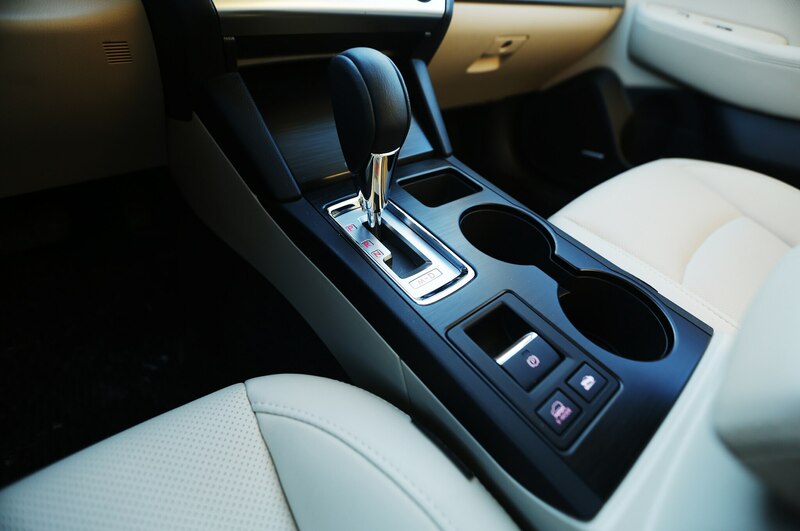 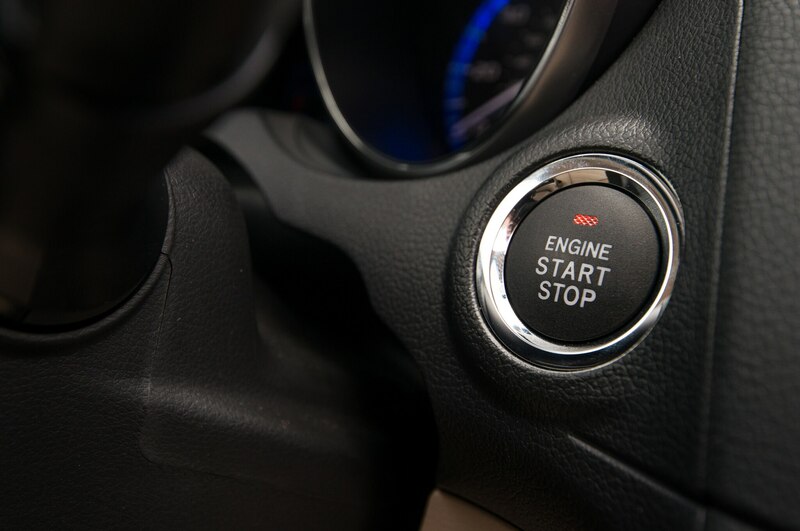 Both engines are now mated to continuously variable transmissions (the six-cylinder Outback uses the high-torque version from the 2015 Subaru WRX). 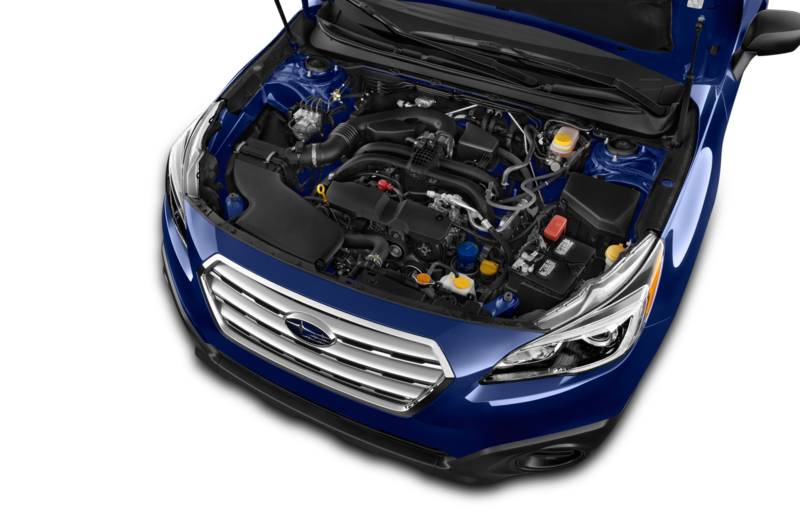 “We believe that a CVT is very flexible, has a lot of capability, and can beat a 9- or 10-speed automatic [in fuel economy],” said Hori. 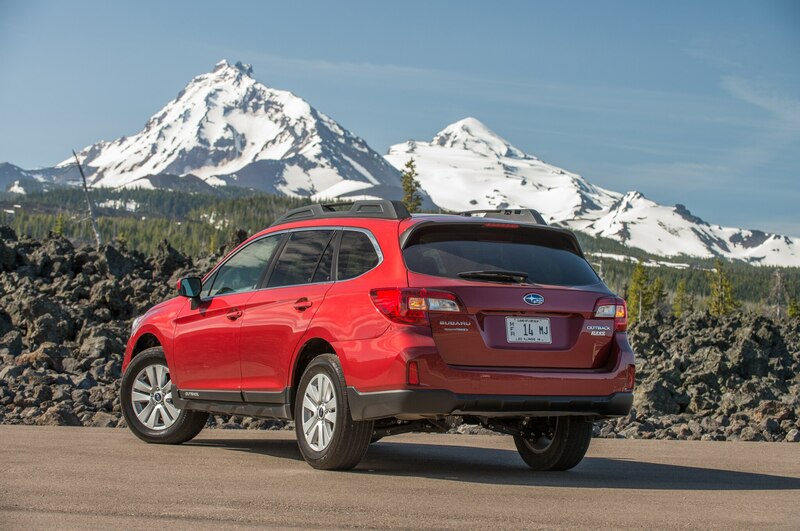 The boxer engines and CVT, amazingly, don’t make a racket—the cabin is commendably quiet. 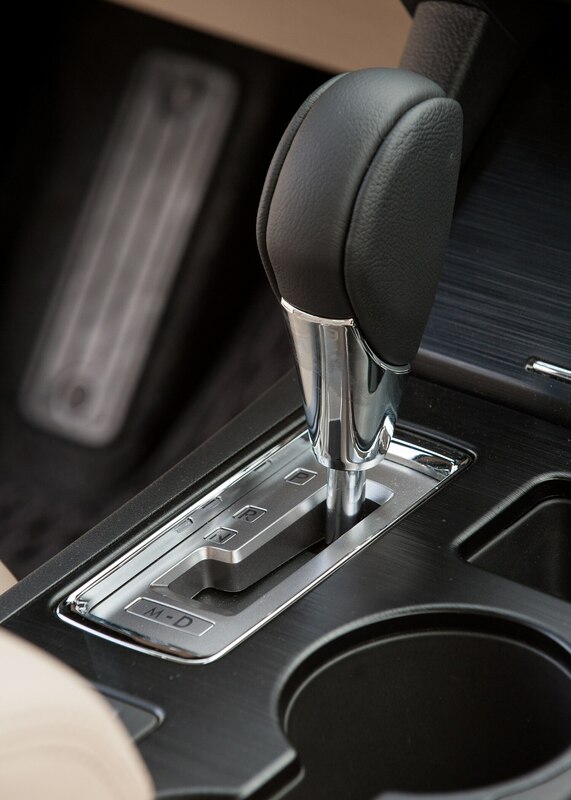 Neither, however, do they provide much acceleration. 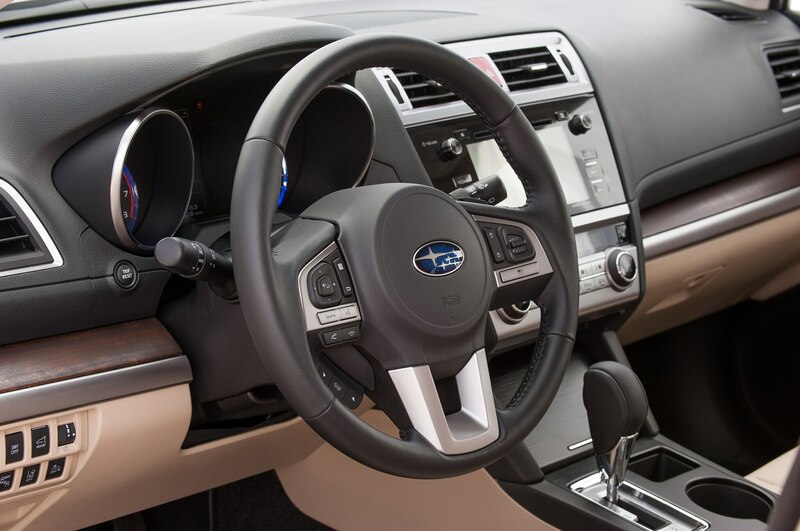 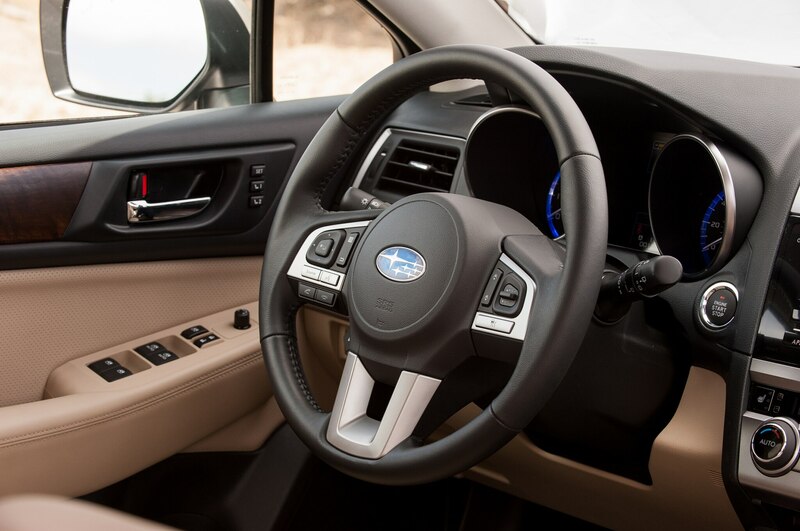 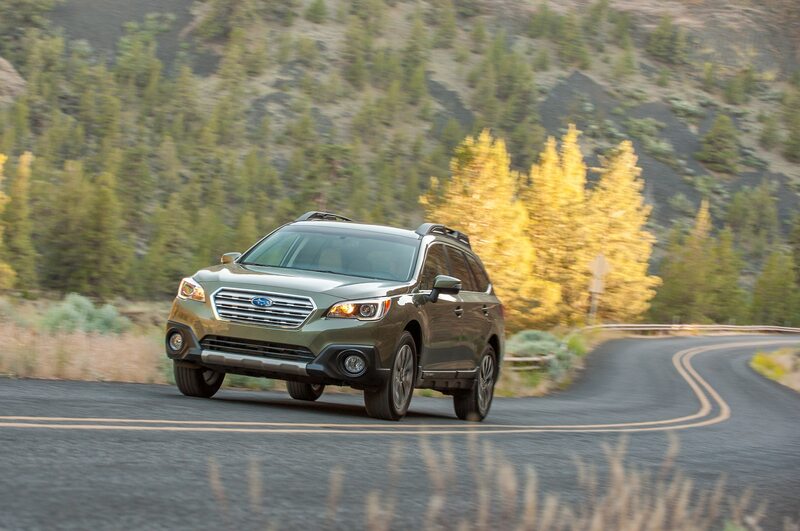 Subaru has struggled to tune the Outback’s reflexes to match its larger size. 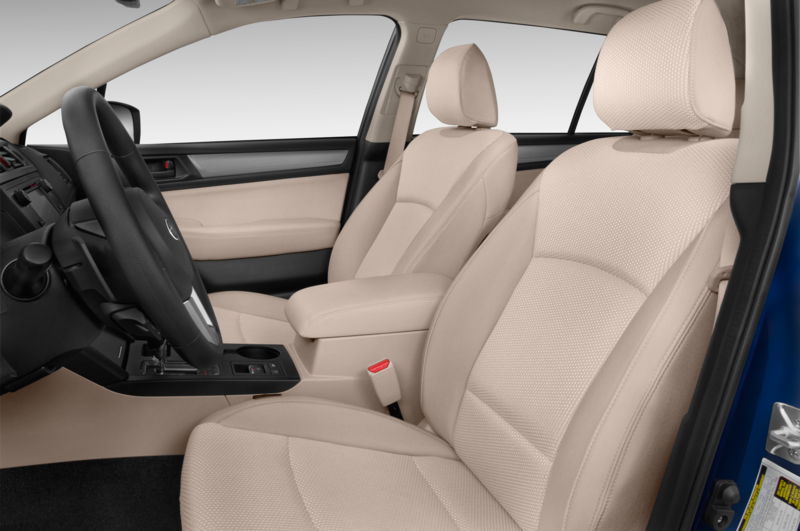 One of our main complaints about the 2010 model (which we tested for four seasons) was its cushy ride. 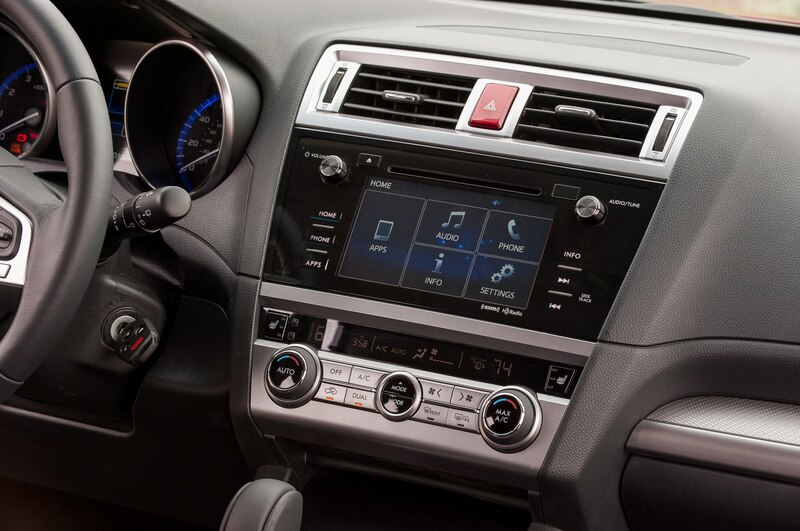 Hori and his team firmed everything up with a mid-cycle refresh—and we found it too stiff. “With the new car, I think we got a good balance between ride and handling,” Hori says. 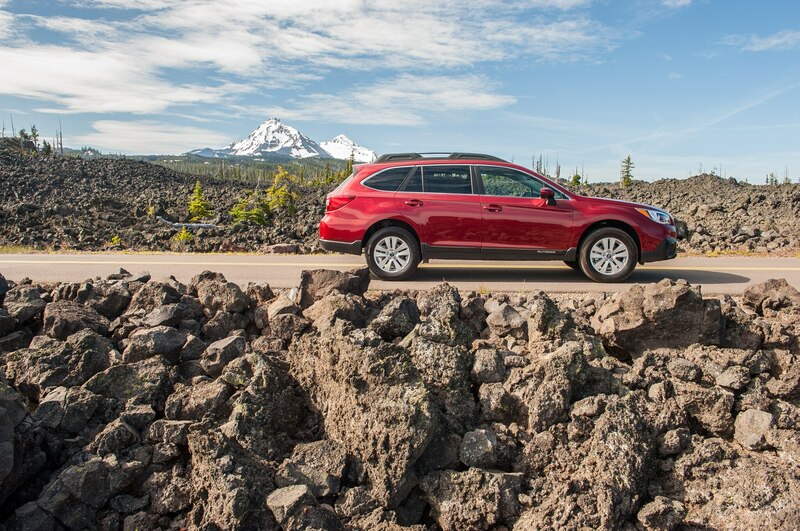 We’d say he’s right, judging by how the 2015 Outback drives over the nicely kept roads east of Portland. 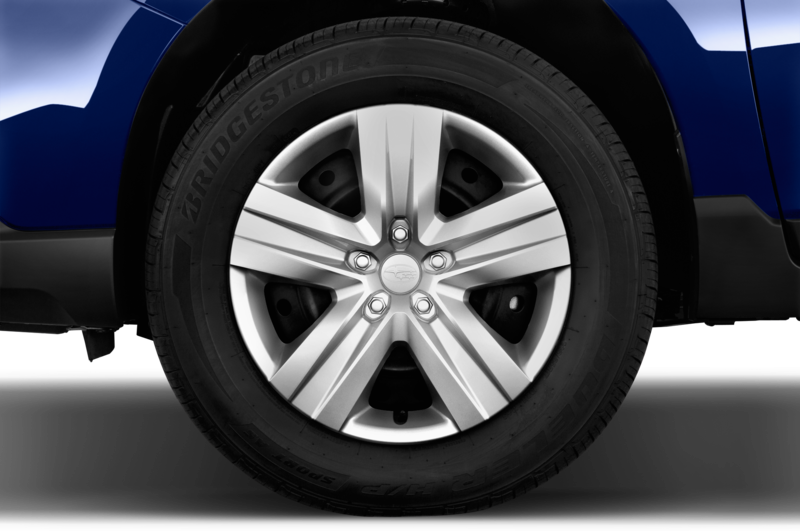 Changes to the suspension’s geometry, springs, dampers, and tires have made the car feel planted but not stiff-legged. 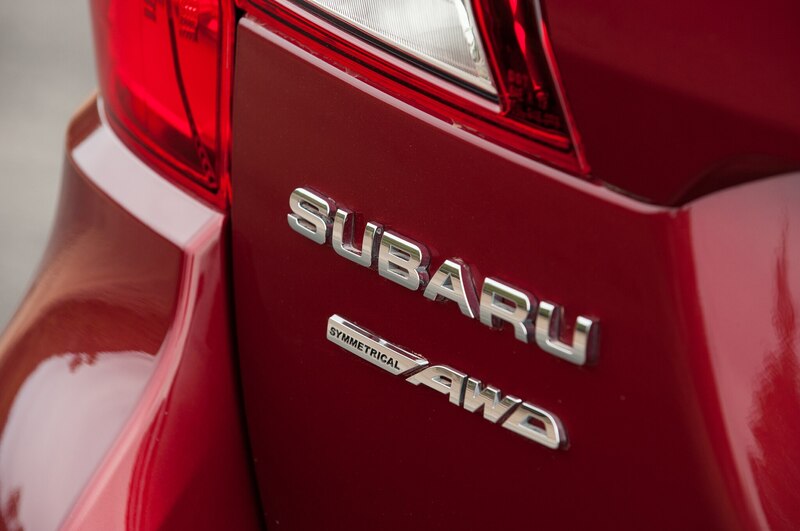 Small impacts still upset the car more than we’d like, however. 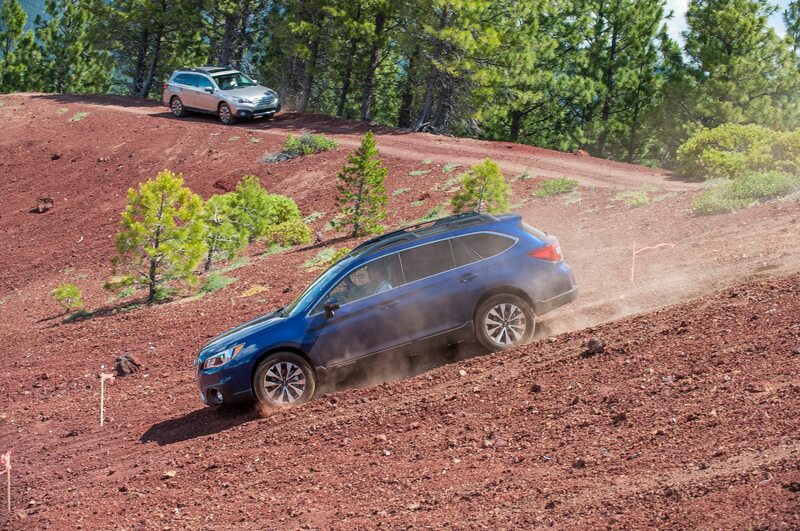 Hori says pavement was more of a priority than off-roading when tuning the Outback. 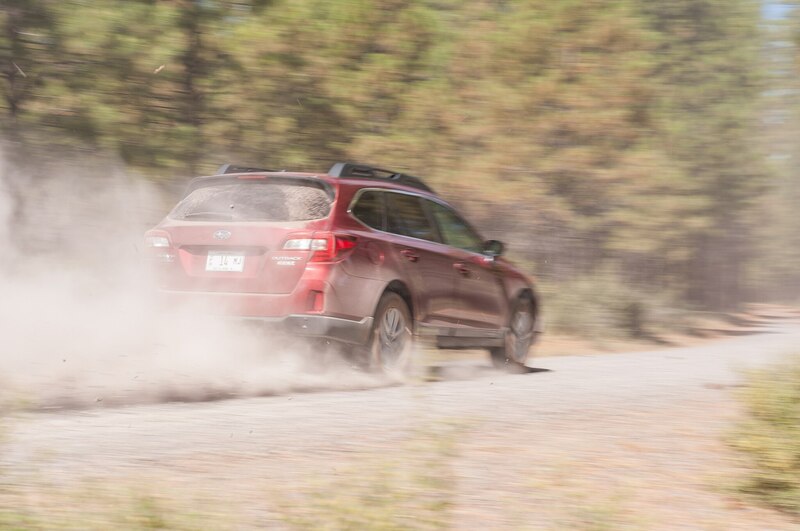 Yet we think the crossover is happiest when its wheels are digging into dirt. 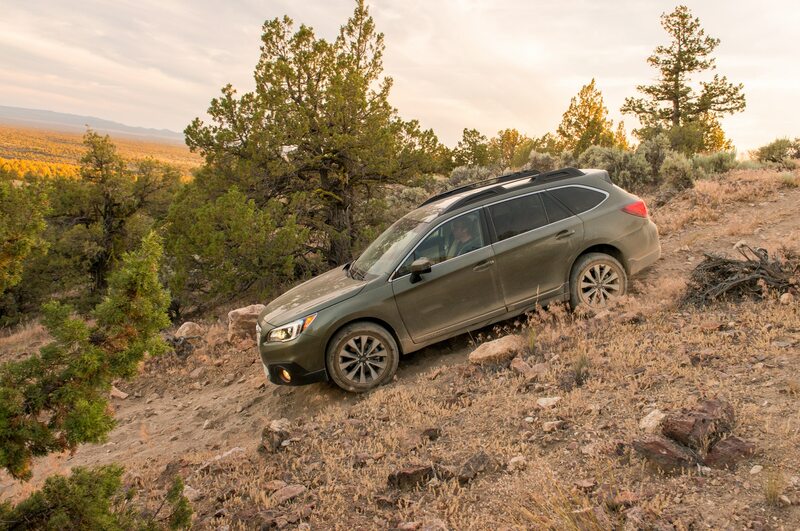 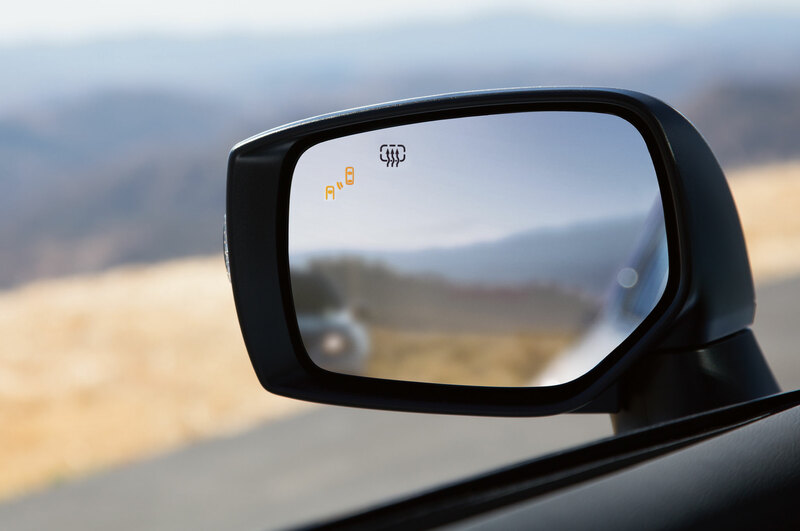 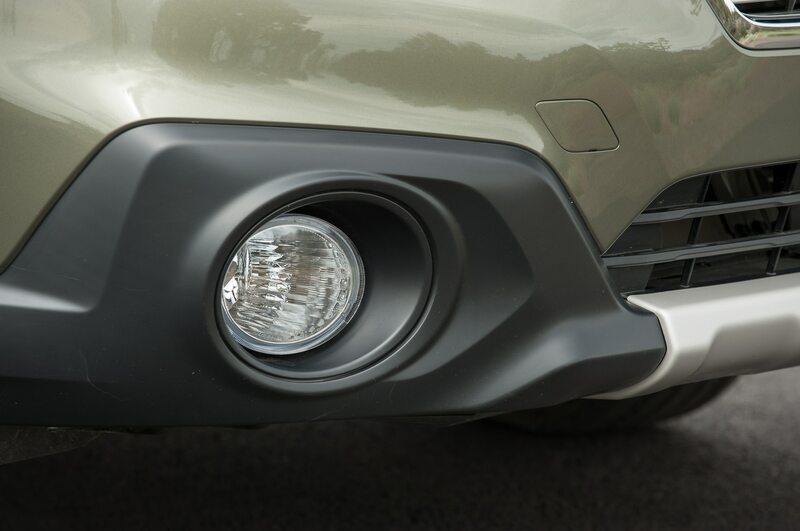 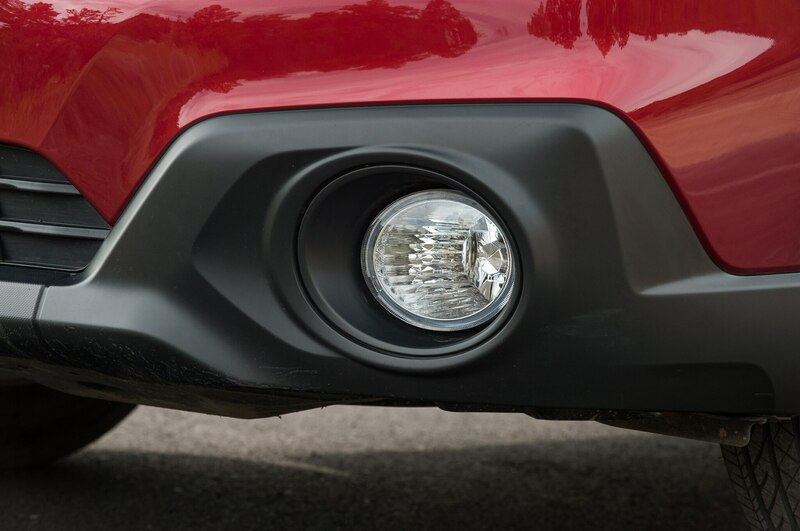 Soft-roaders will enjoy the standard X-Mode, a system that integrates inputs from the powertrain, all-wheel-drive system, and traction control to reduce wheel spin. 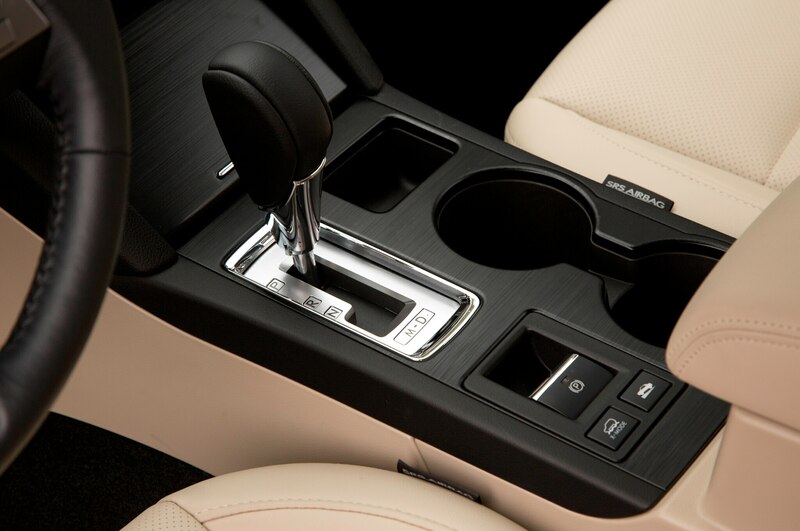 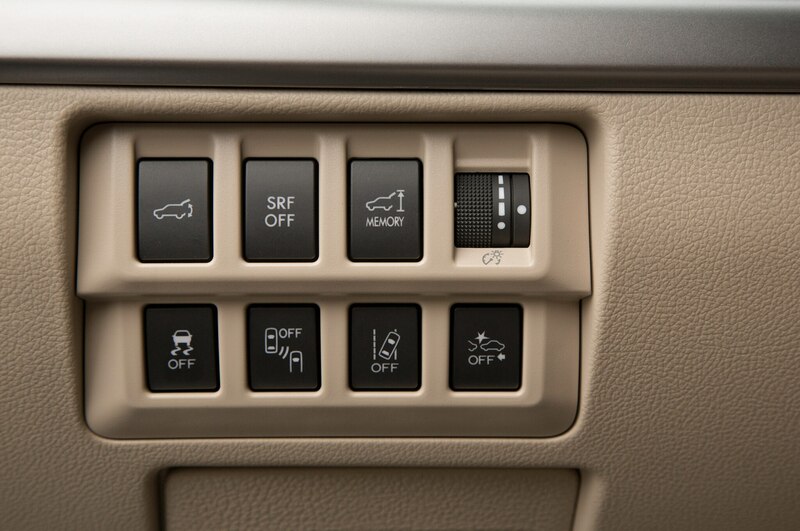 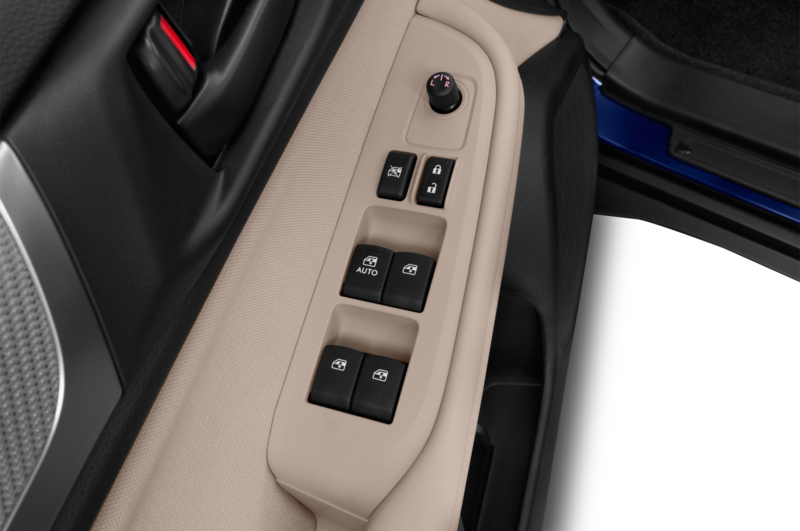 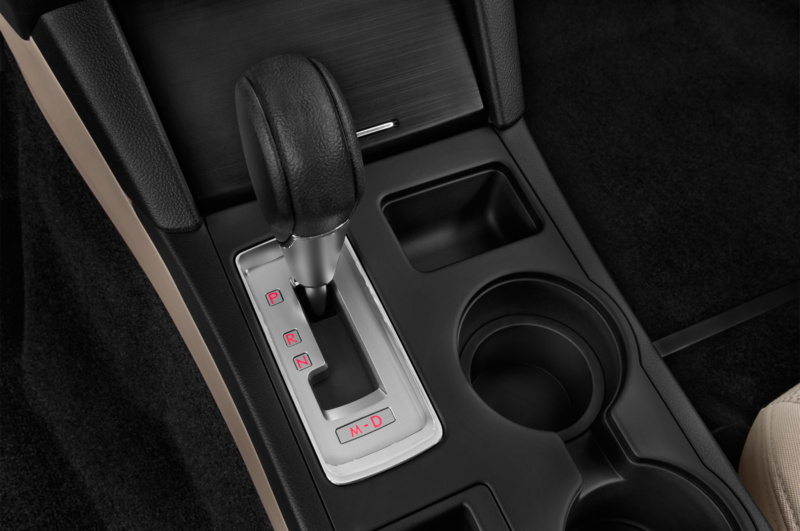 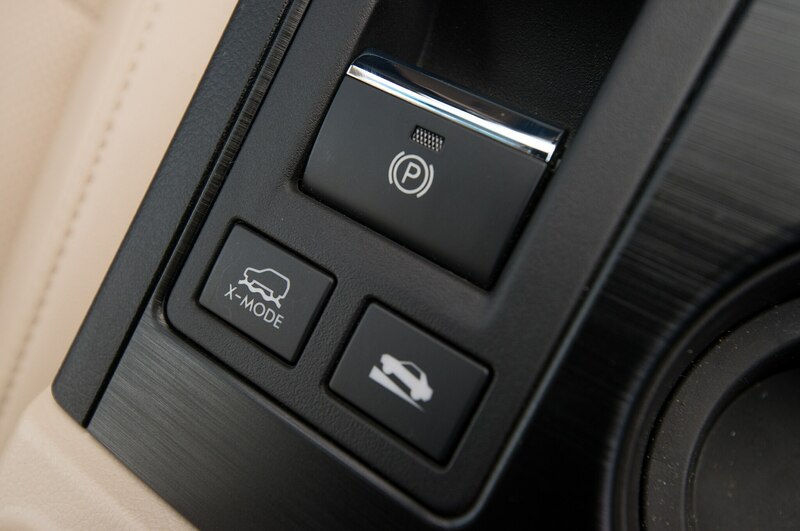 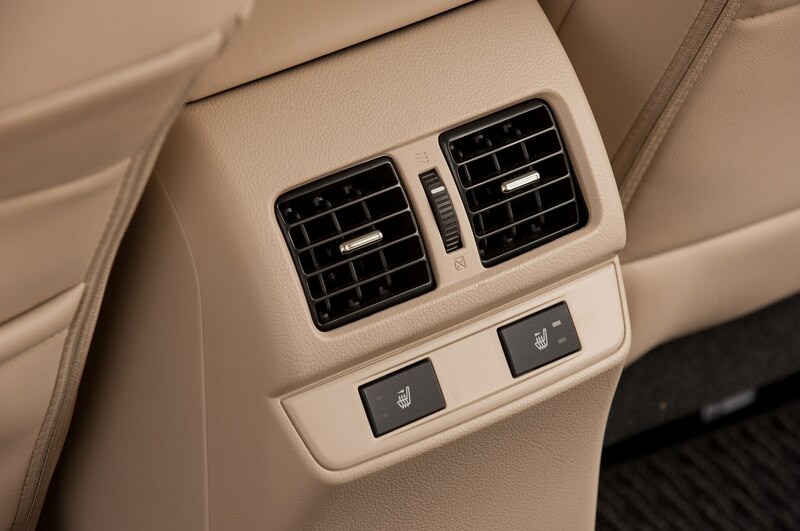 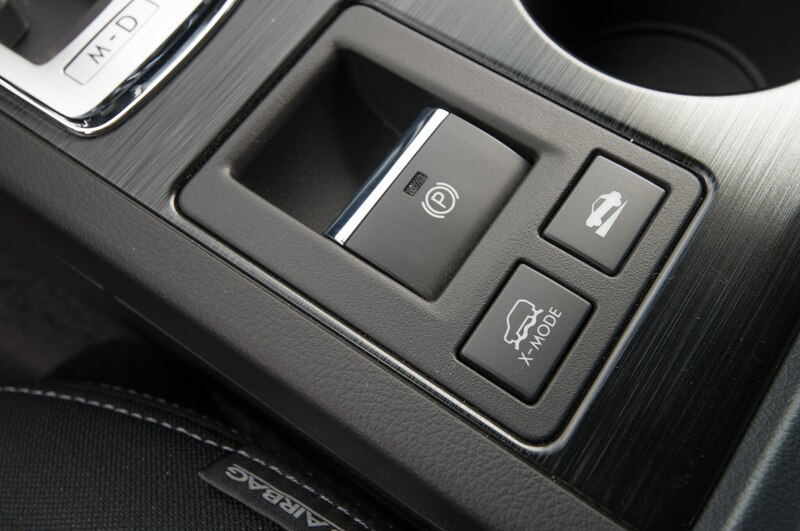 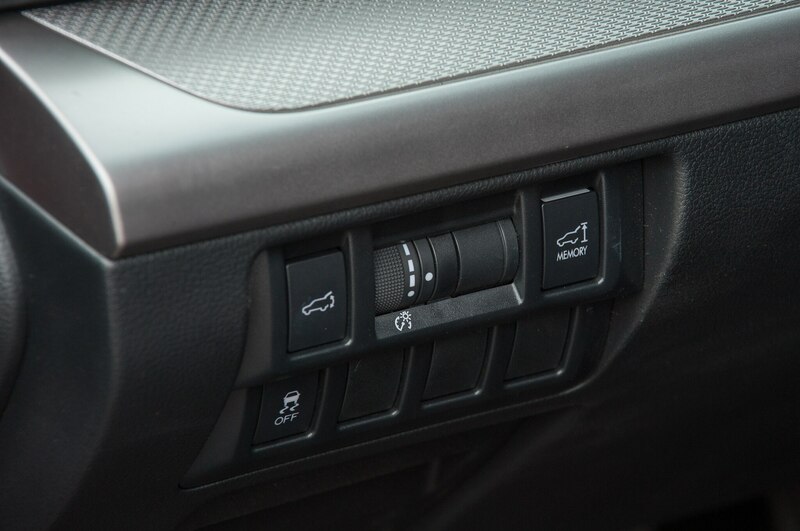 It also comes with an advanced hill descent control that requires no braking input from the driver. 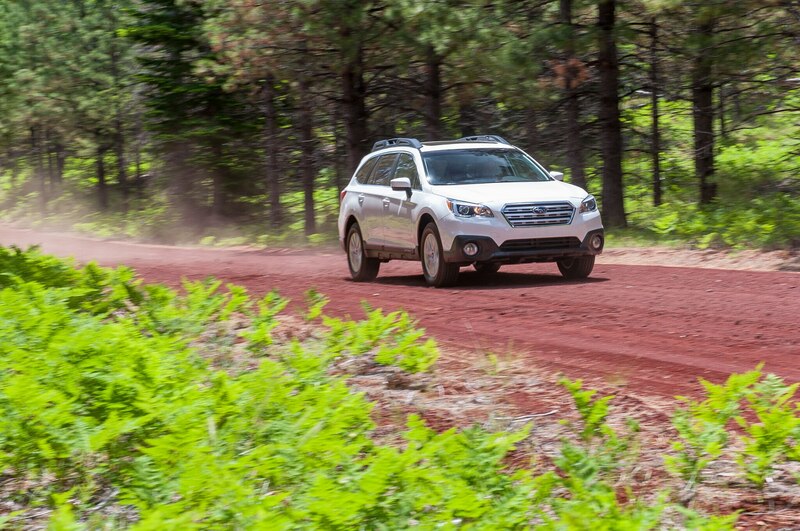 The Outback never once struggled going over wet dirt, soft dirt, gravel, or anything we could find on these Oregon trails. 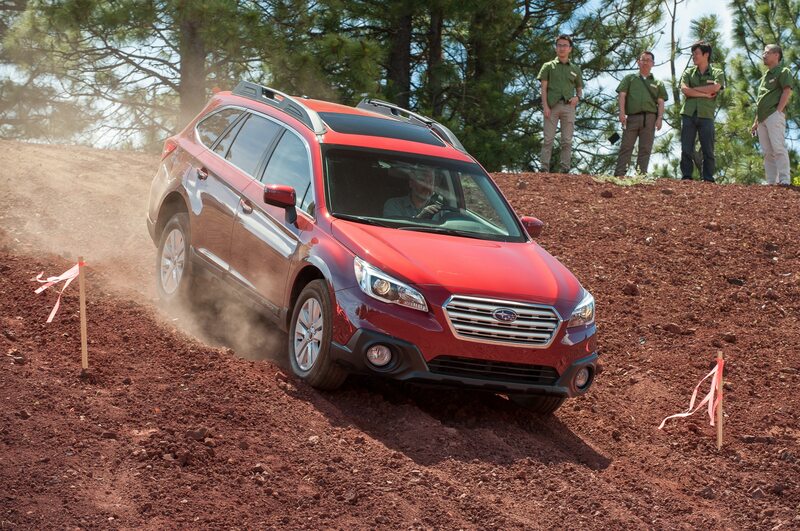 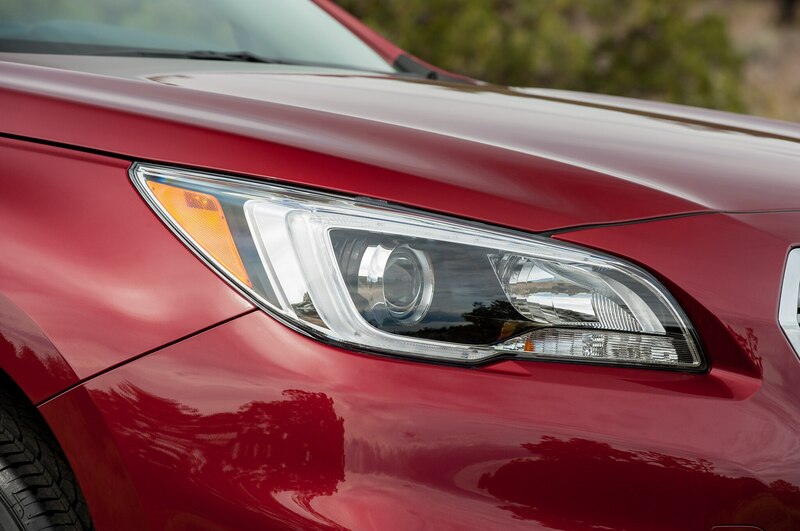 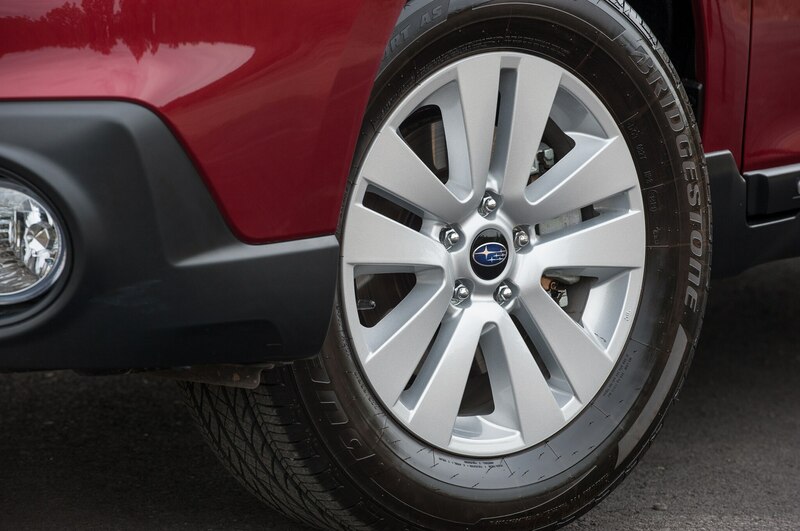 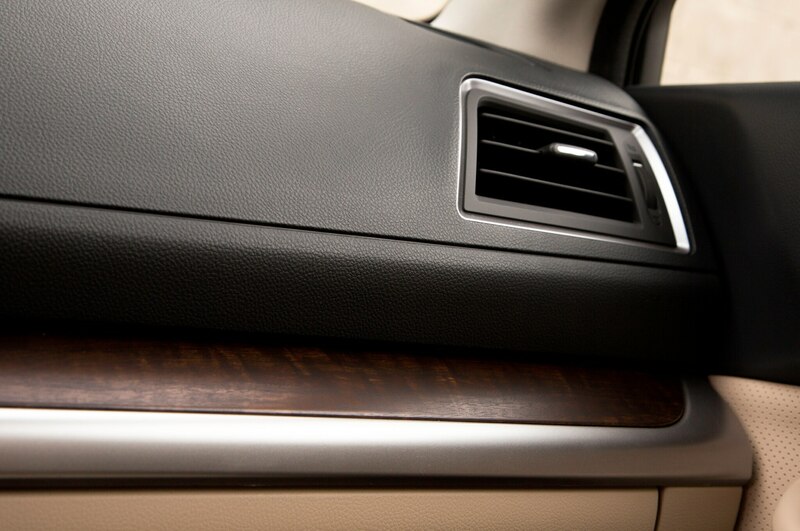 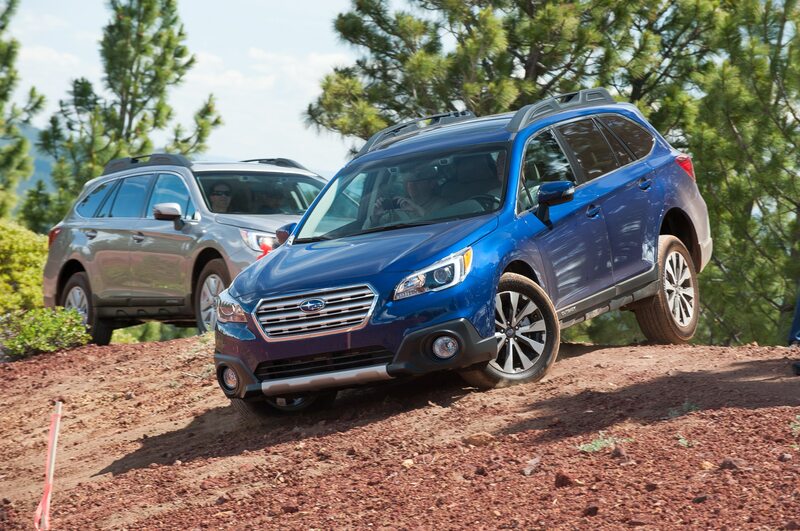 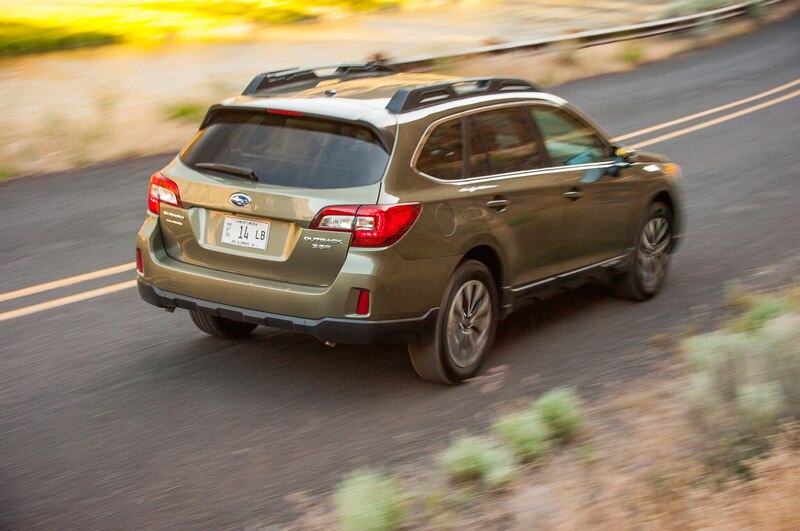 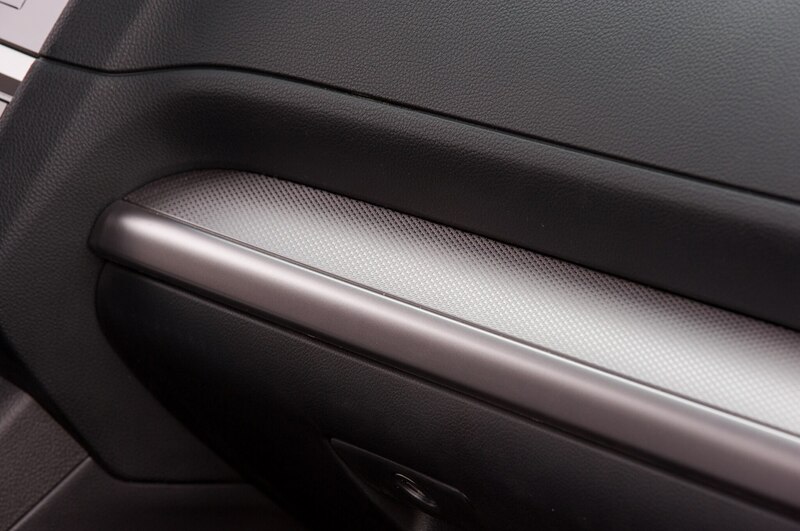 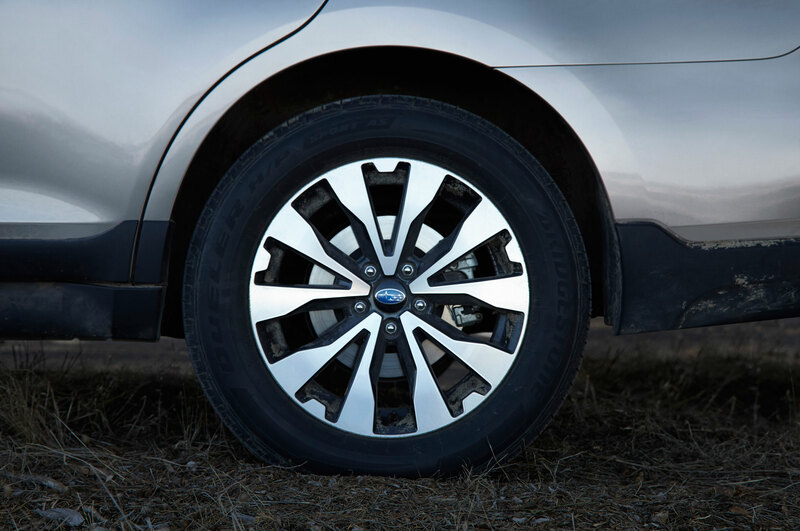 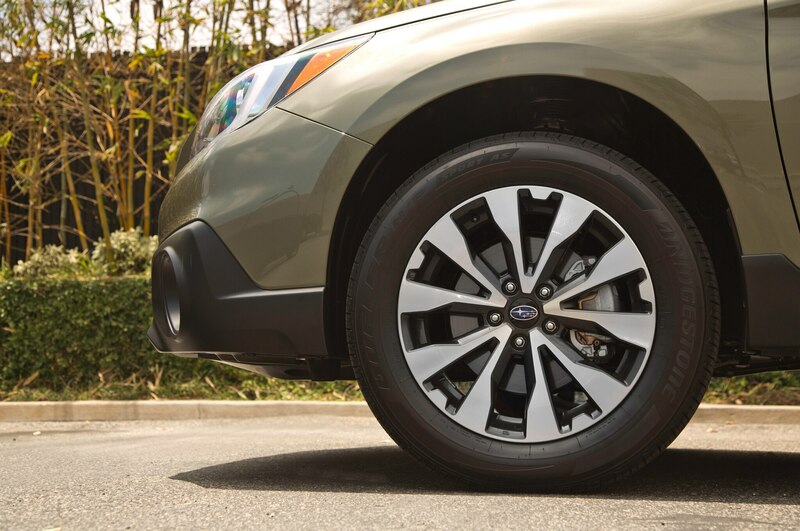 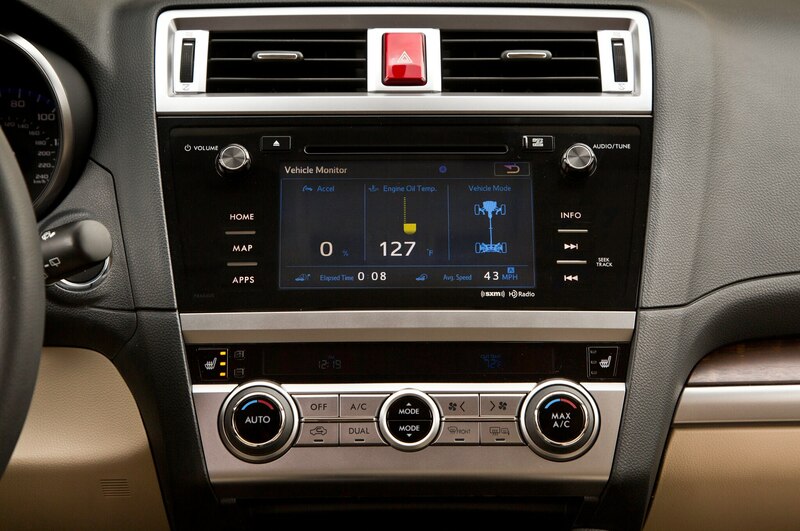 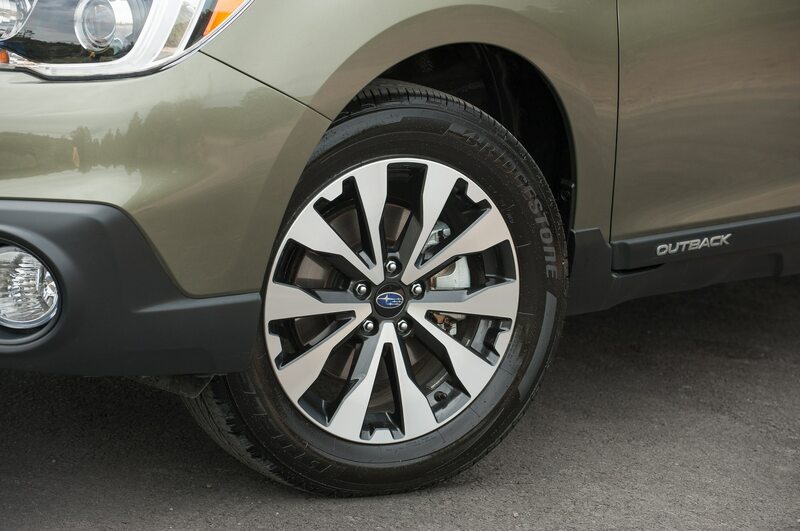 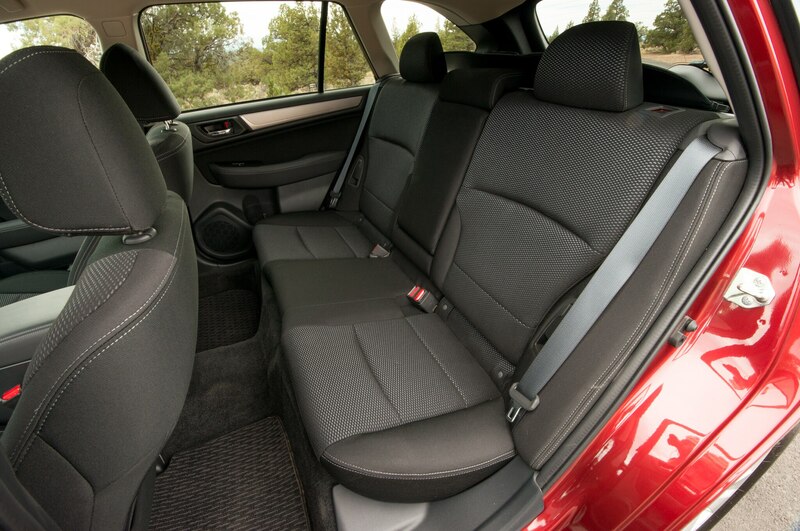 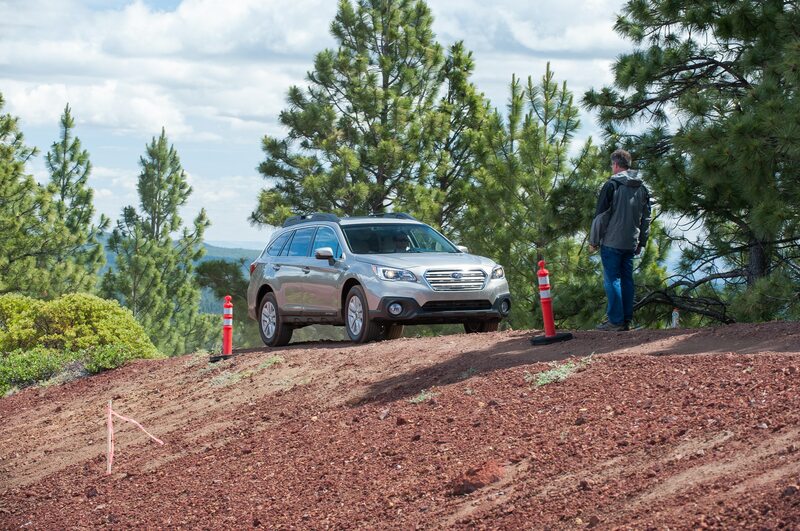 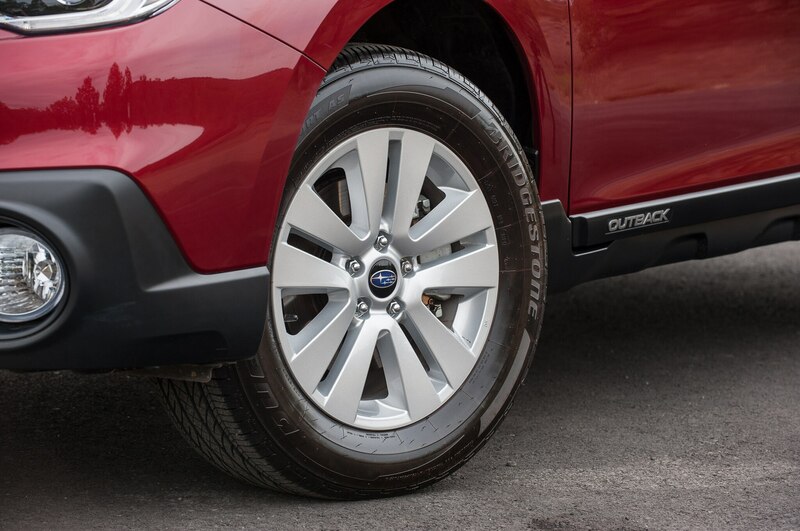 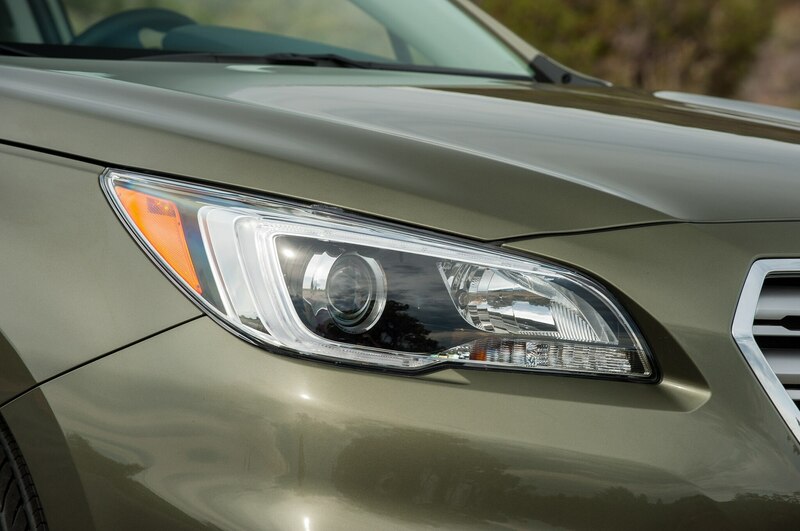 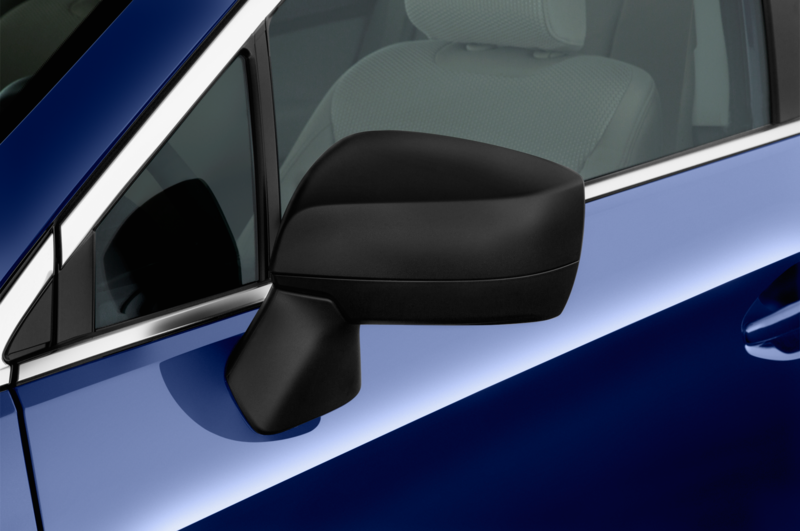 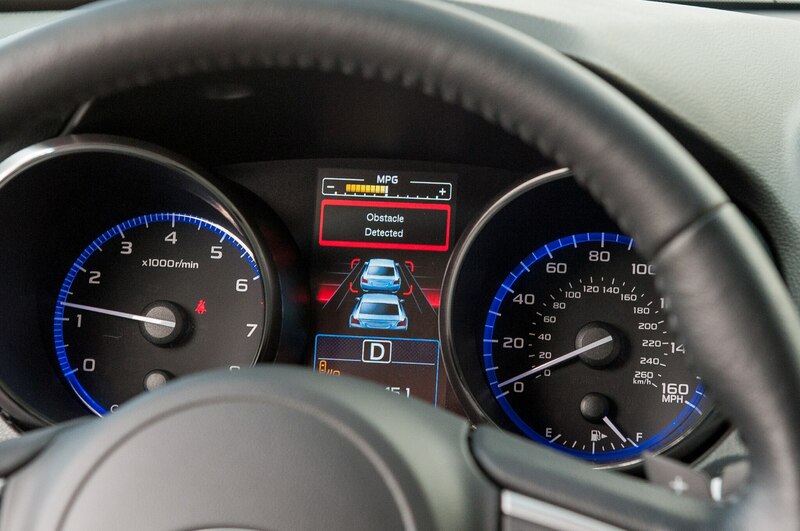 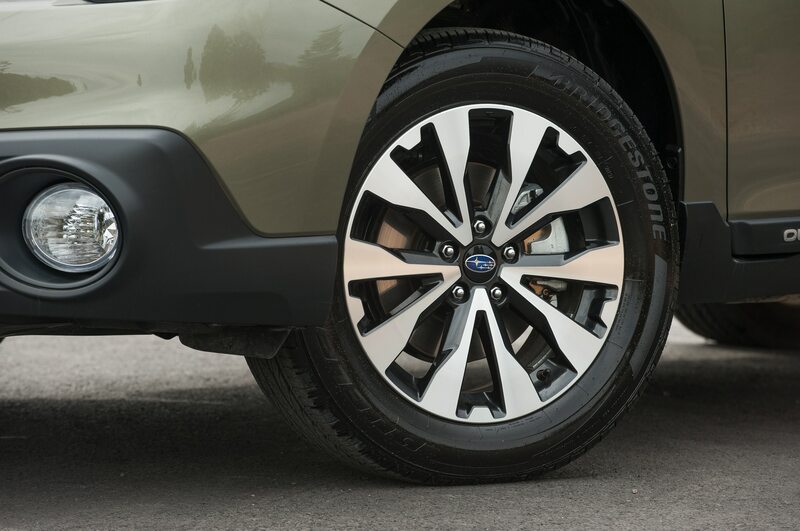 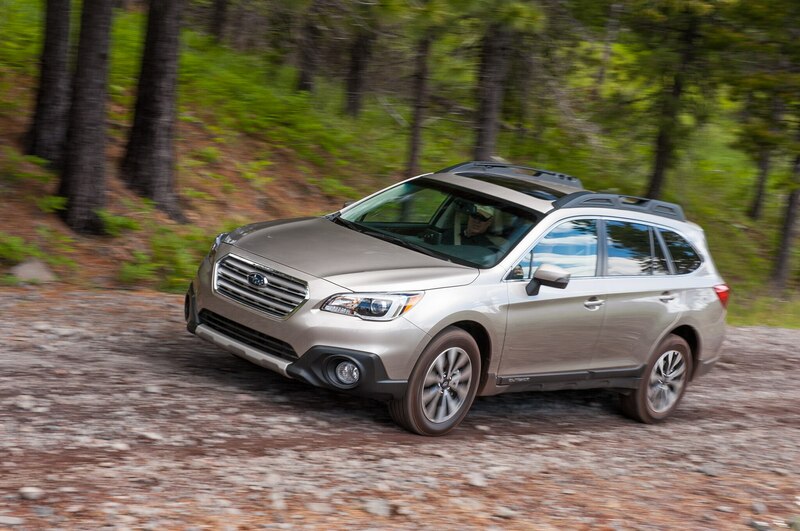 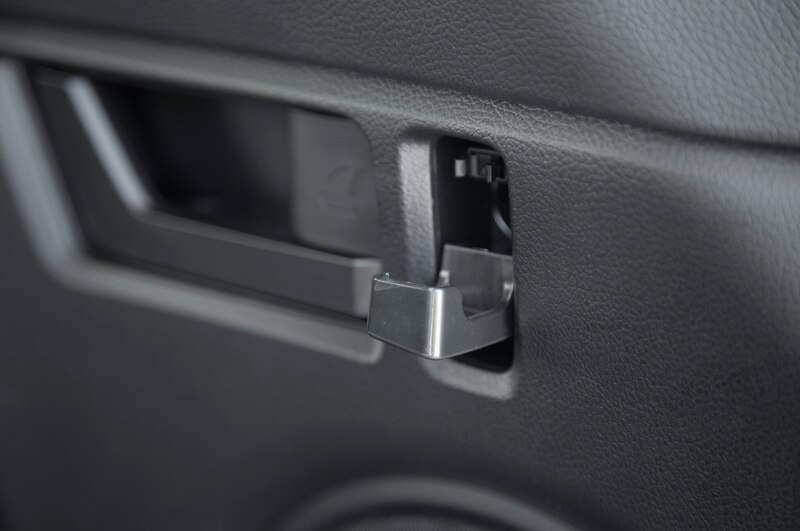 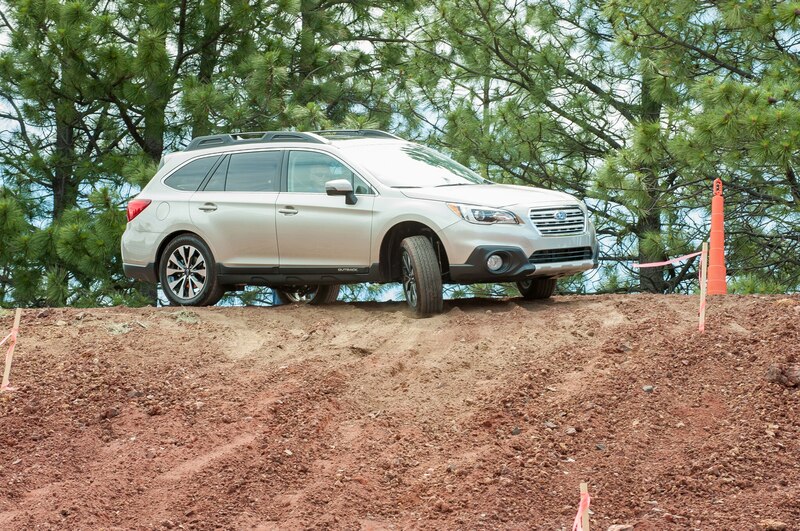 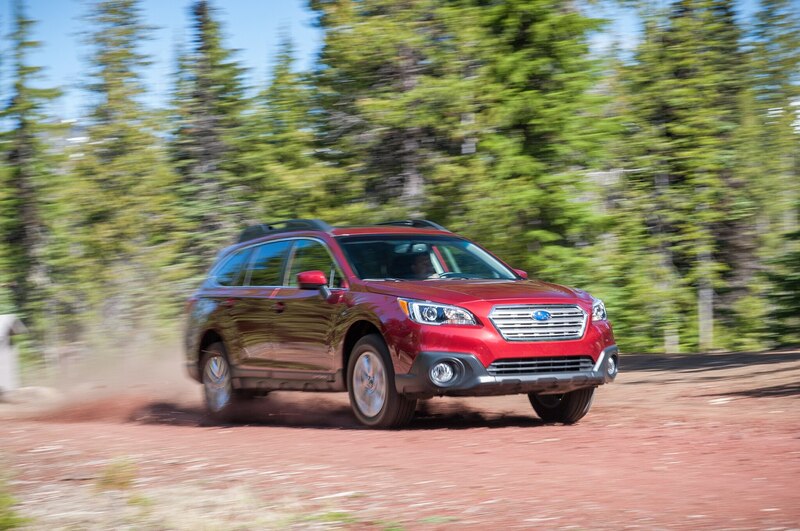 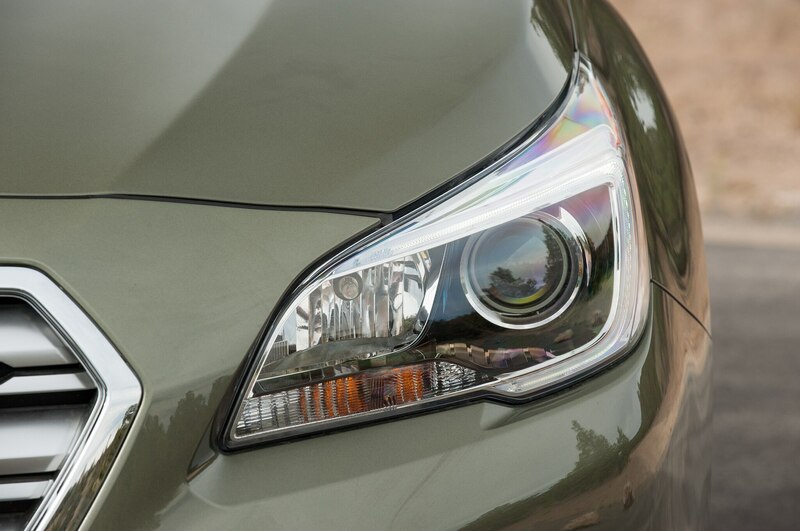 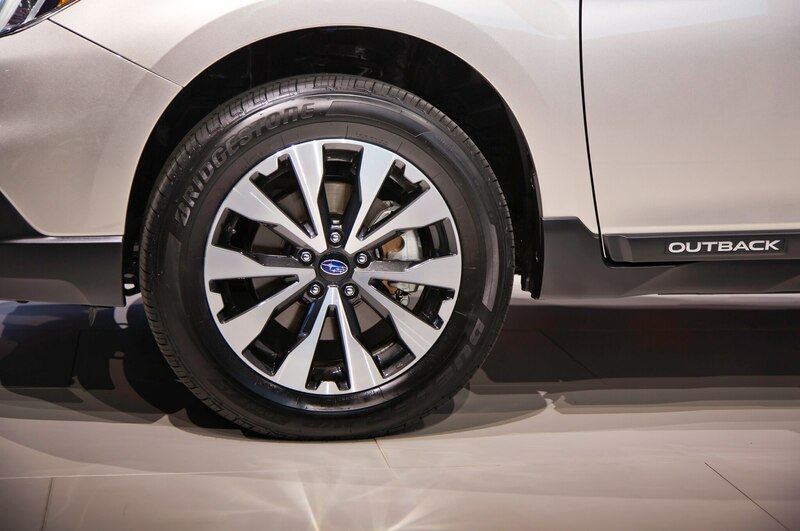 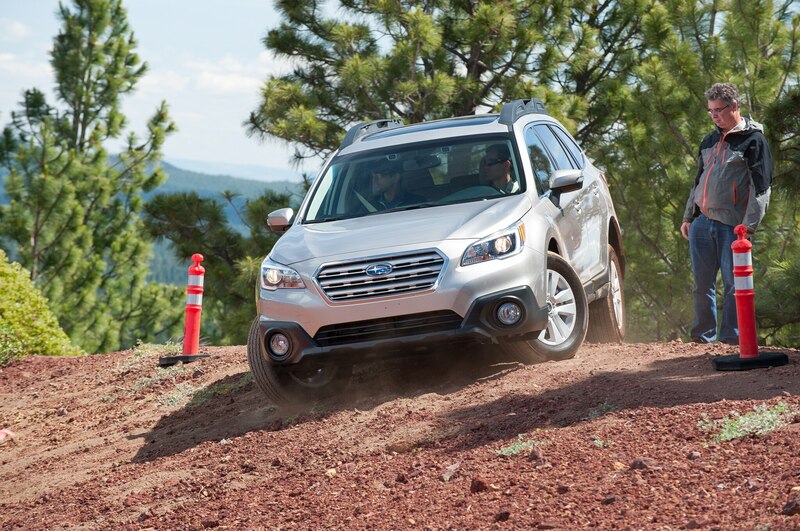 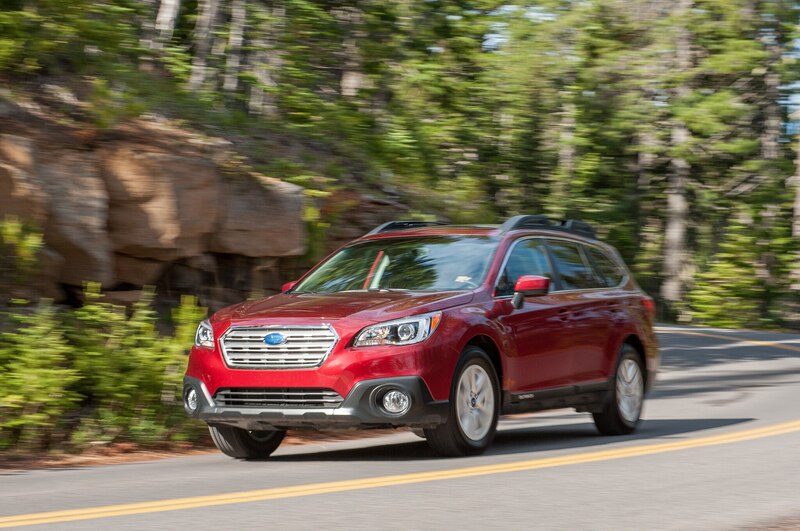 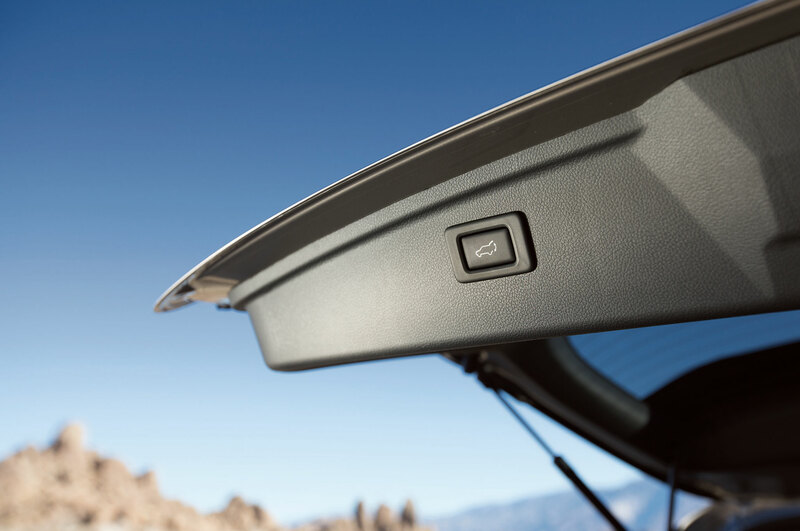 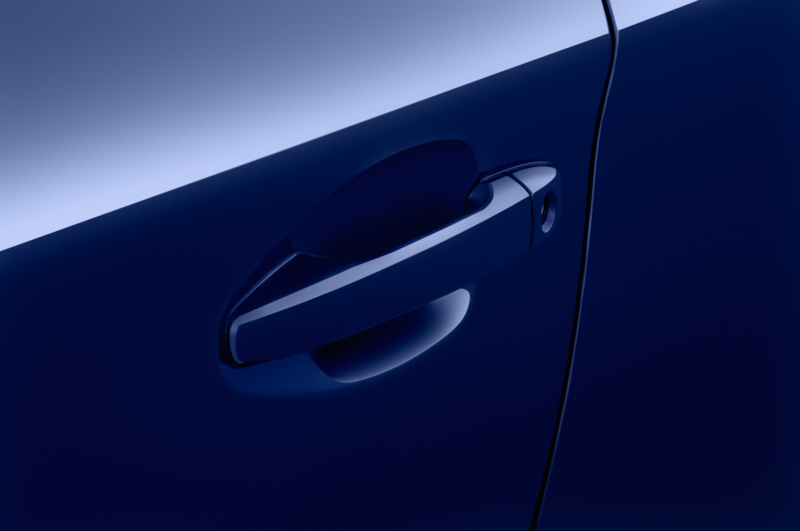 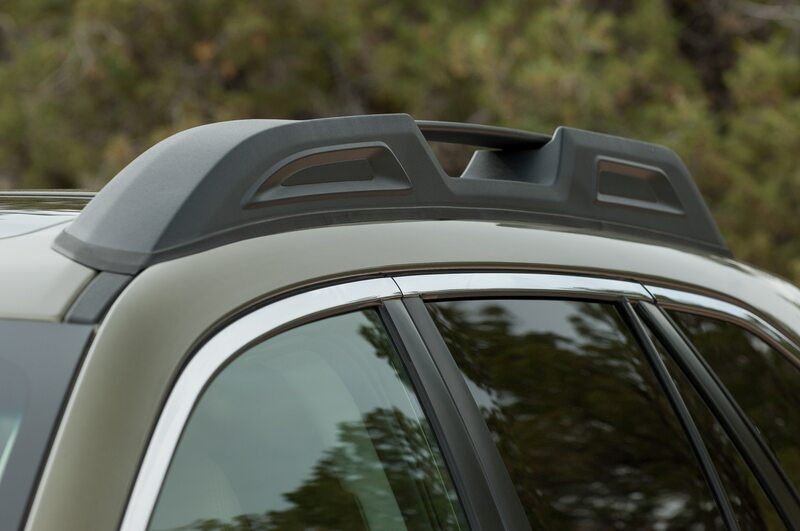 In fact, there’s little the 2015 Subaru Outback doesn’t handle with ease. 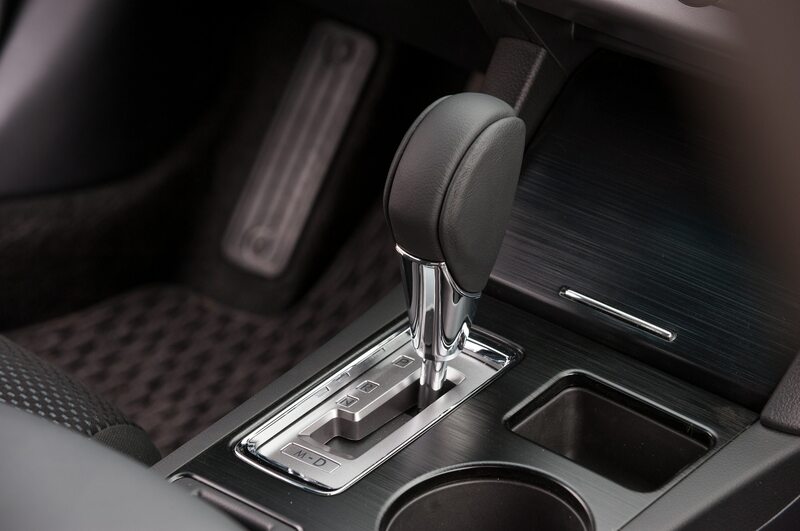 If anything, it’s so capable and refined as to be a bit boring. 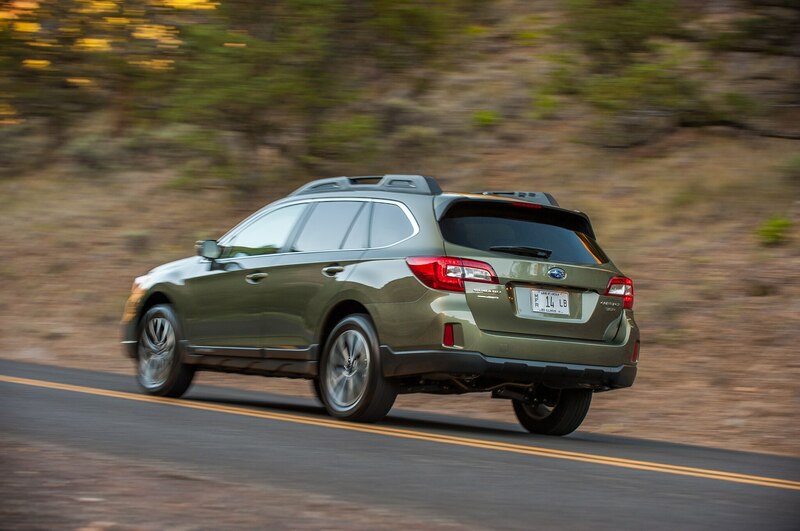 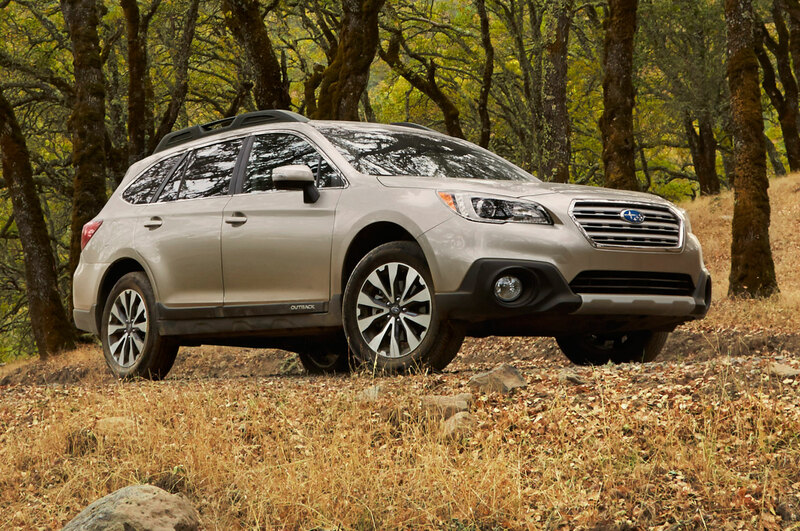 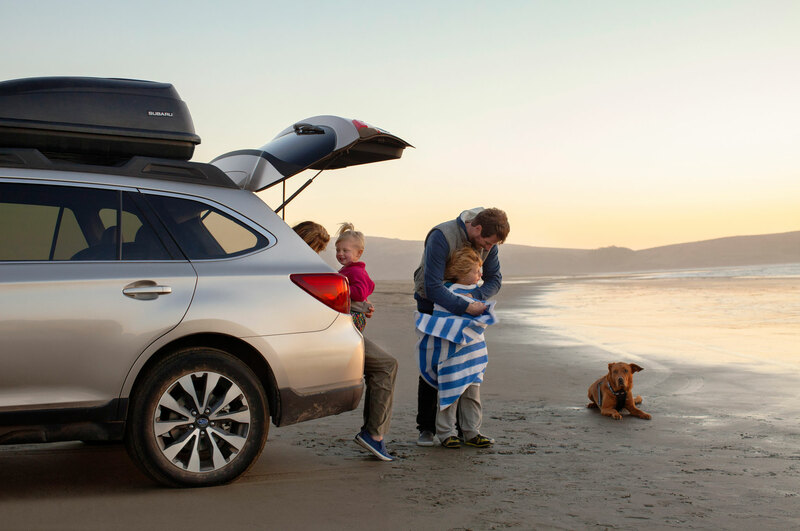 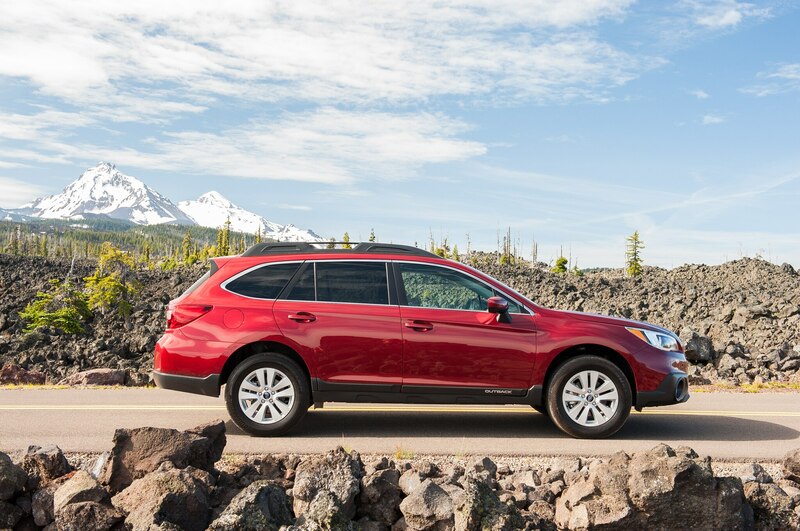 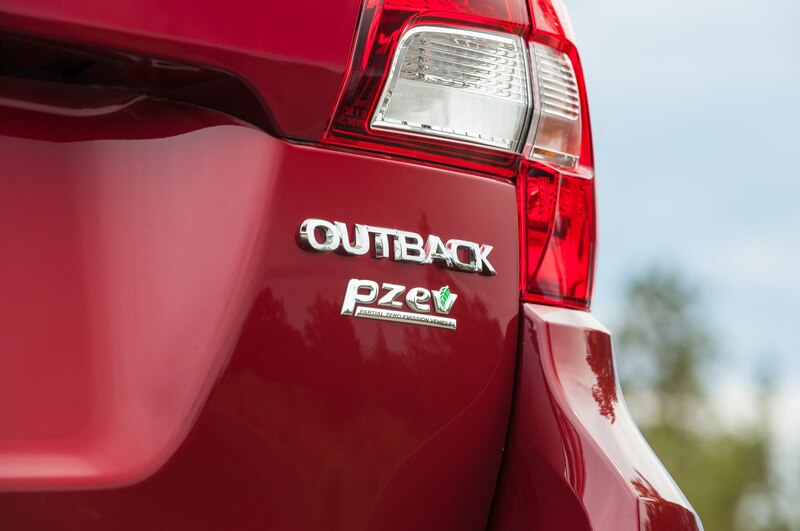 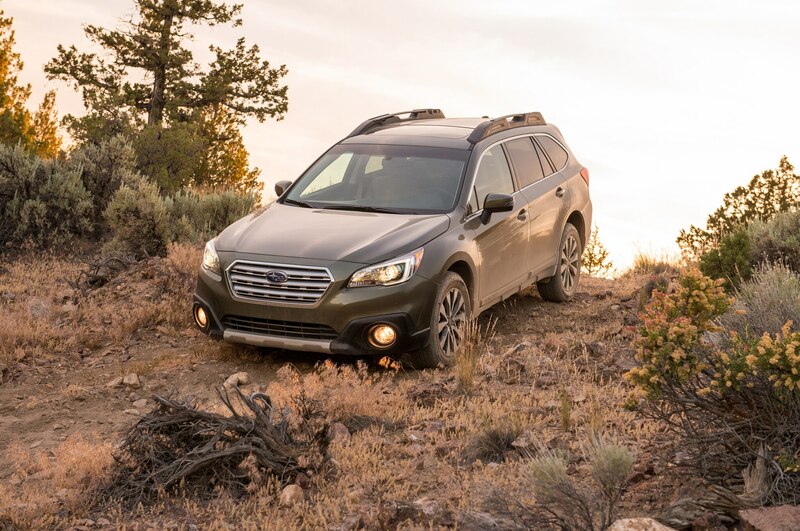 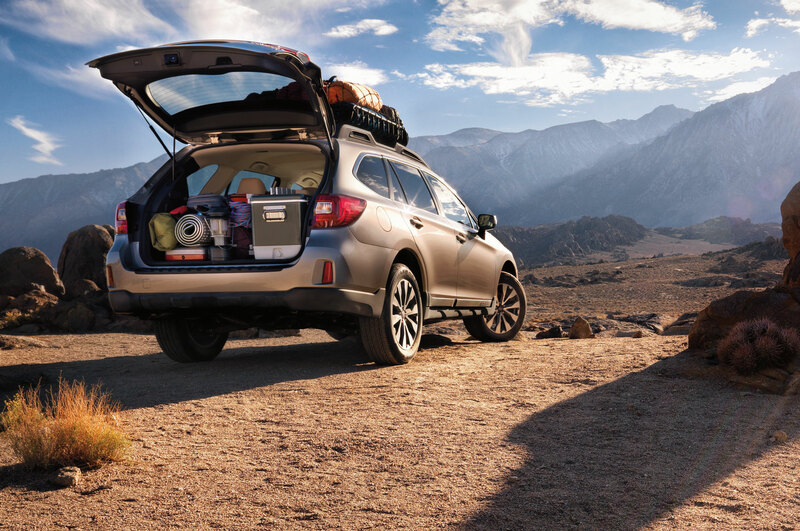 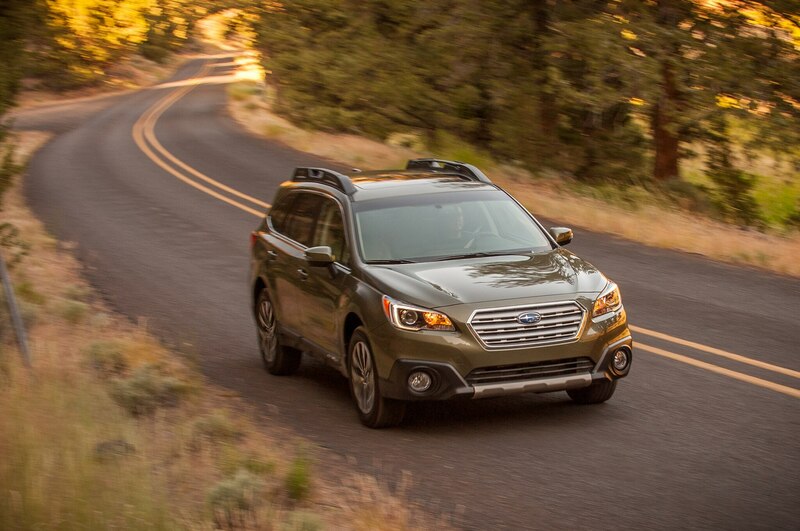 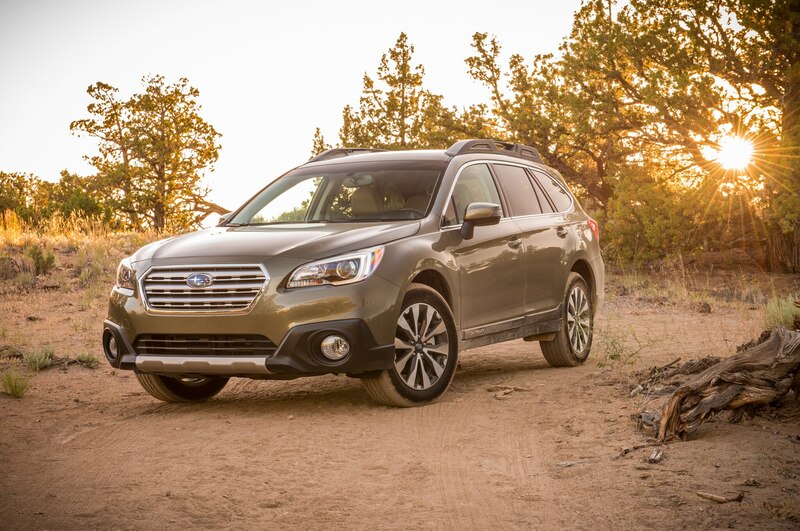 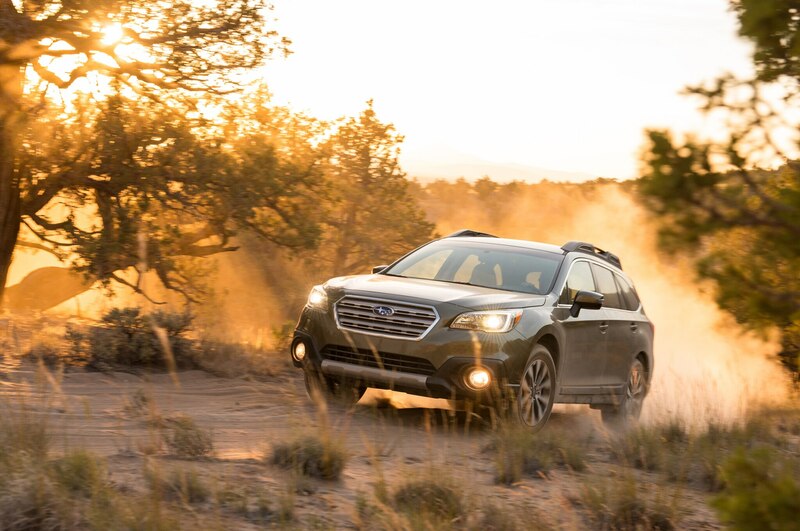 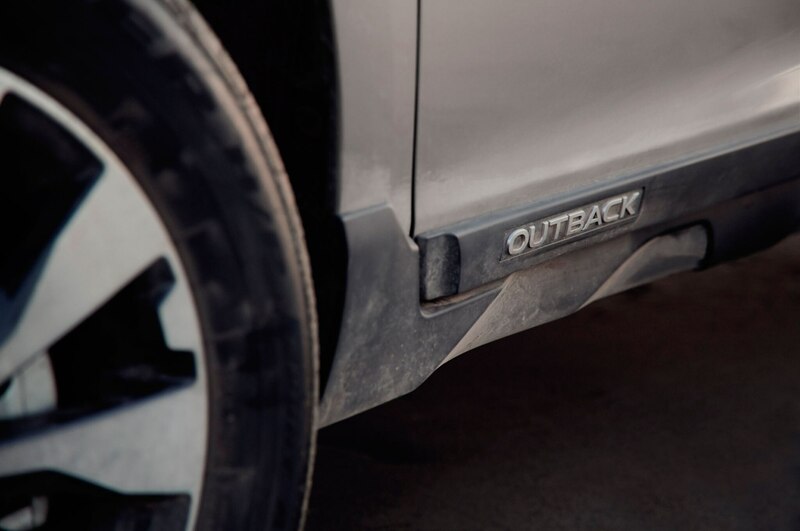 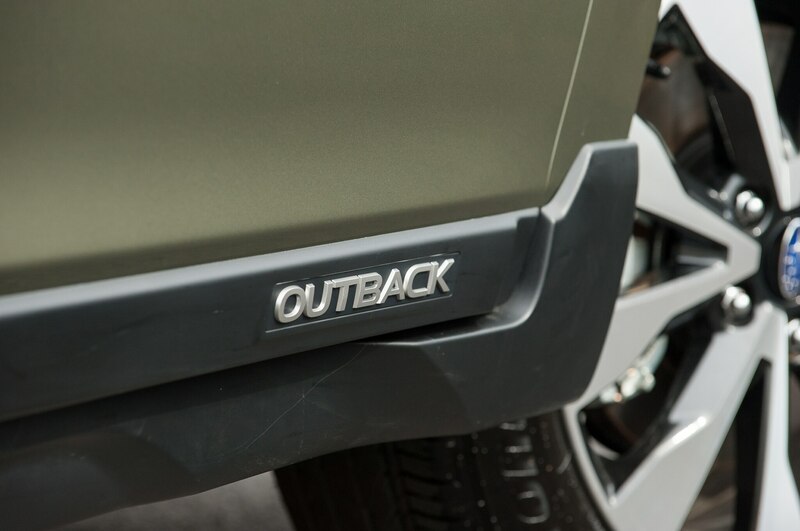 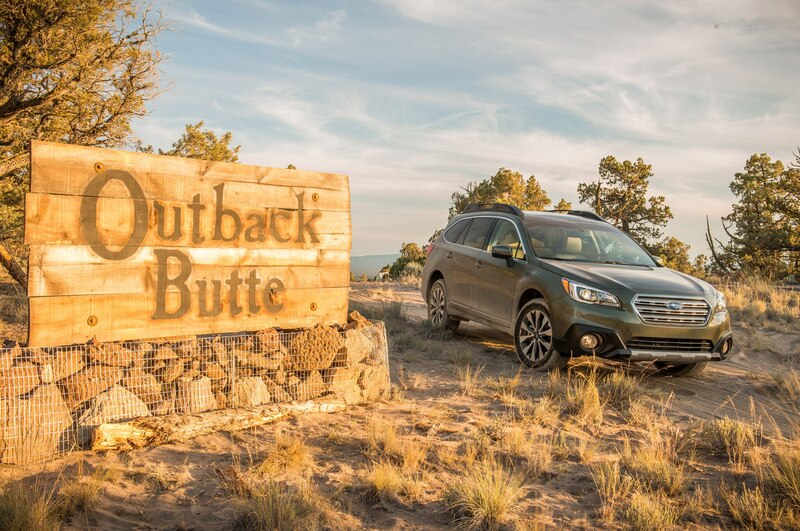 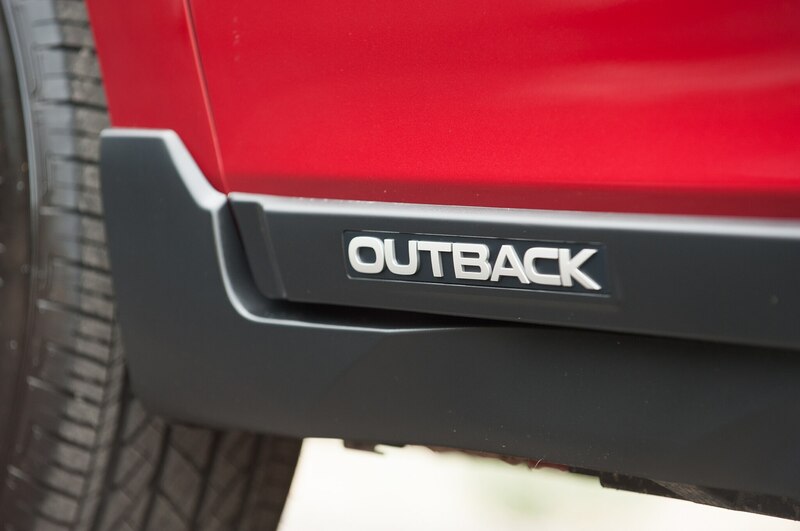 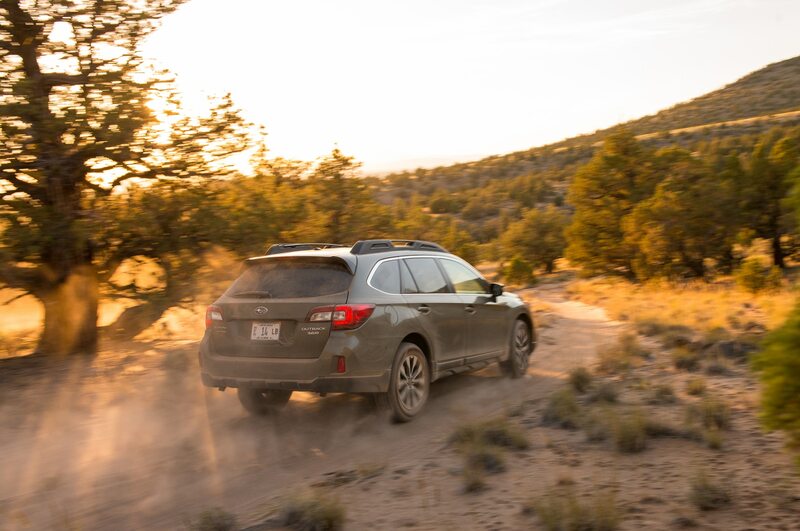 In going mainstream, the Outback has lost some of the rugged charm it exuded through its first three generations. 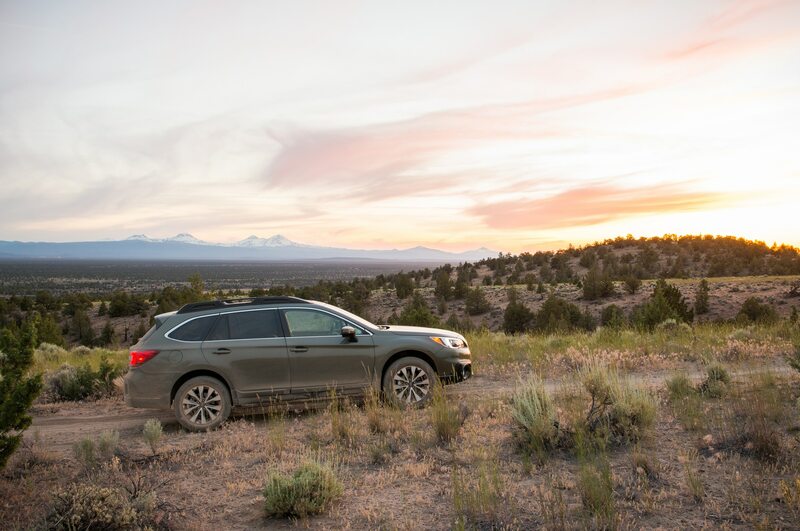 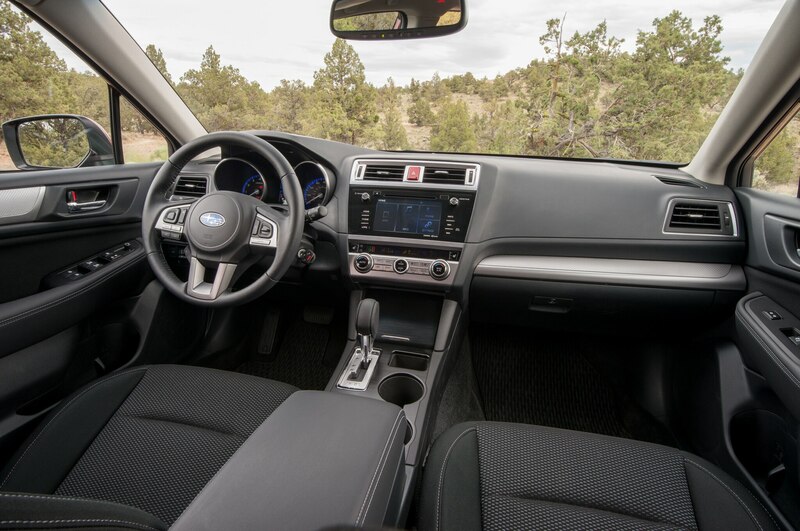 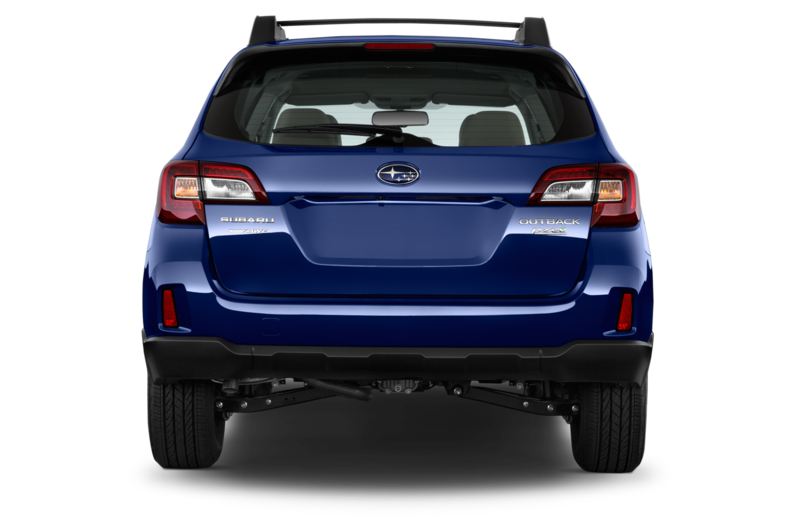 But the 2015 Subaru Outback is more than ever what the market wants: a comfortable, nondescript midsize crossover that can take you to unbelievable places. 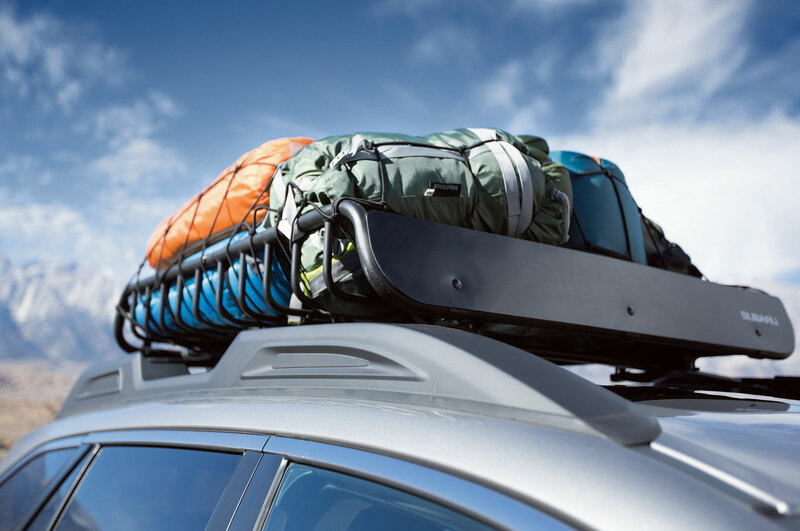 Annual capacity will rise to 394,000 vehicles by the end of 2016. 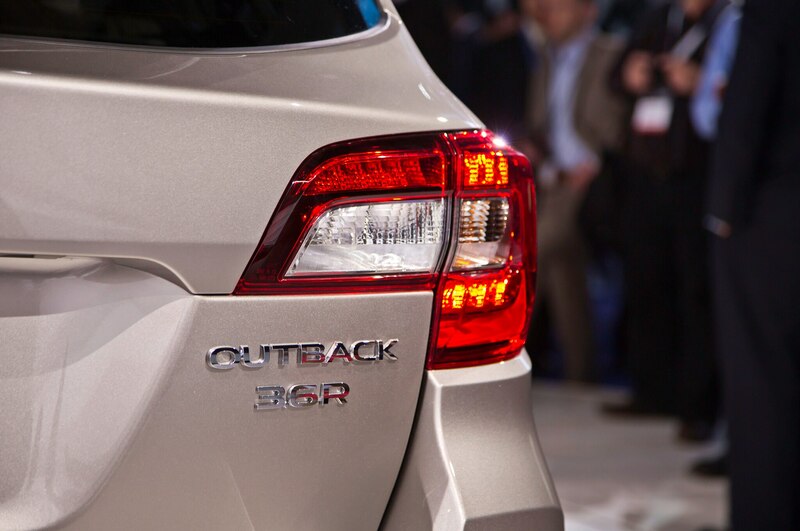 Less is more with the new Outback. 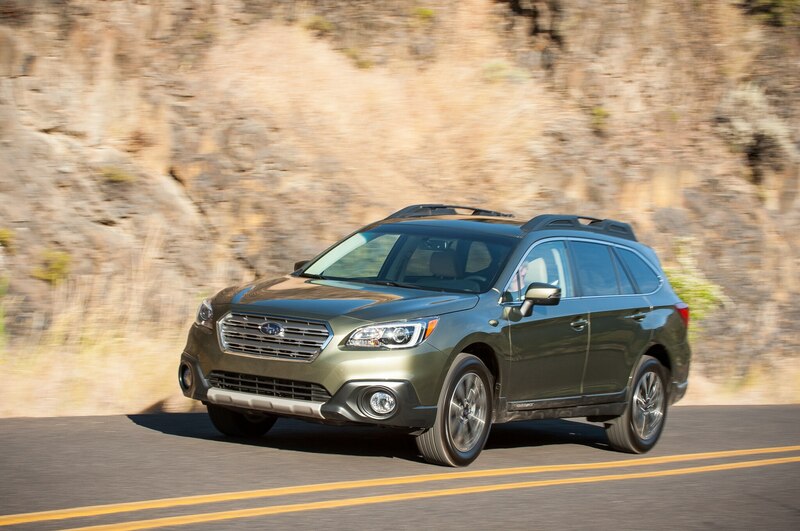 Wagon or not, Outback lovers linger.